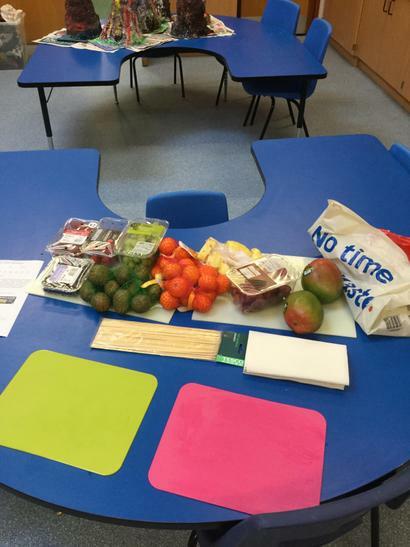 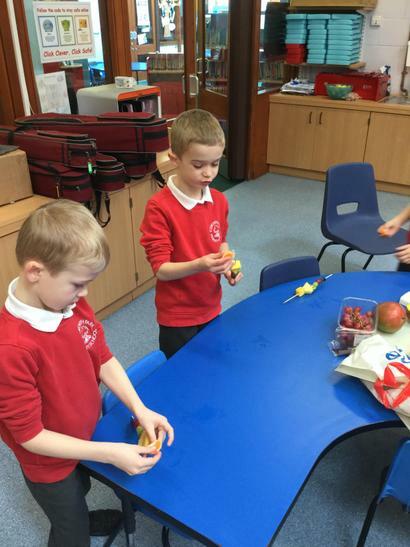 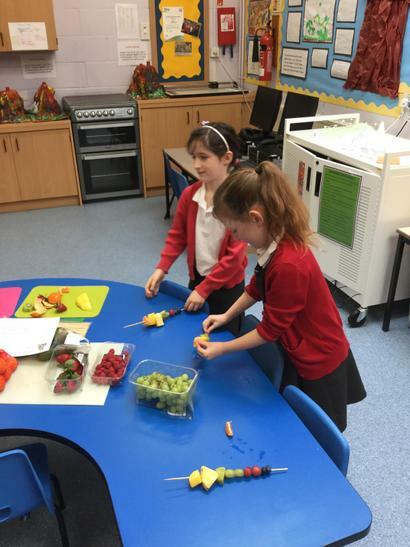 In Science we are investigating how to keep healthy, devising exercises and thinking about ways to eat healthily. 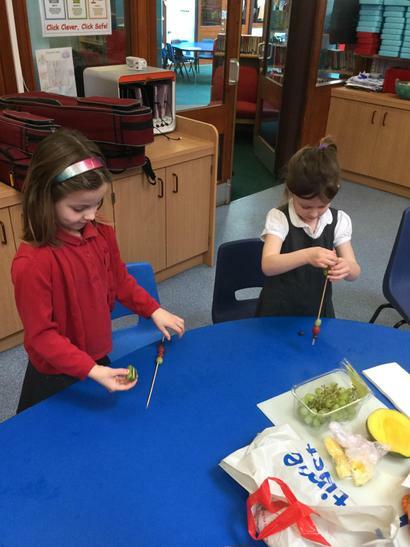 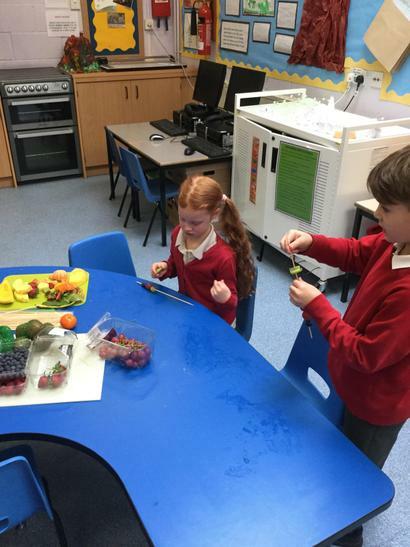 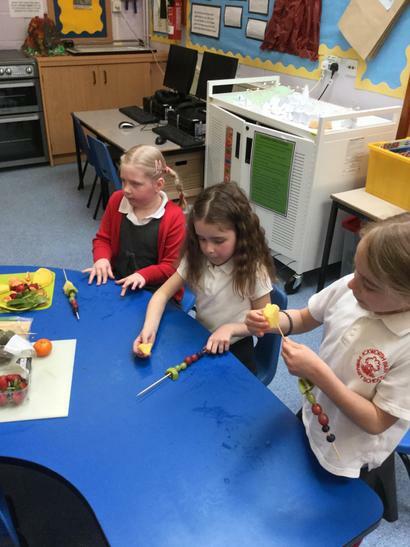 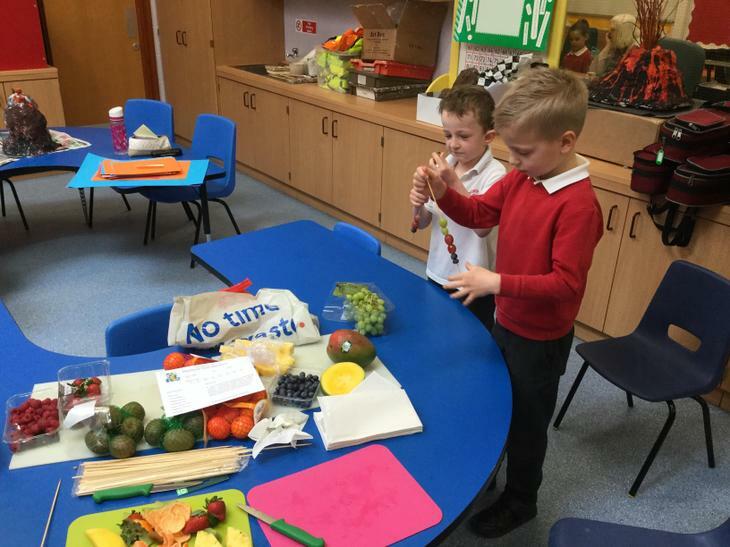 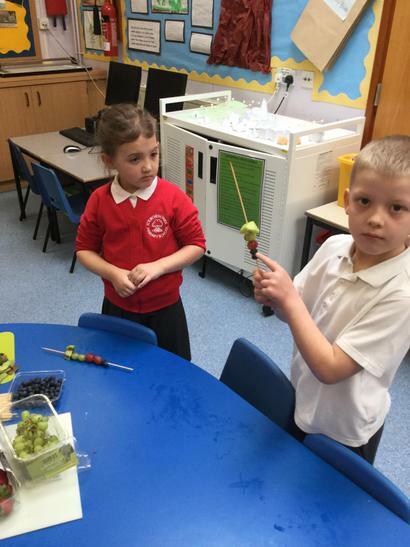 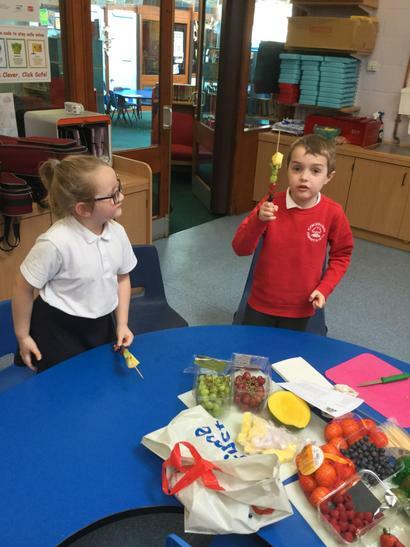 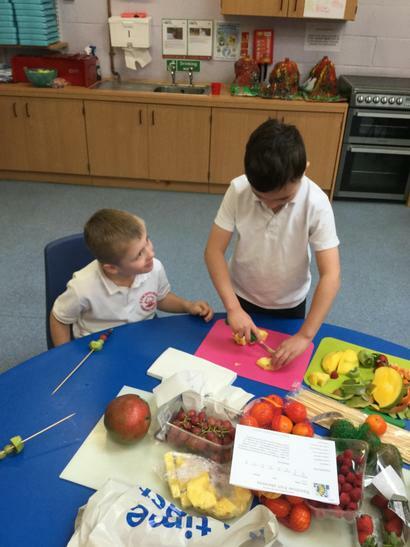 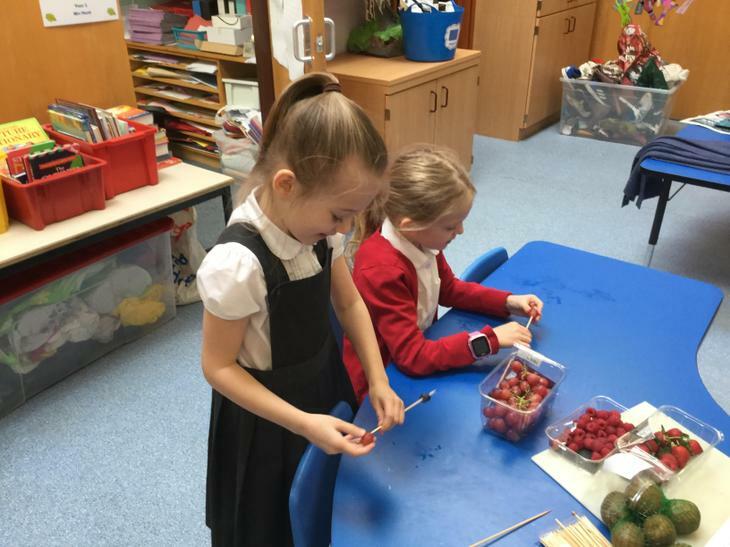 Today we made rainbow fruit kebabs which managed to tempt even the fussiest eaters! 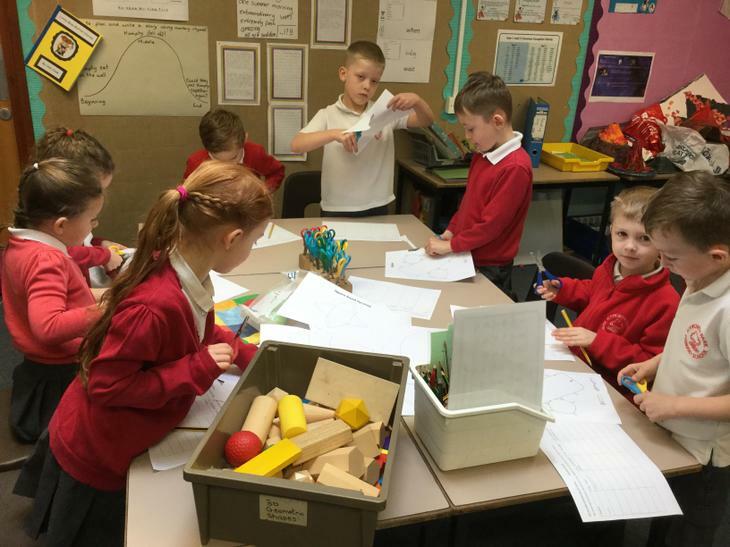 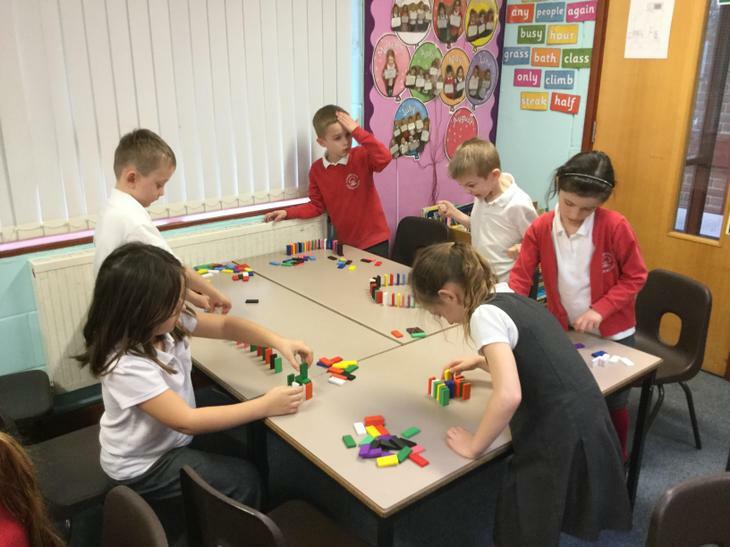 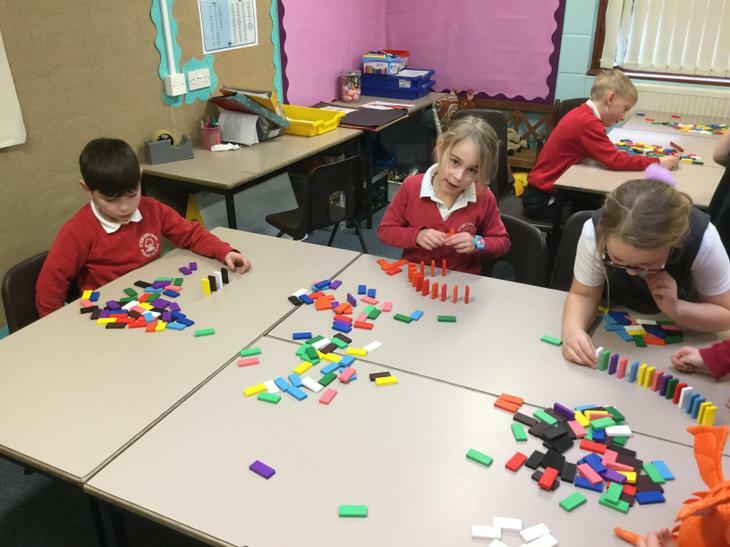 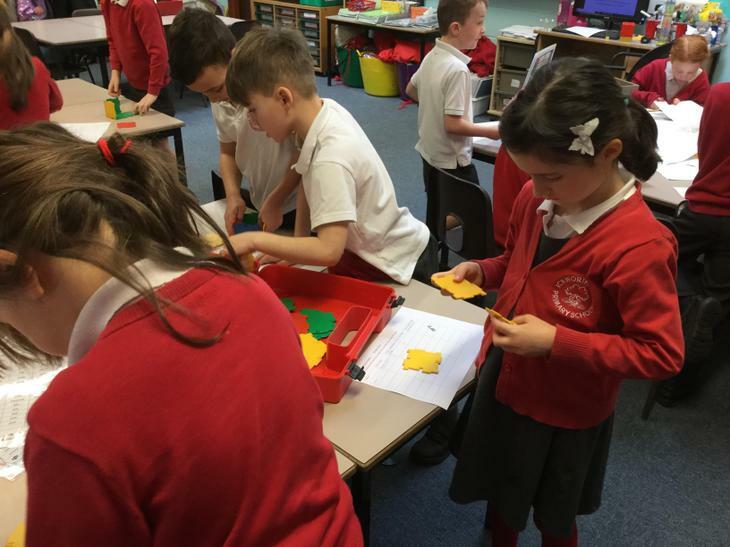 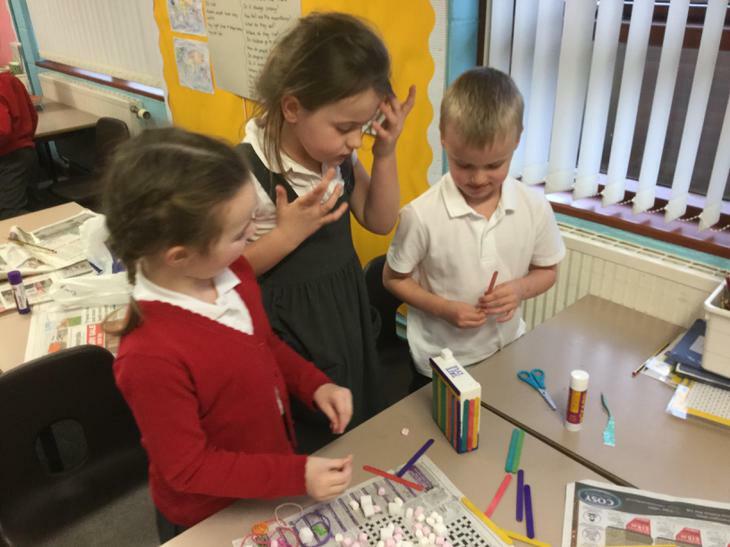 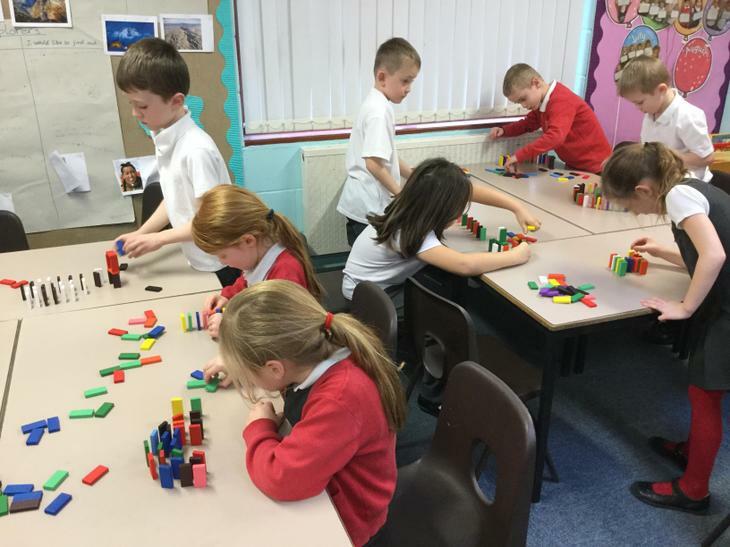 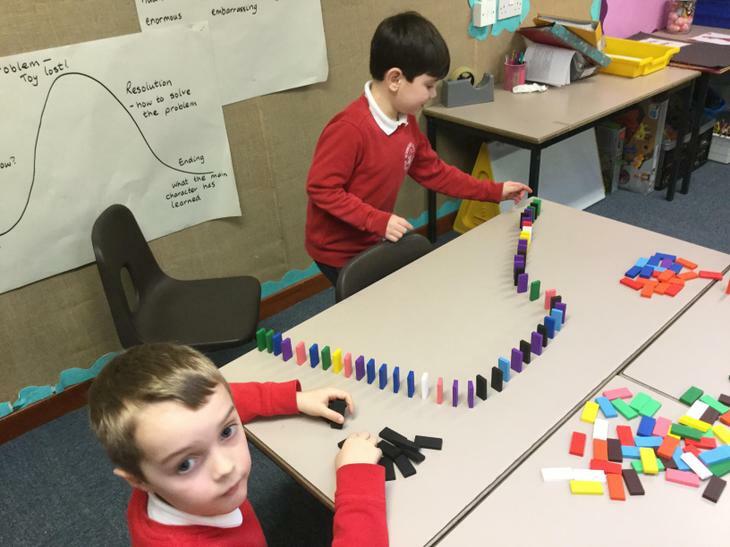 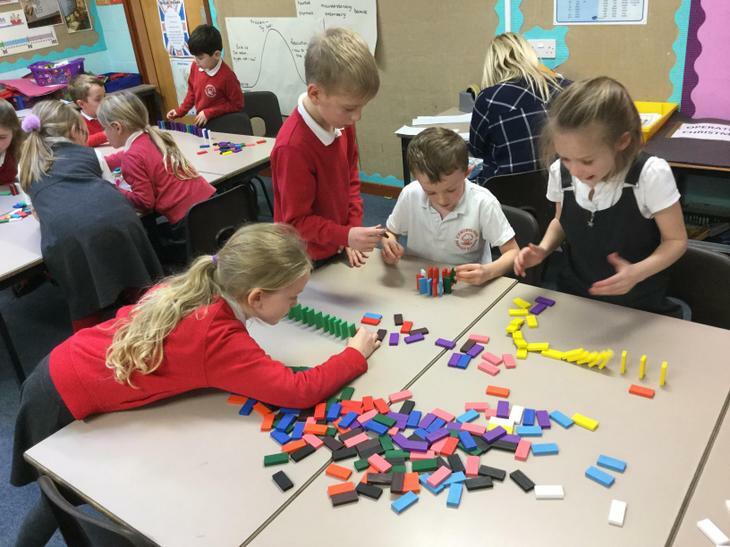 Oak class have been enjoying making 3D shapes and recording the properties of each shape they have made, including faces, edges and vertices. 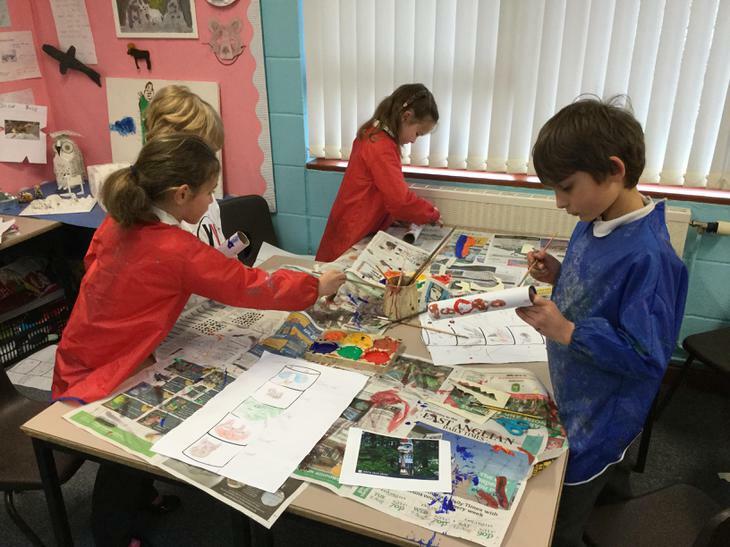 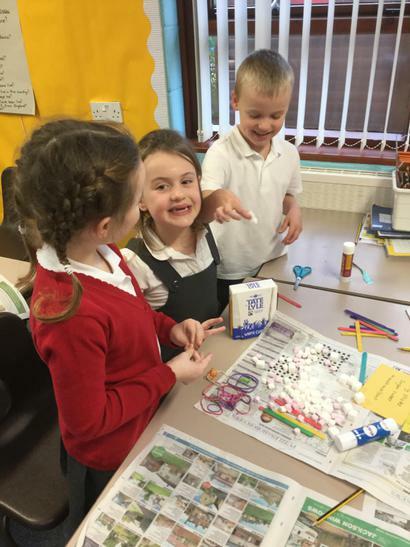 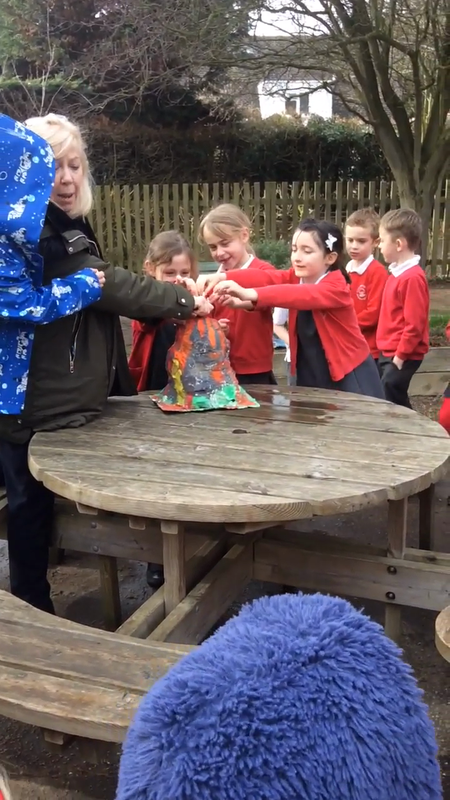 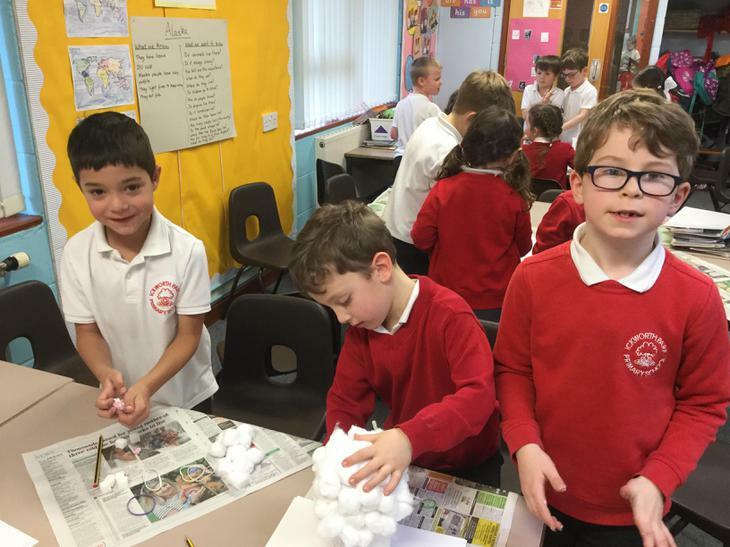 The children in Oak class have been making their own volcanoes! 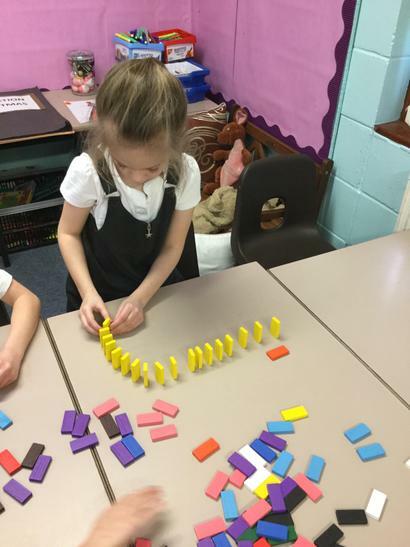 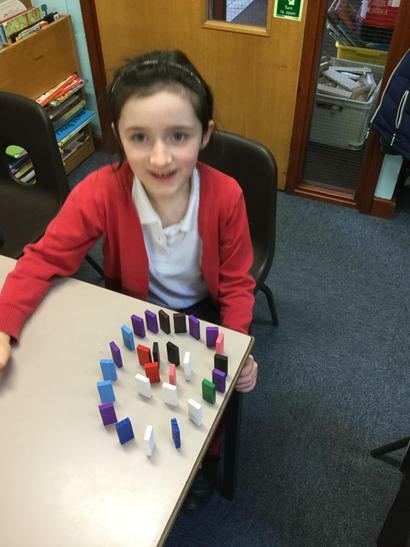 We have been impressed by record breaking domino runs, so decided to try and make our own this afternoon. 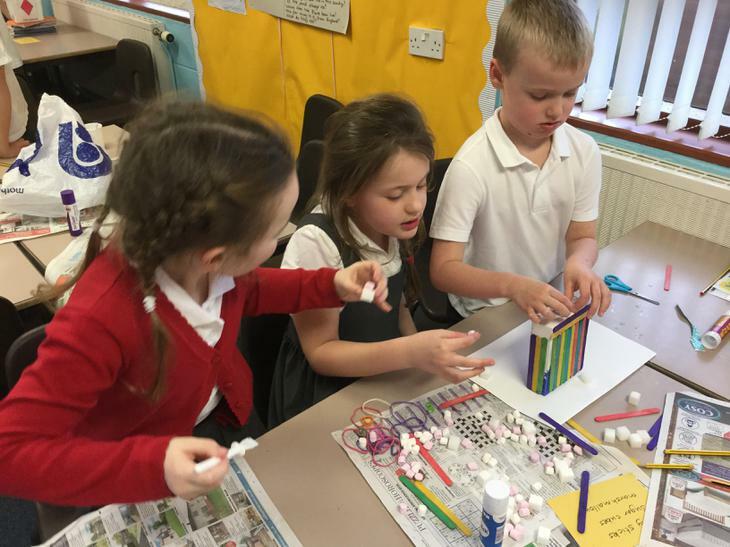 We found they need patience, resilience, team work and creativity! 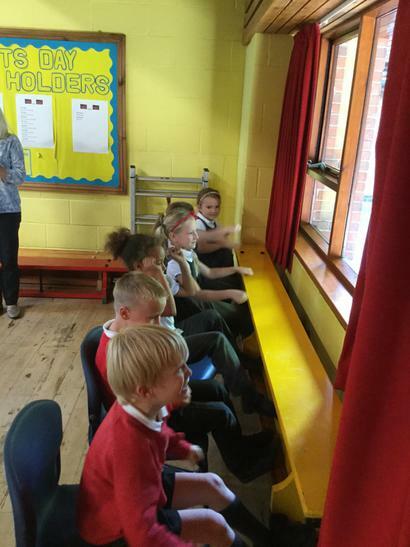 Everyone was engaged and extremely enthusiastic! 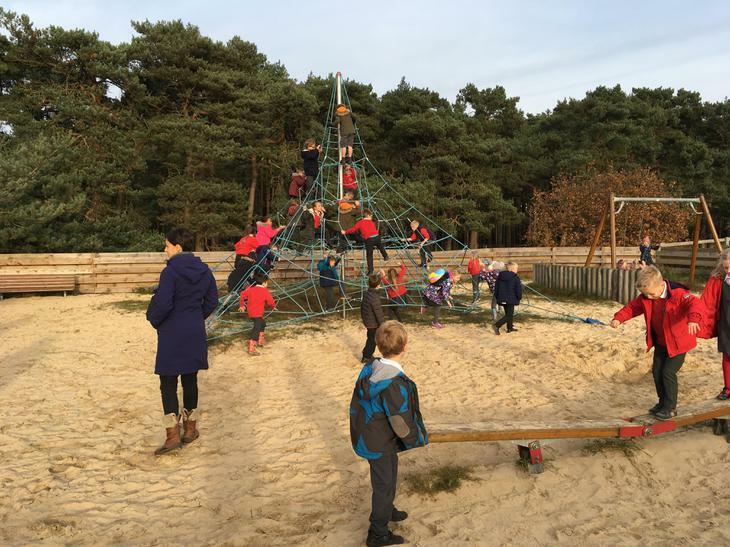 Finally, we had great success! 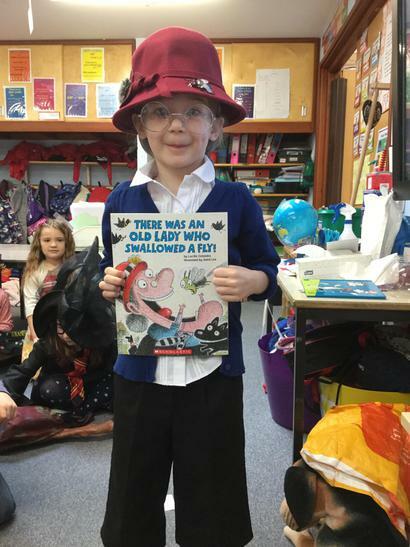 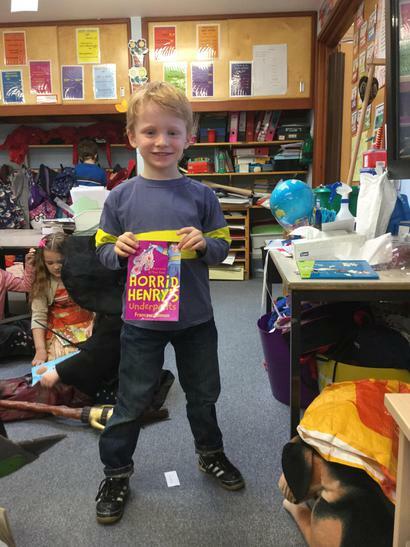 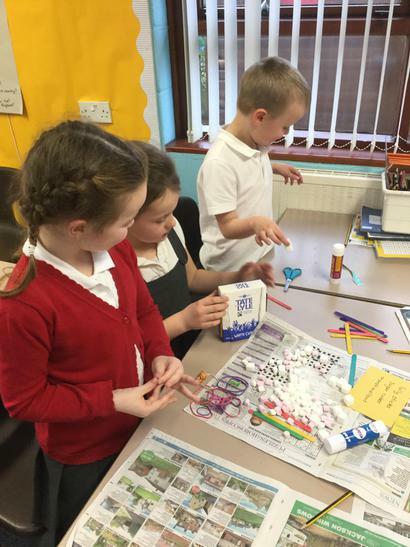 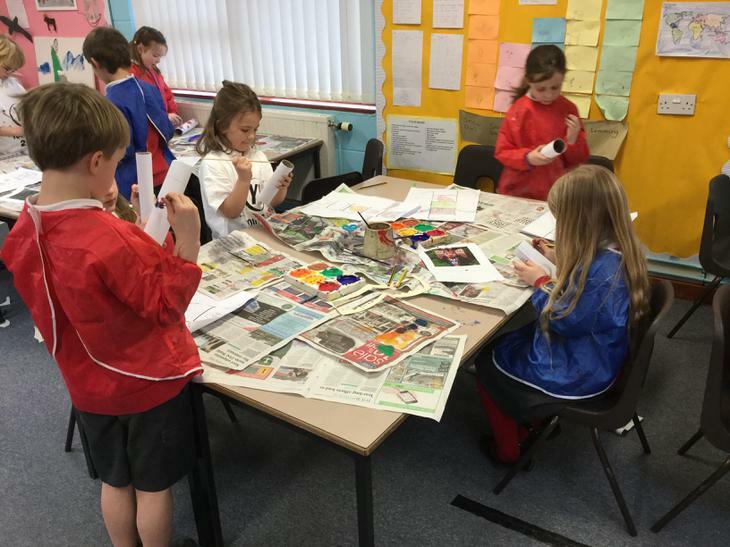 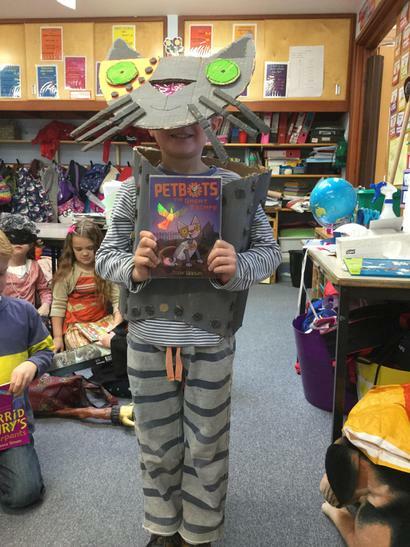 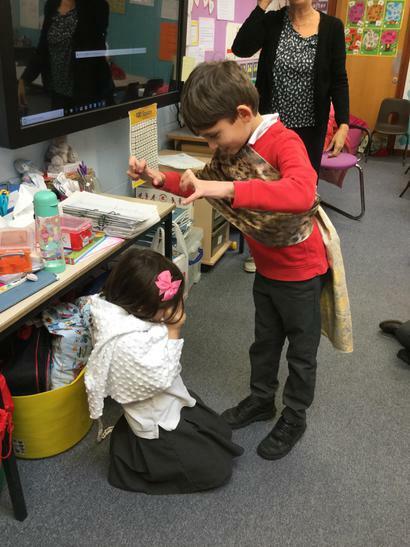 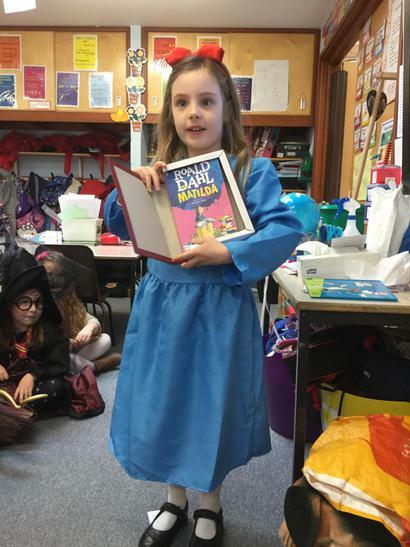 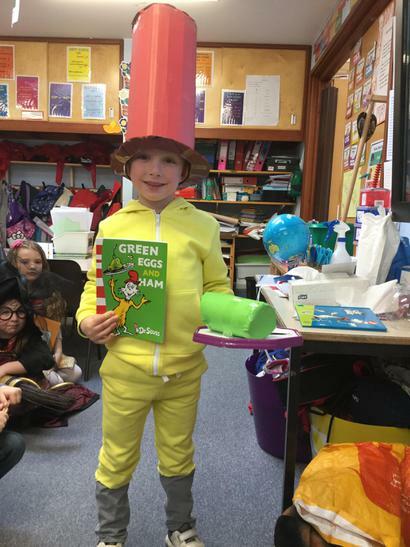 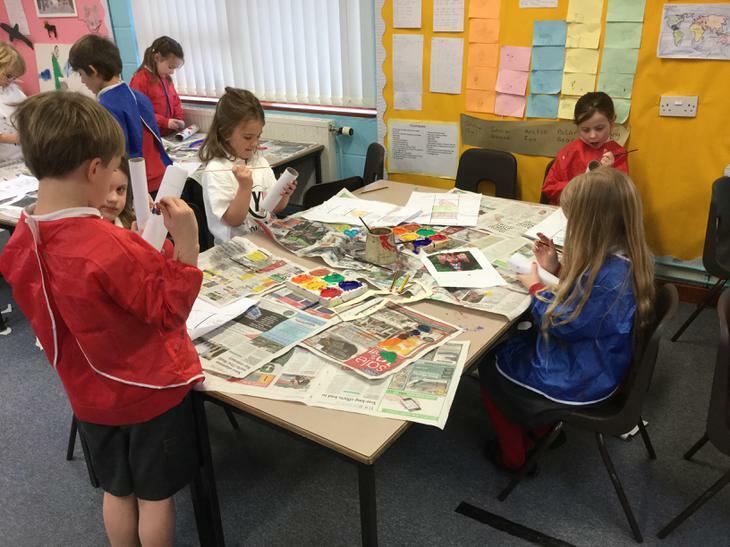 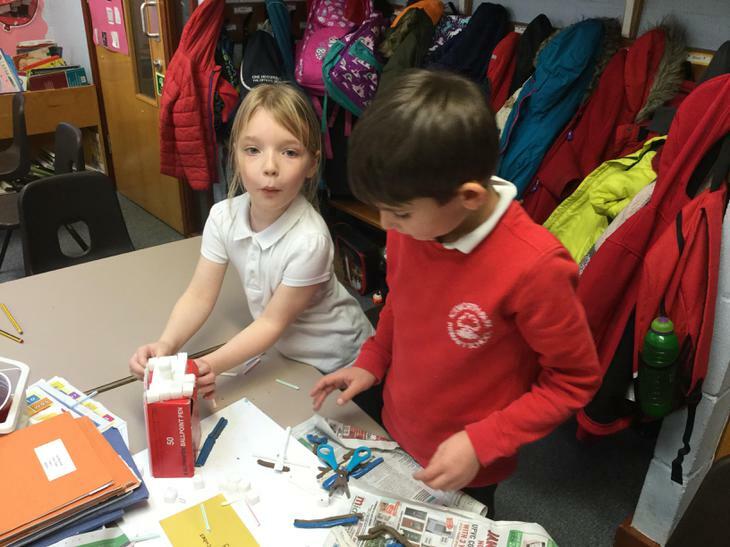 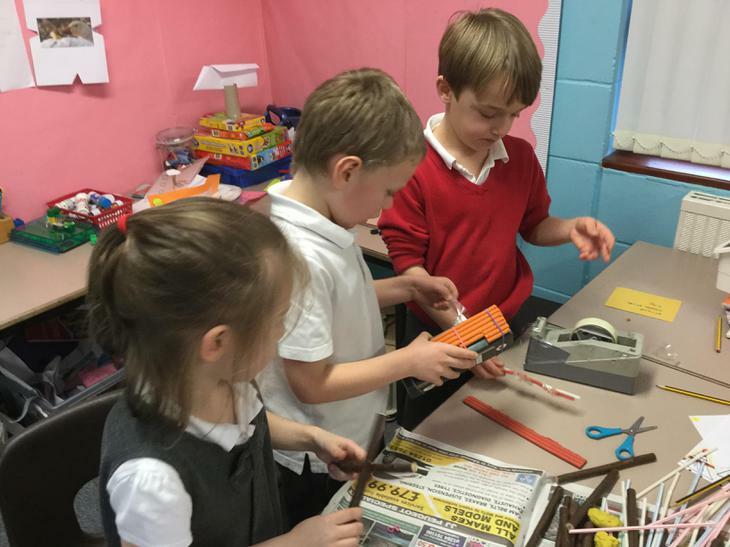 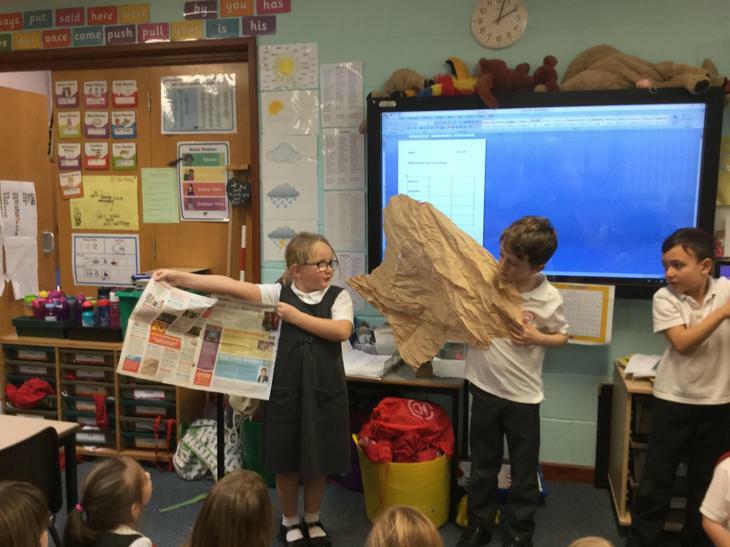 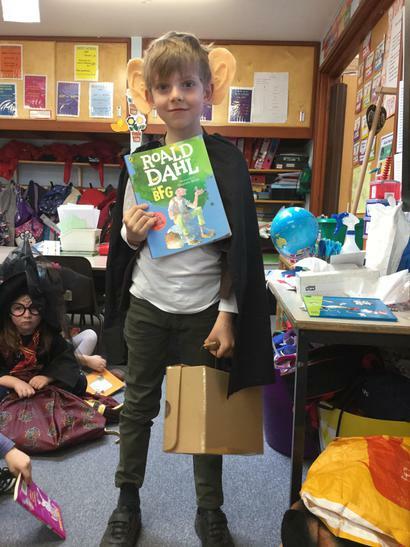 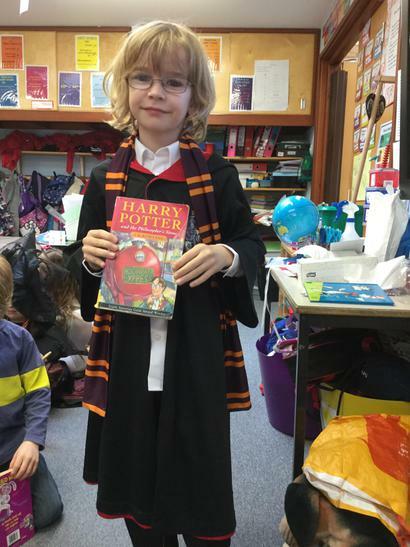 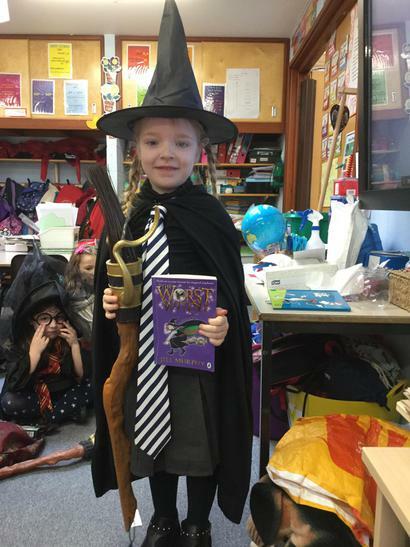 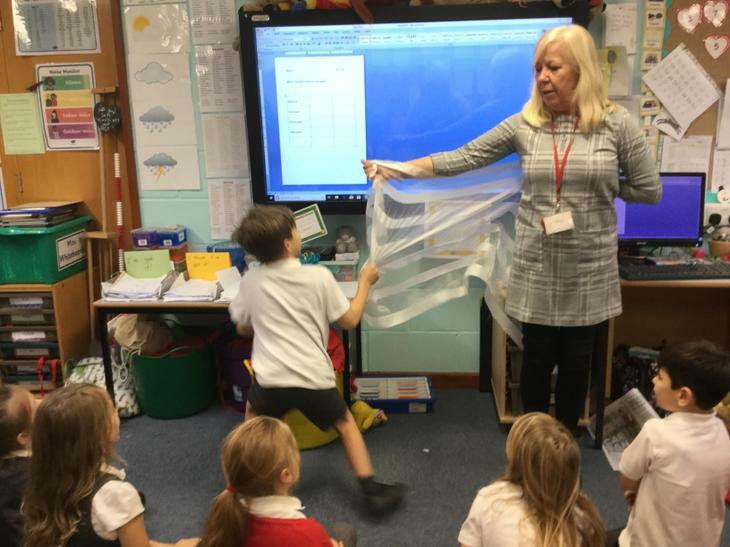 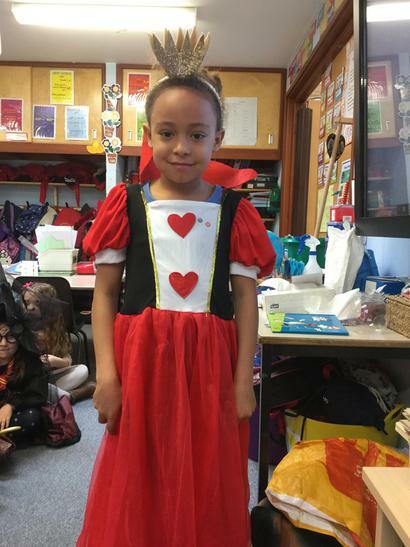 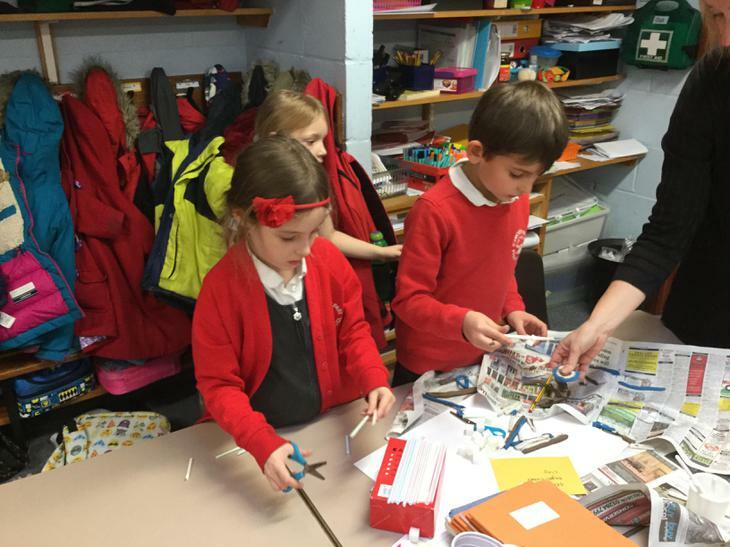 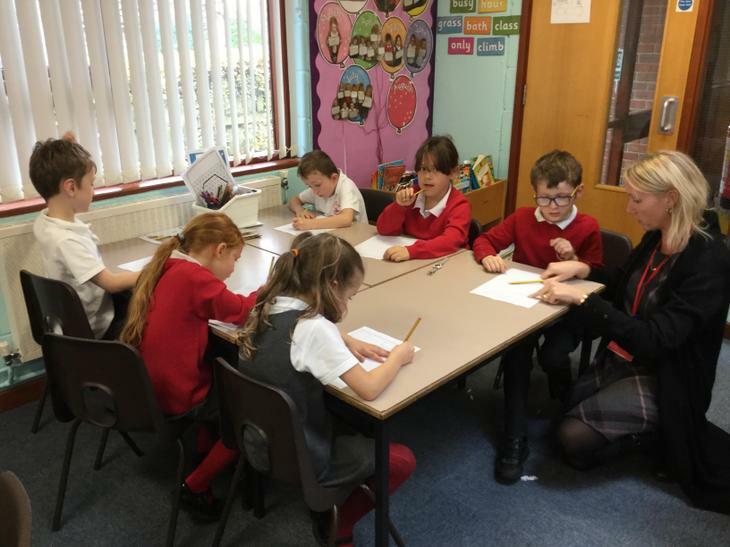 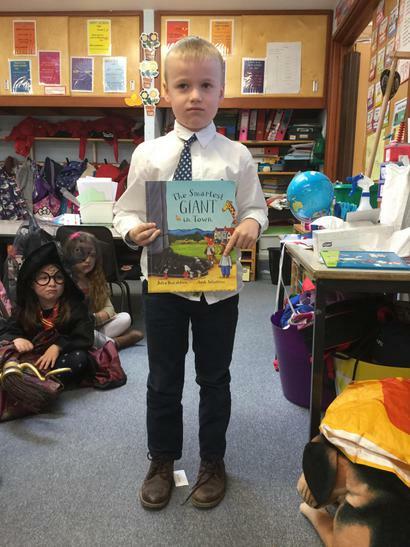 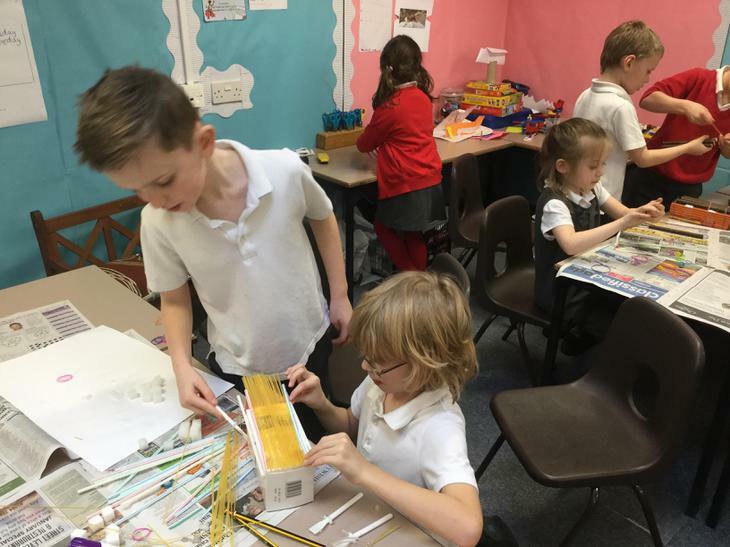 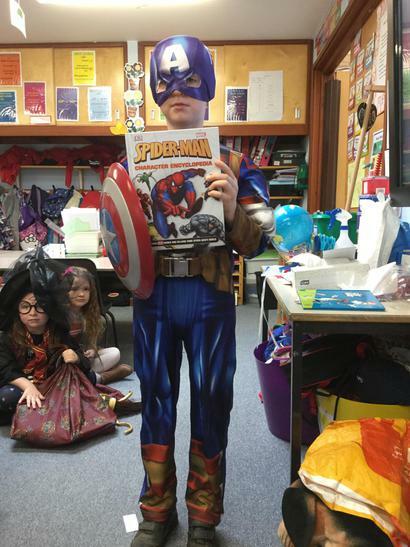 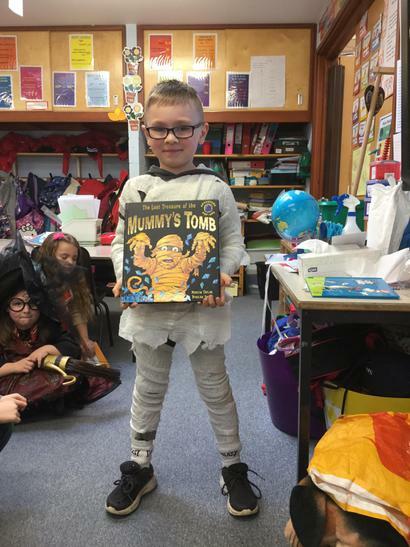 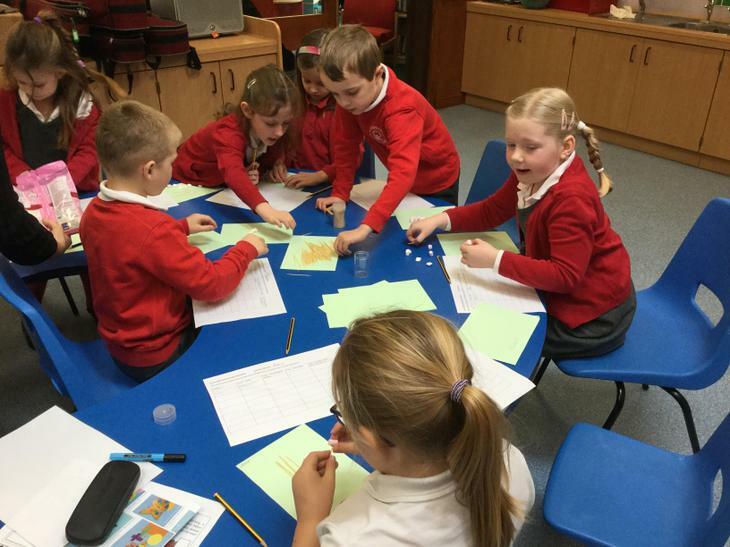 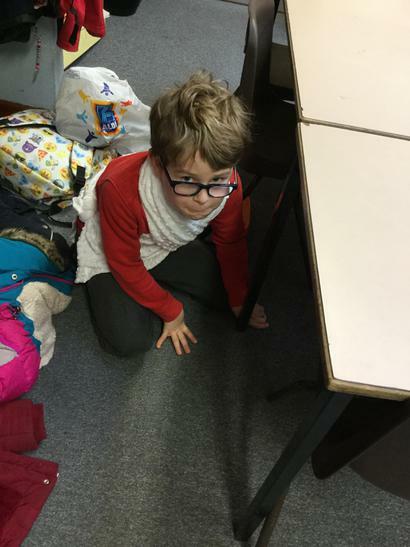 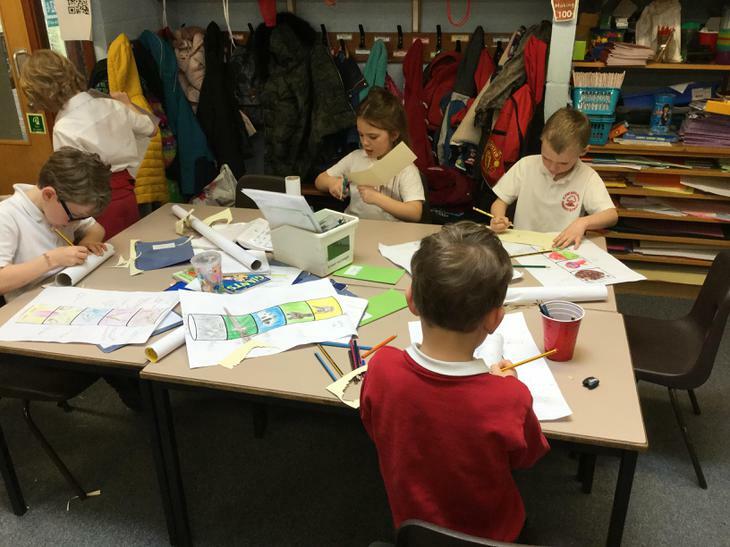 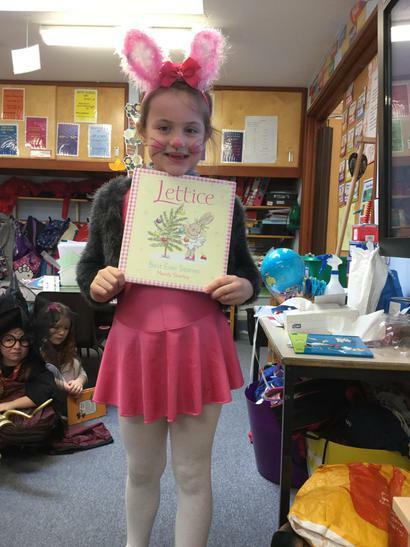 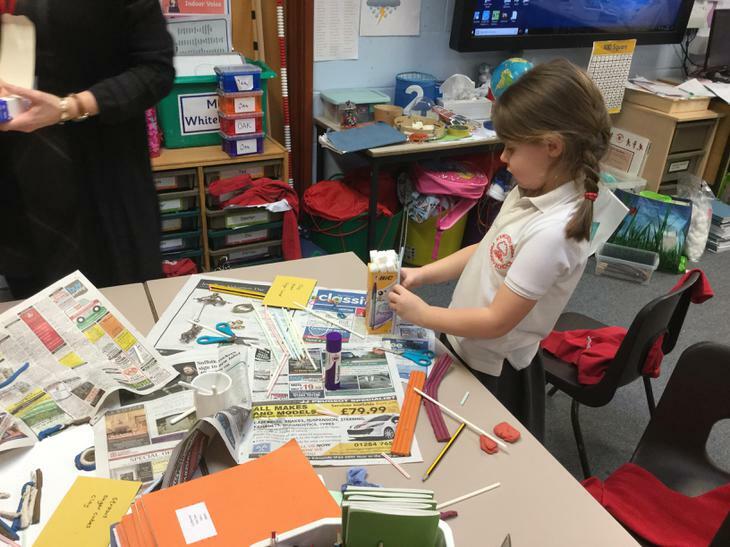 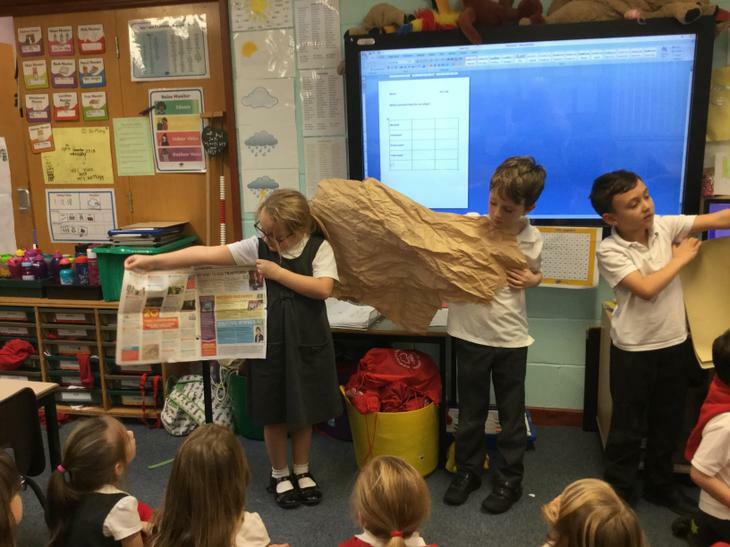 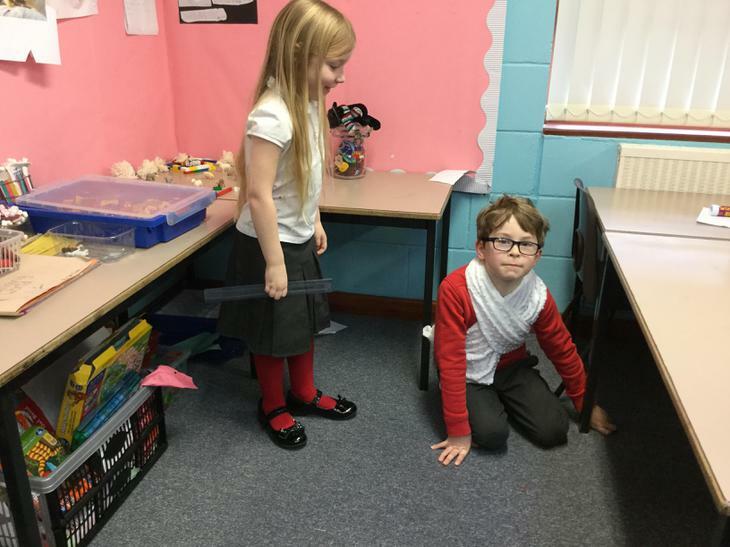 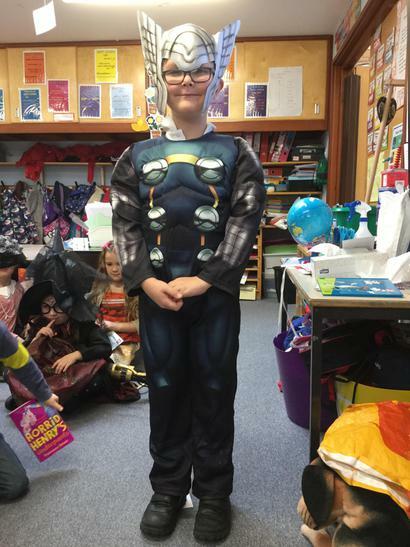 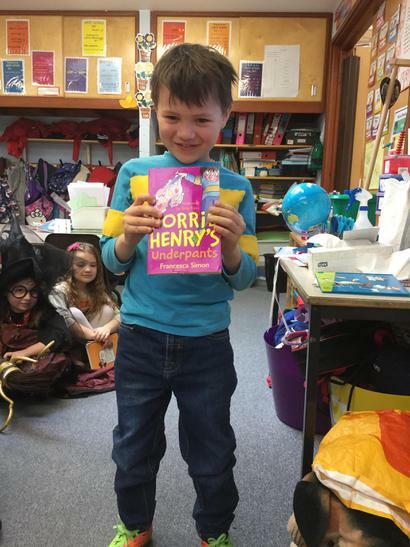 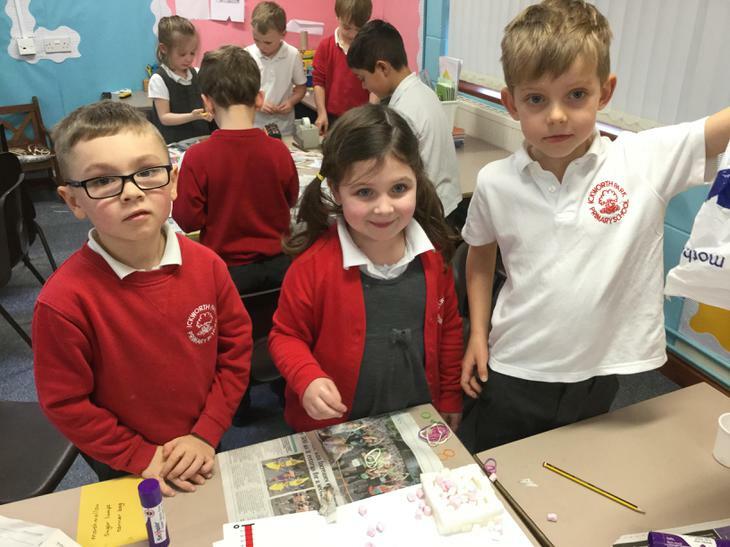 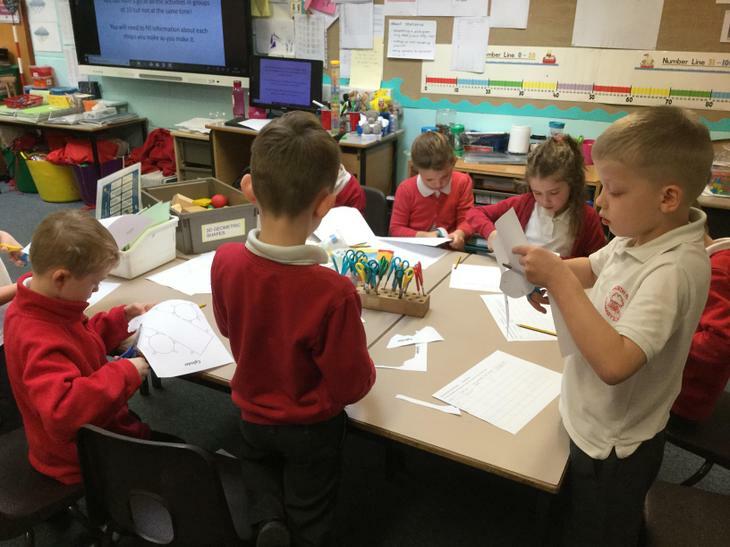 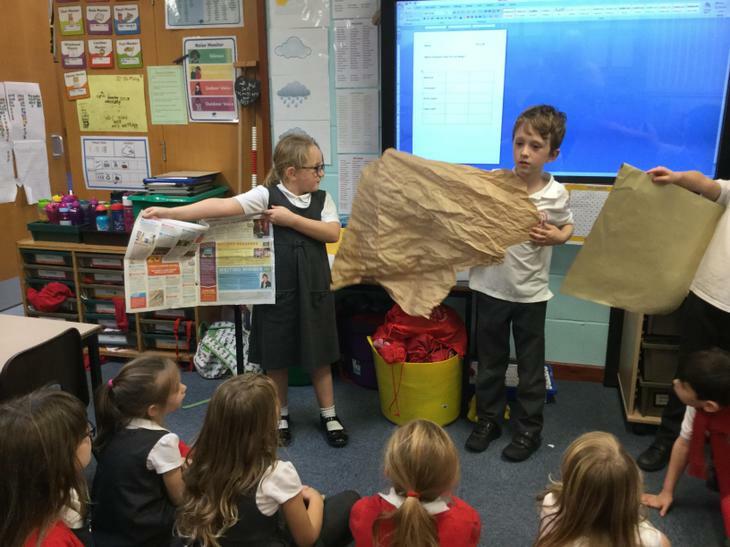 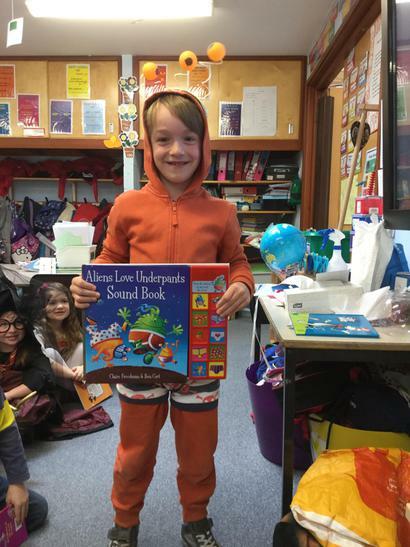 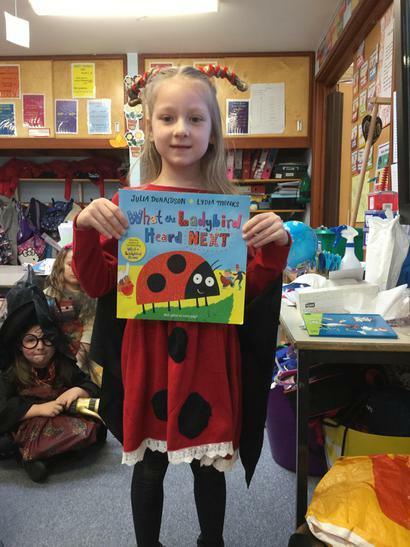 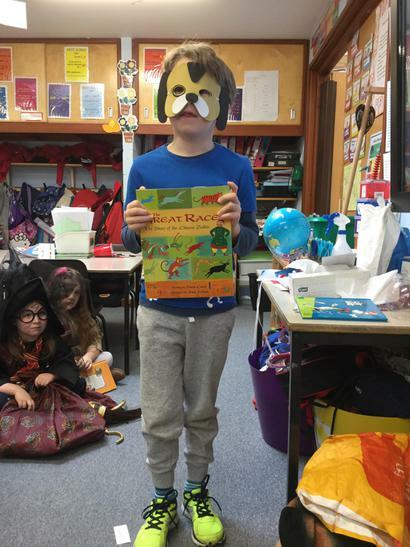 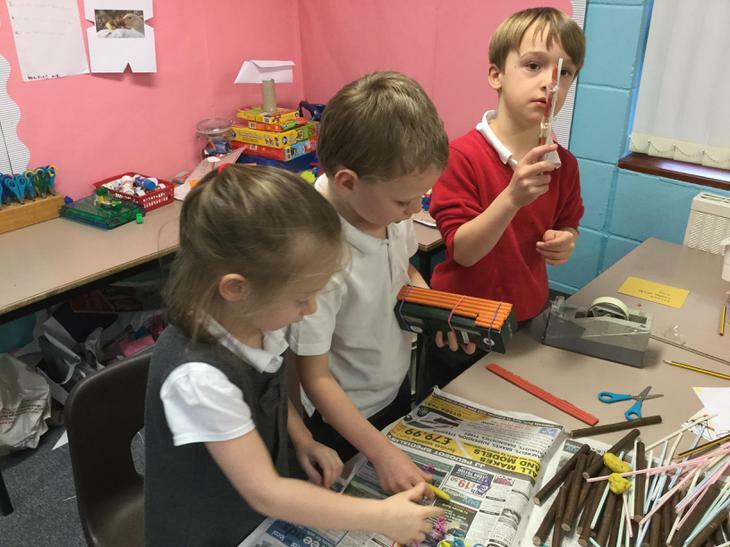 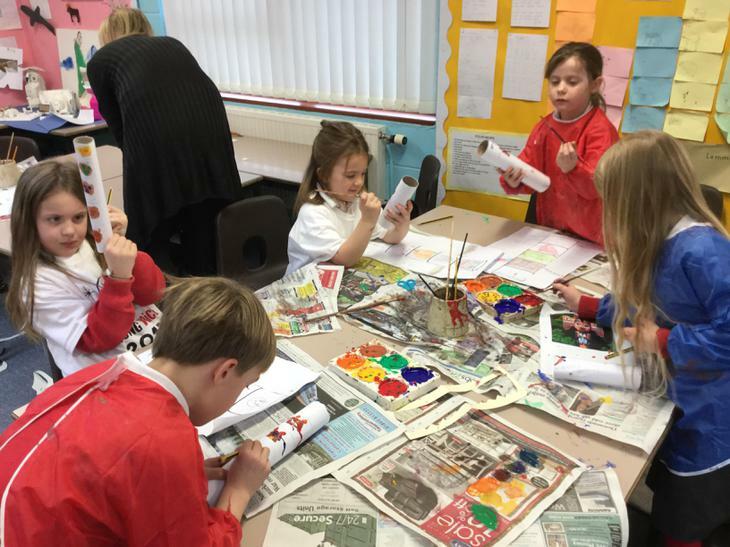 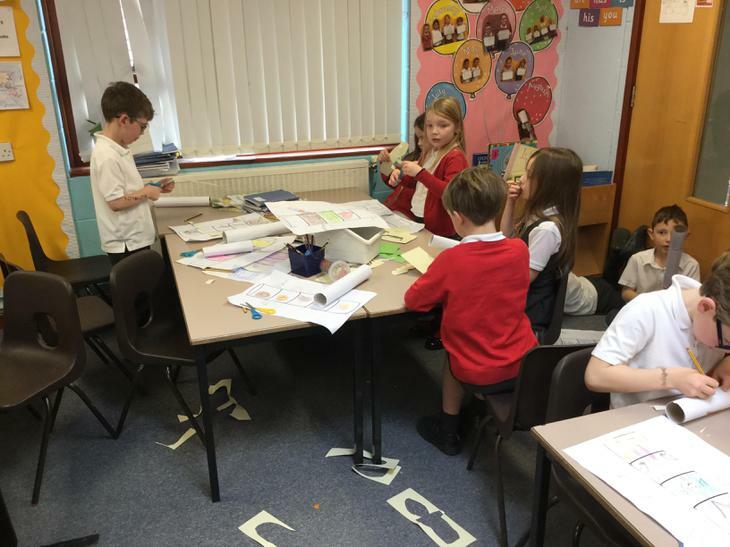 In Oak Class we have been thinking about properties of materials and carried out experiments to find the best resource to make wings for our Christmas play, Operation Christmas. 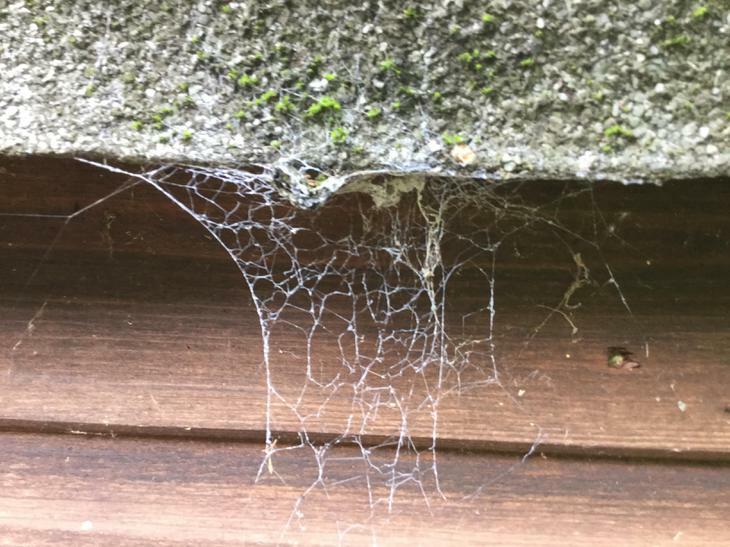 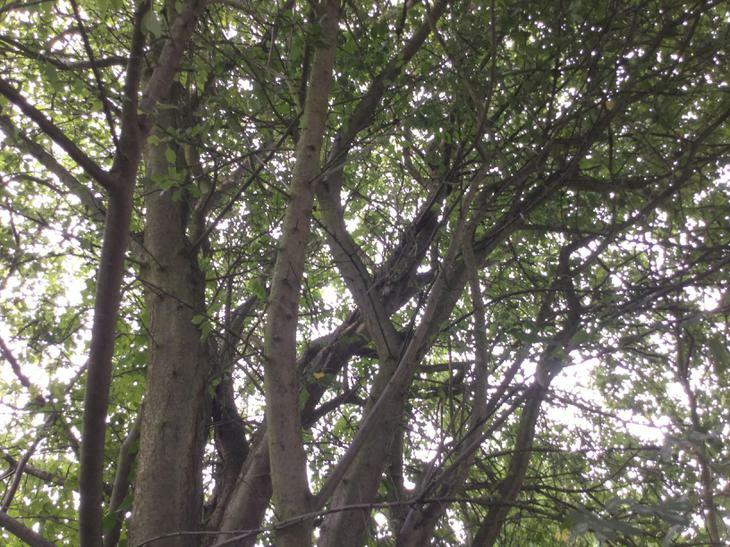 We are beginning to understand what an algorithm is and that computer programs execute by following precise and ambiguous instructions. 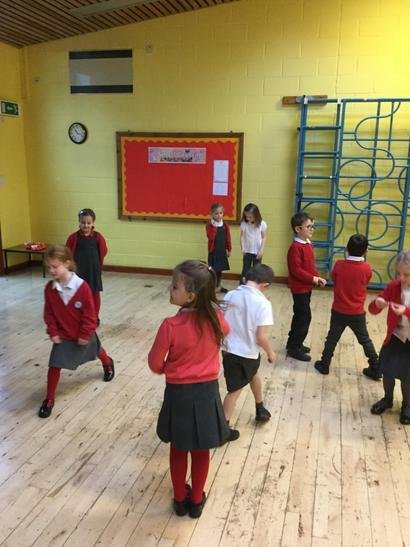 In pairs, we took it in turns to read a shape algorithms using the commands forward, backward, left, right, move and turn. 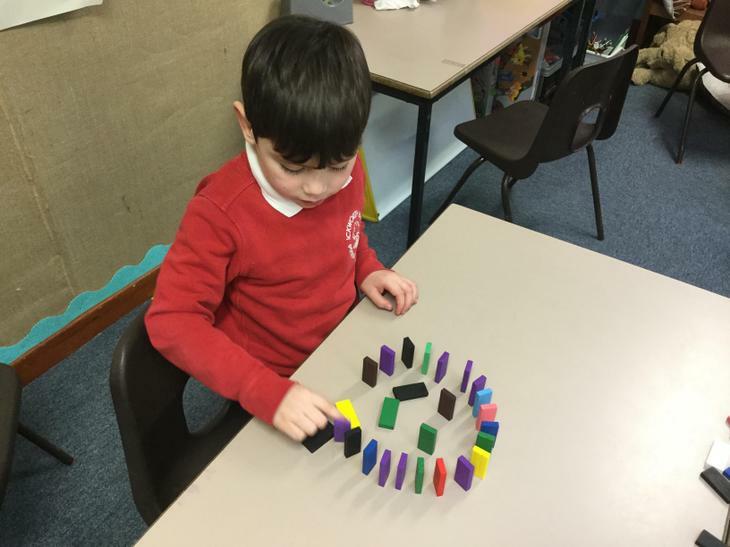 The child following the instructions had to guess what shape they were making. 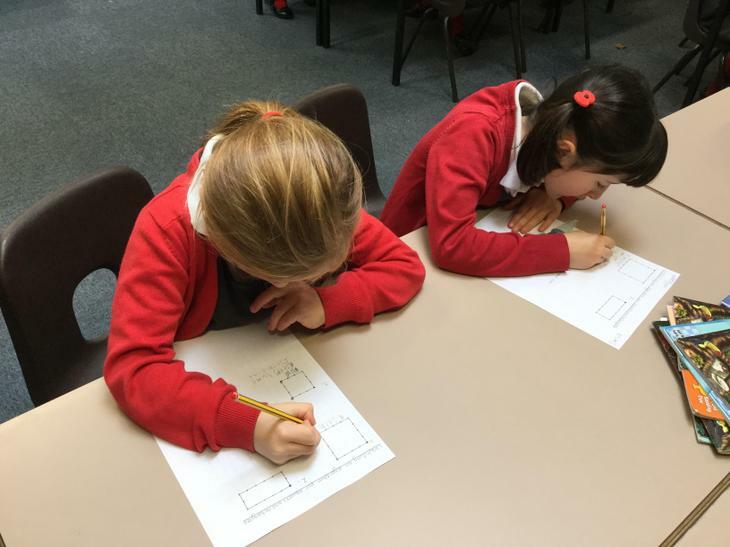 Next, we wrote our own algorithms for different size squares and rectangles. 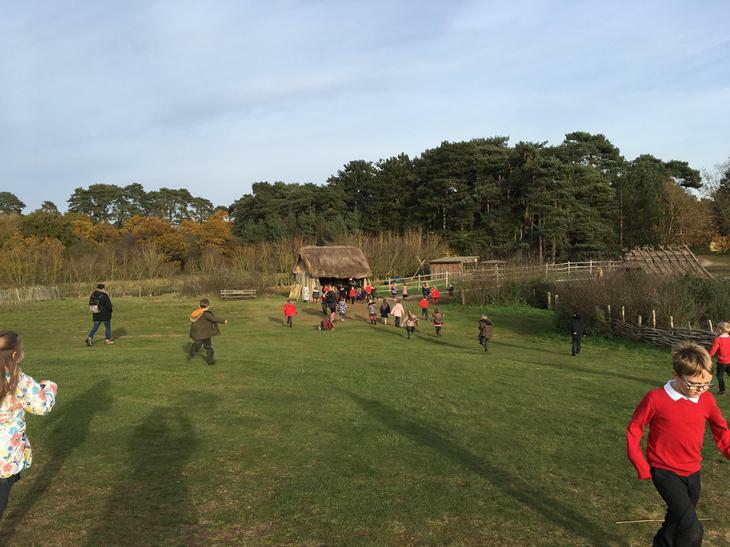 We learnt new commands - left 90, left quarter turn, right 90, right quarter turn and half turn. 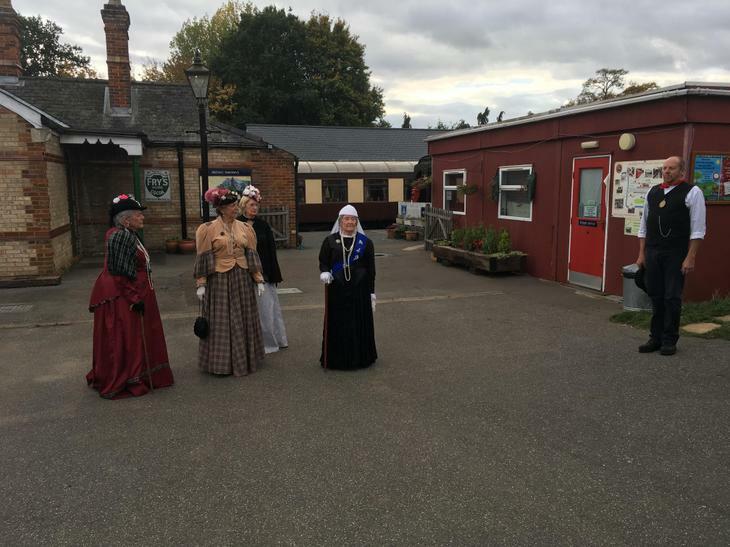 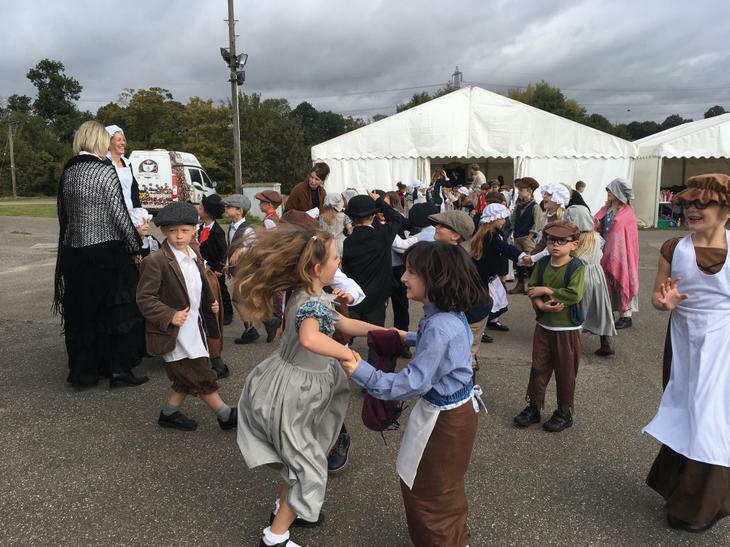 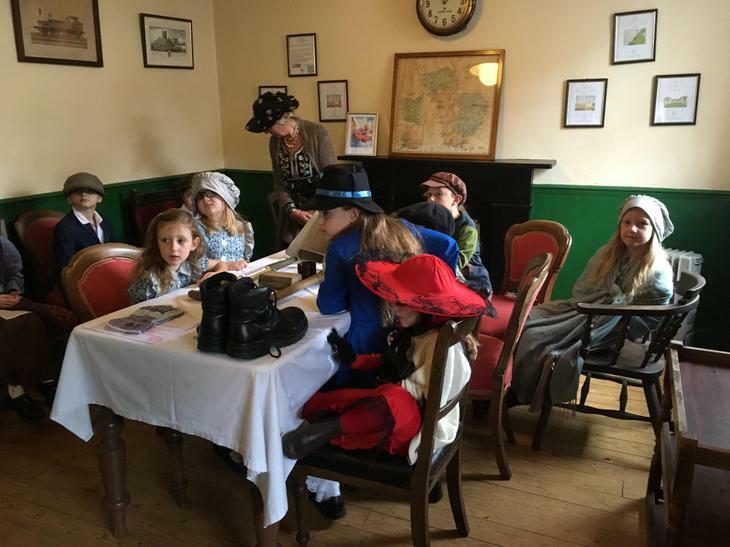 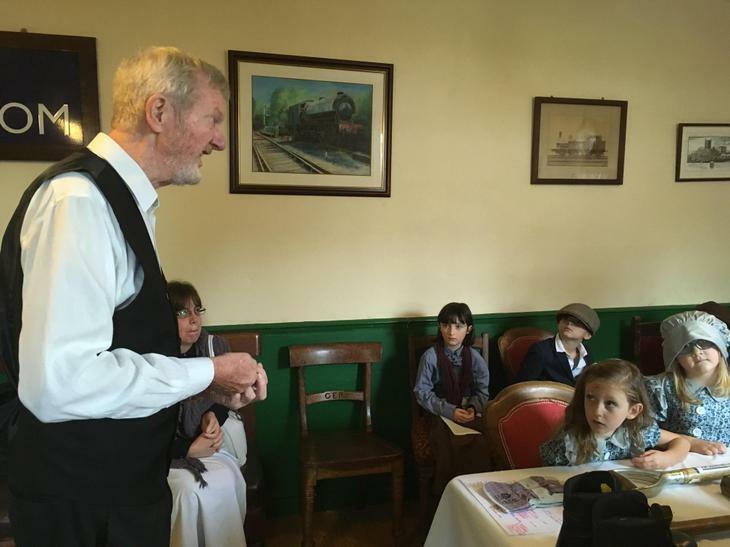 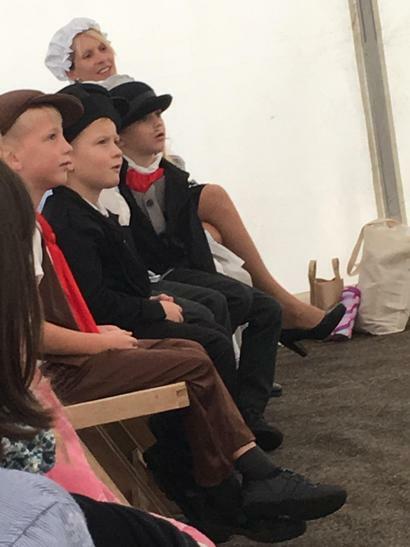 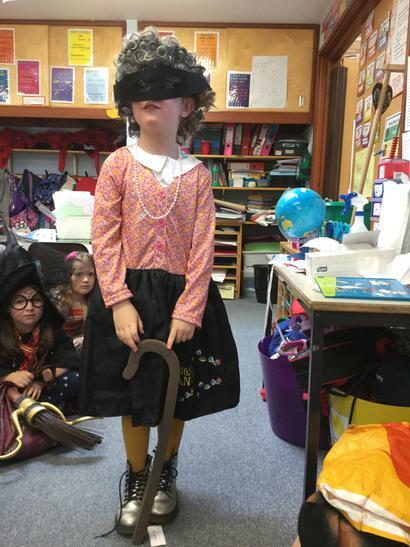 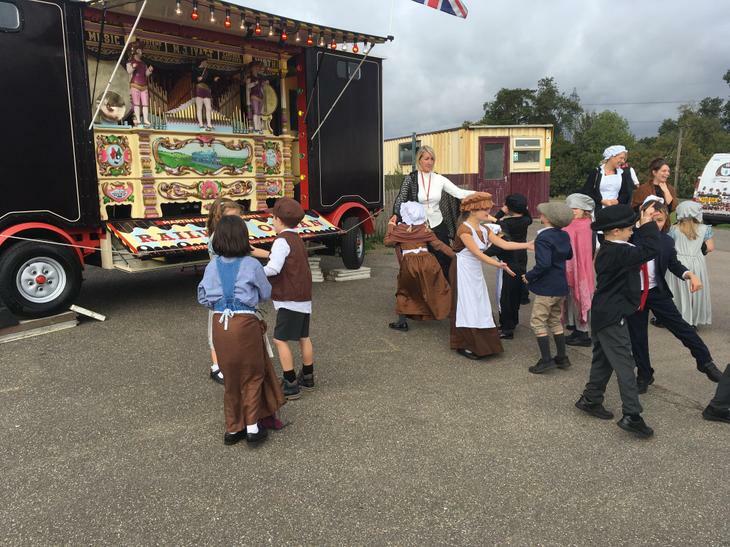 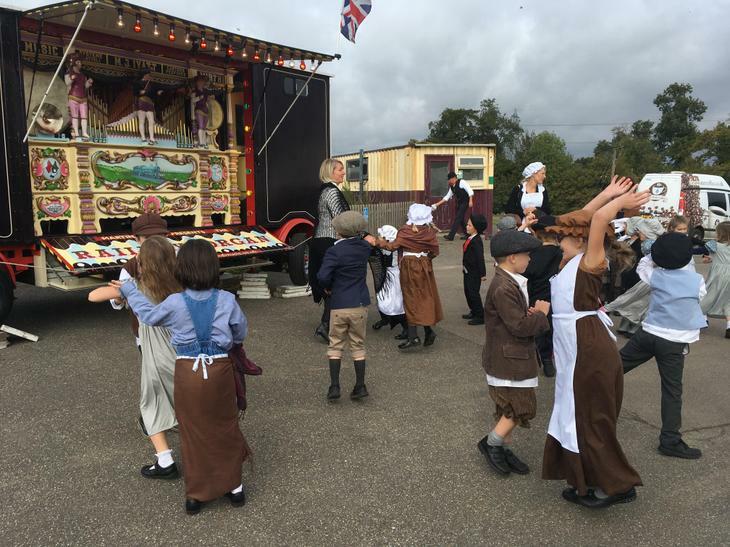 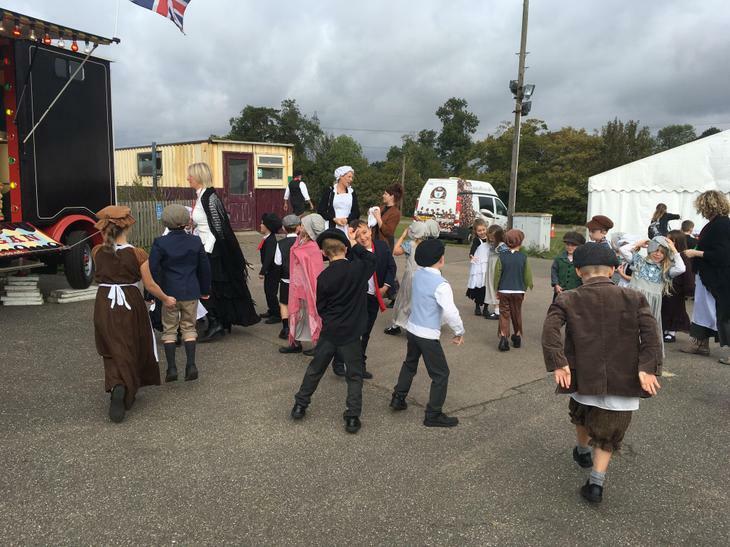 Last week Oak Class enjoyed their trip back to Victorian England when they visited Colne Valley Steam Train for the day. 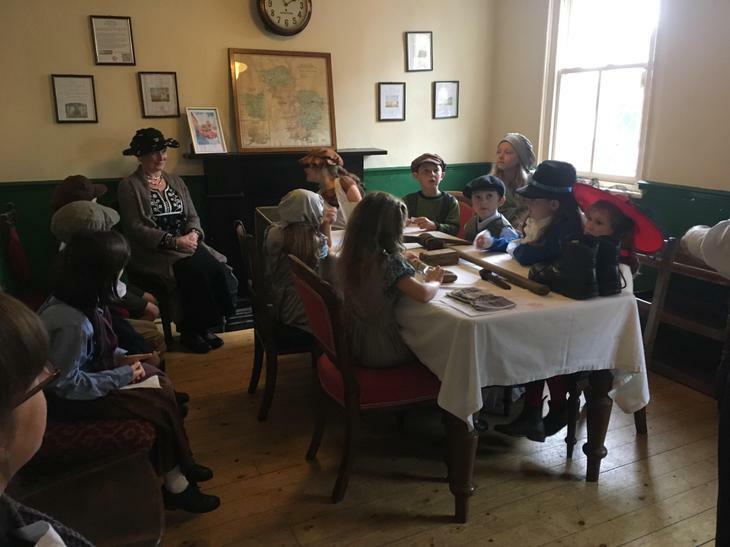 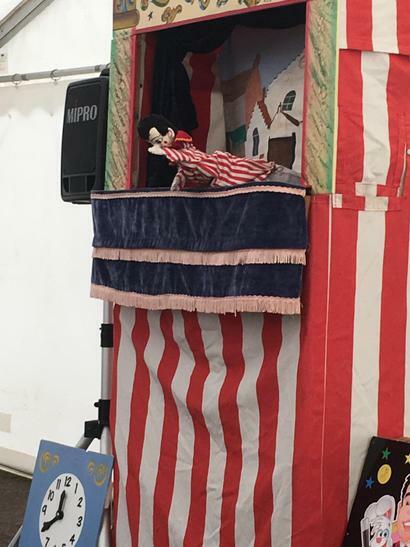 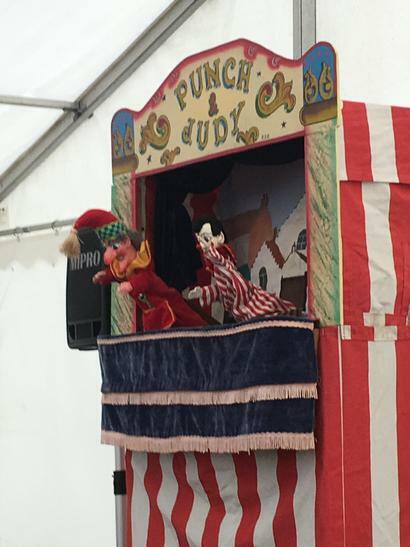 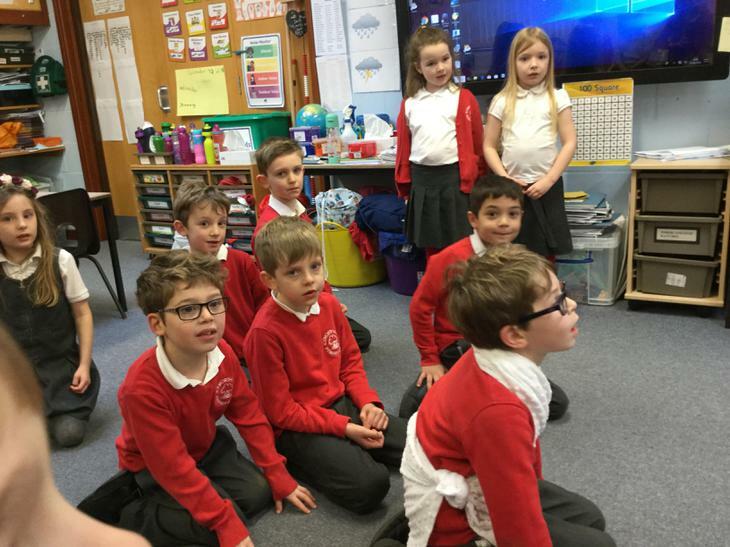 We all dressed in Victorian clothes and watched Punch and Judy, listened to interesting talks about the signal box, the waiting room, and First Aid. 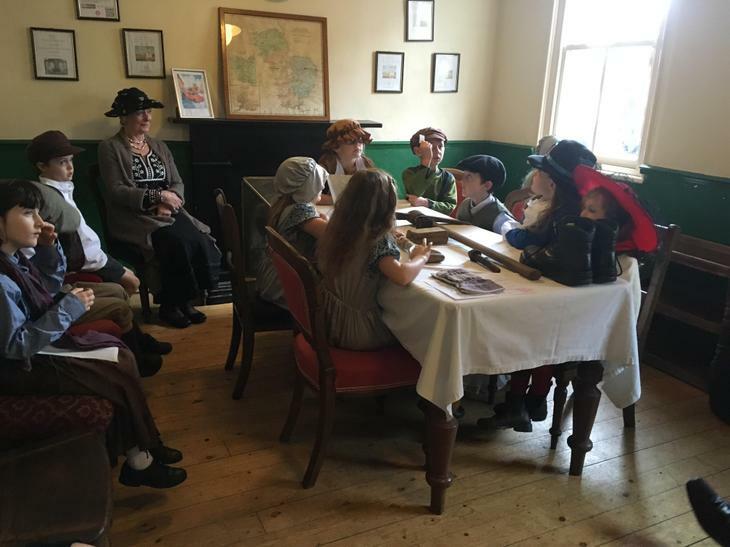 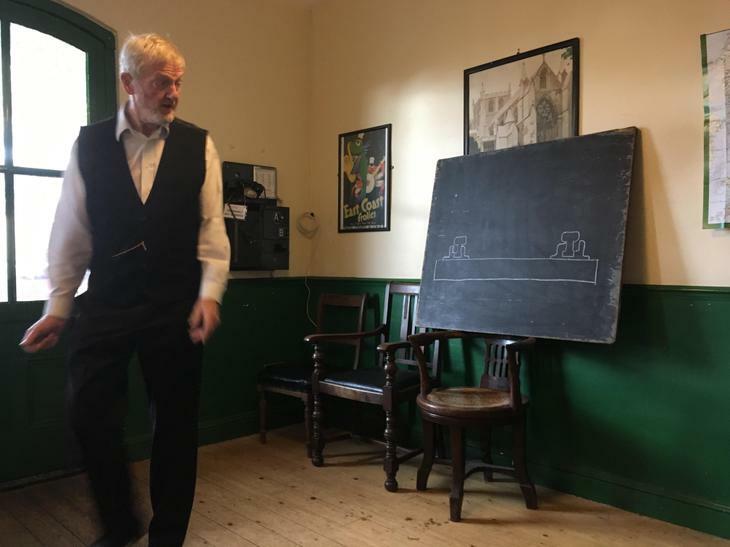 We also experienced life in a Victorian classroom with an extremely strict teacher! 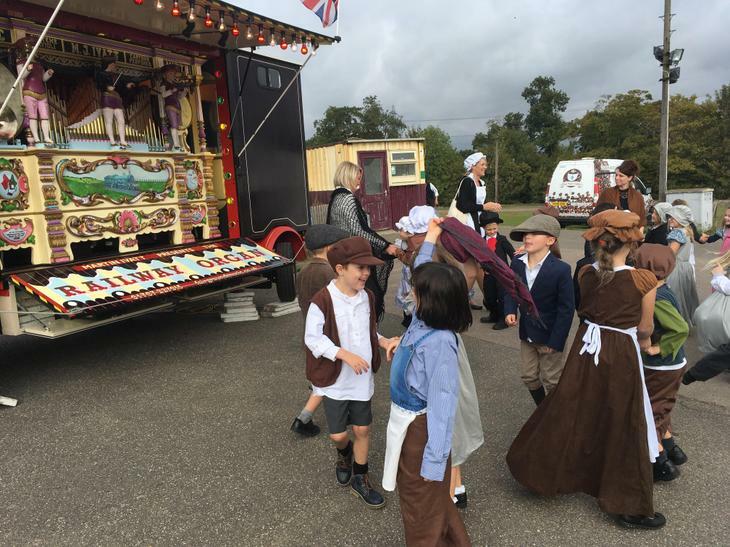 Children in Oak class were very good at sorting mail on the Royal Mail carriage and were interested to learn about the Penny Black. 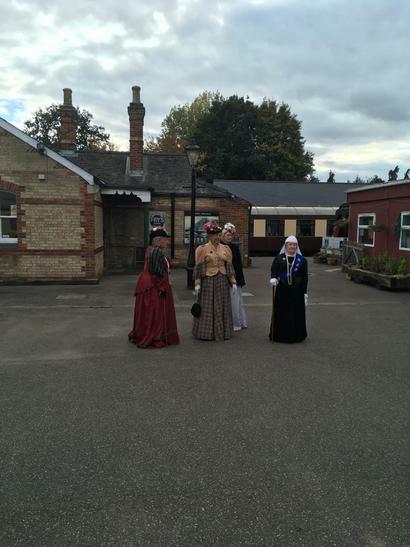 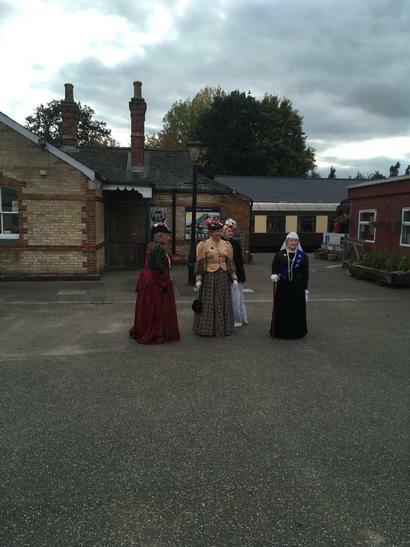 Following a picnic lunch outside, we rushed to catch the steam train where we met Queen Victoria and her entourage! 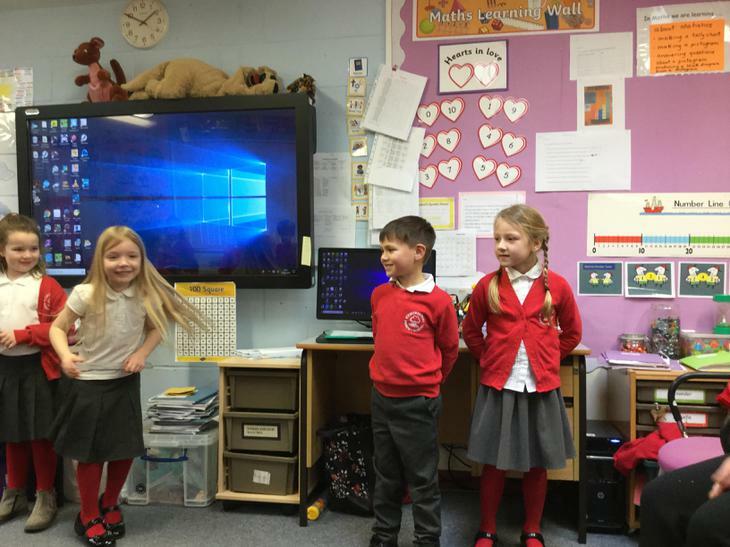 Later on we danced to the Organ music and were pleased to be joined by the Queen to whom we sang the National Anthem. 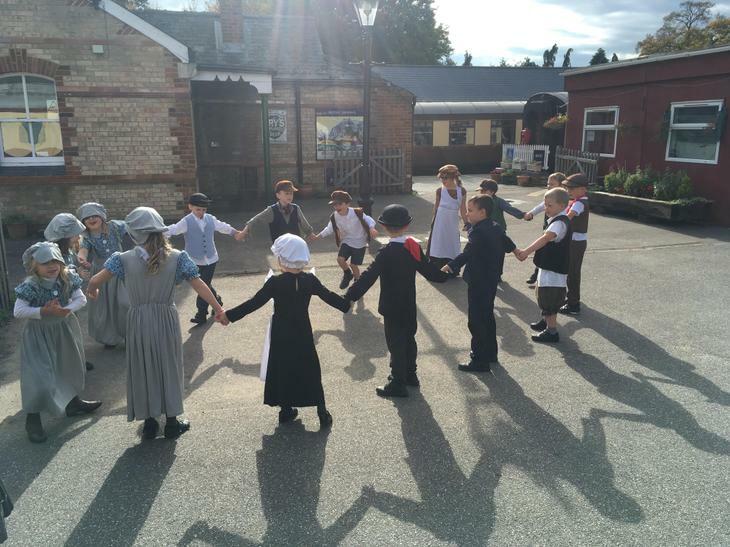 Finally, we returned to school tired but far more knowledgeable about life as a Victorian. 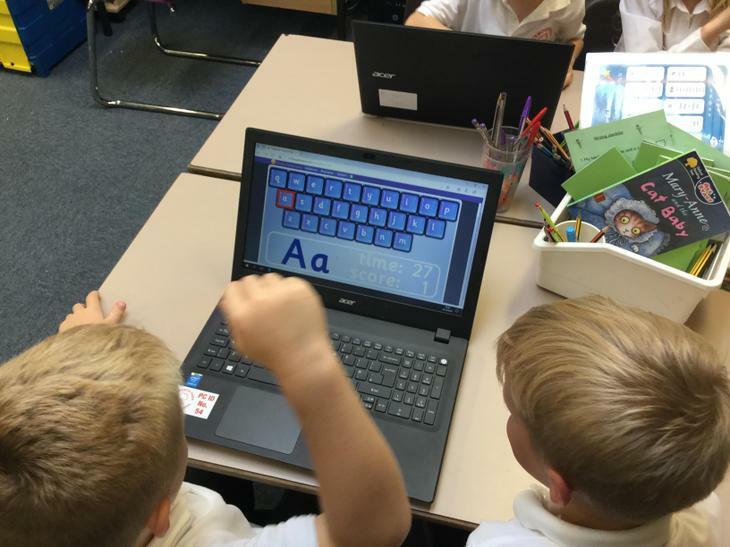 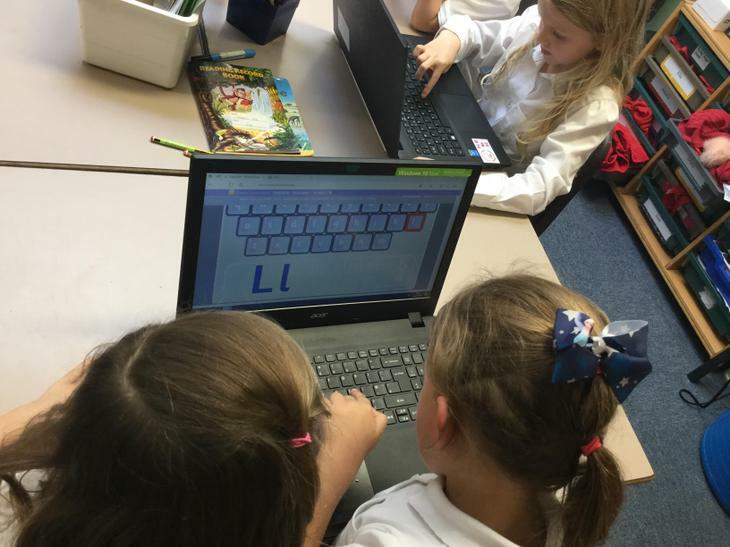 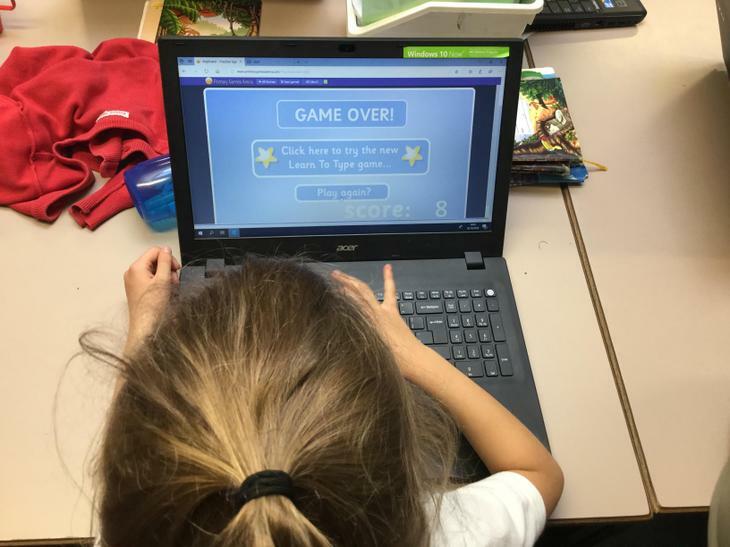 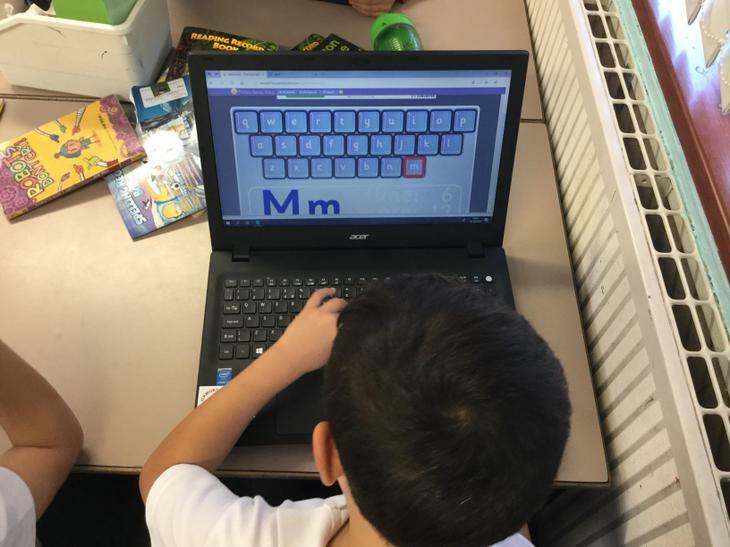 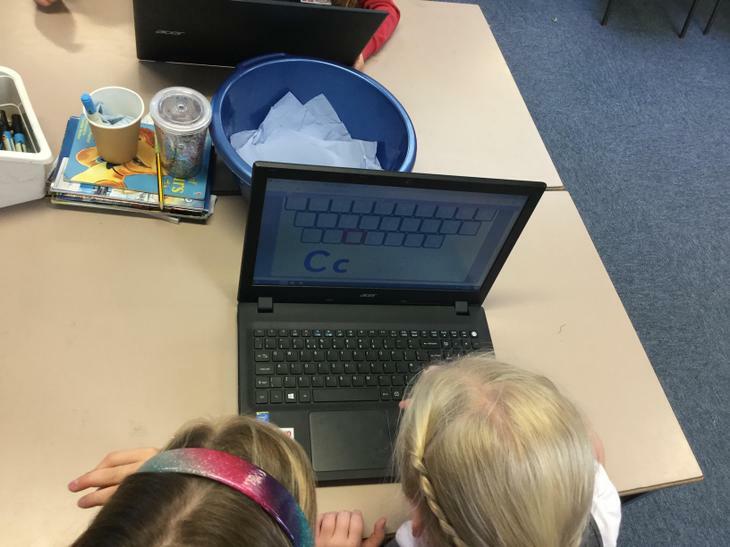 In ICT, Oak class have been practising logging on to the computers using their own username and password, learning keyboard skills and having a competition to see who can locate the letters quickest. 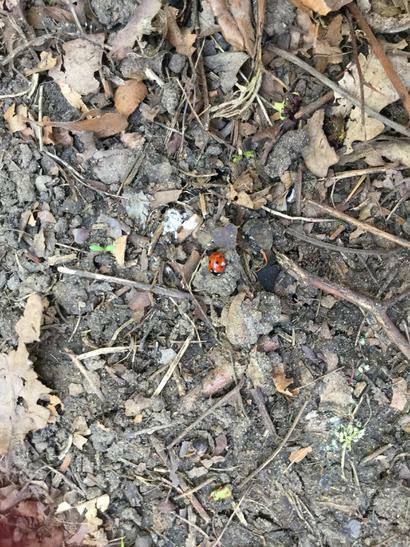 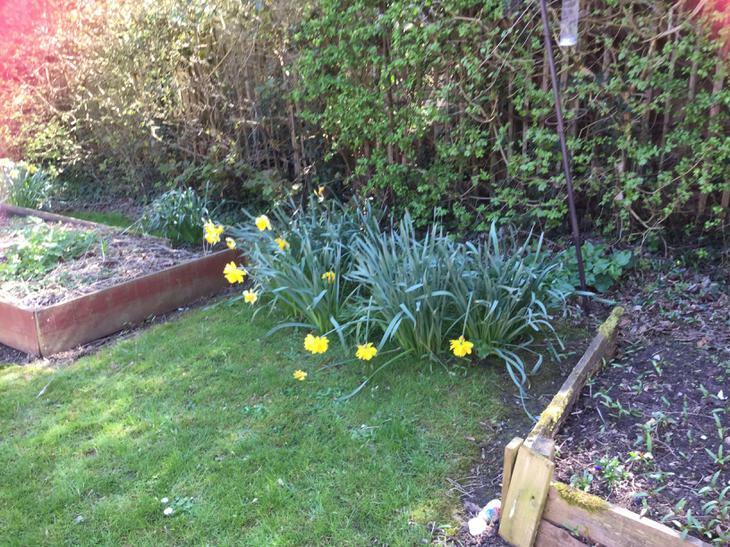 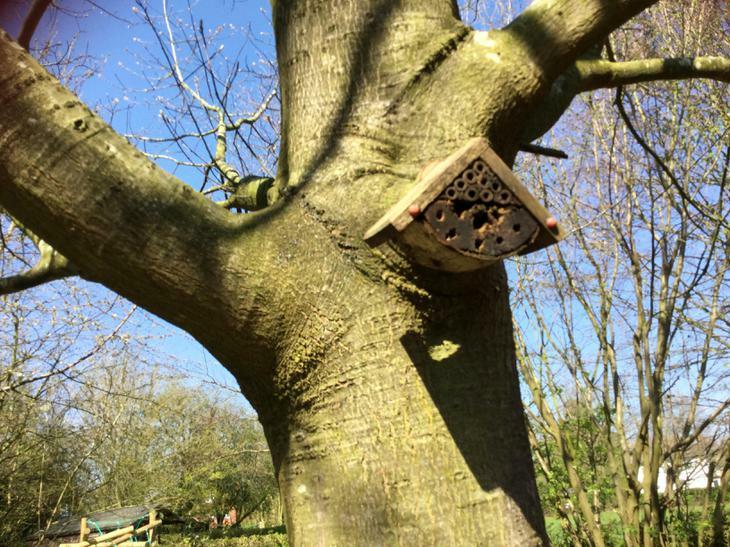 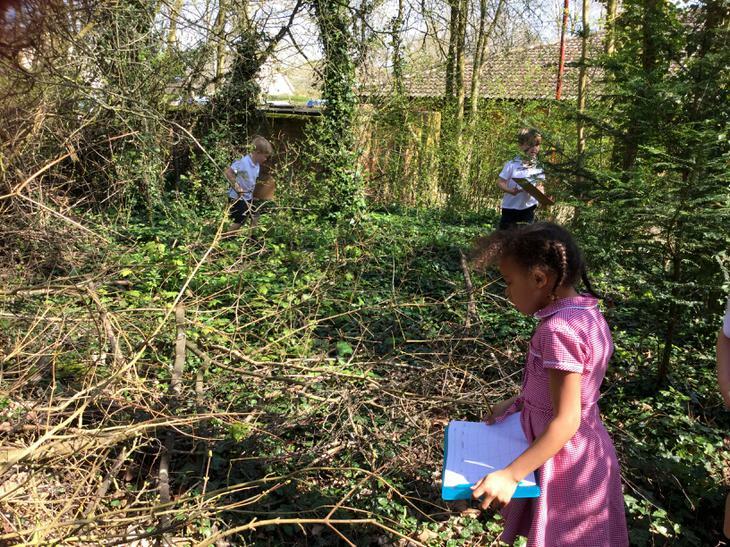 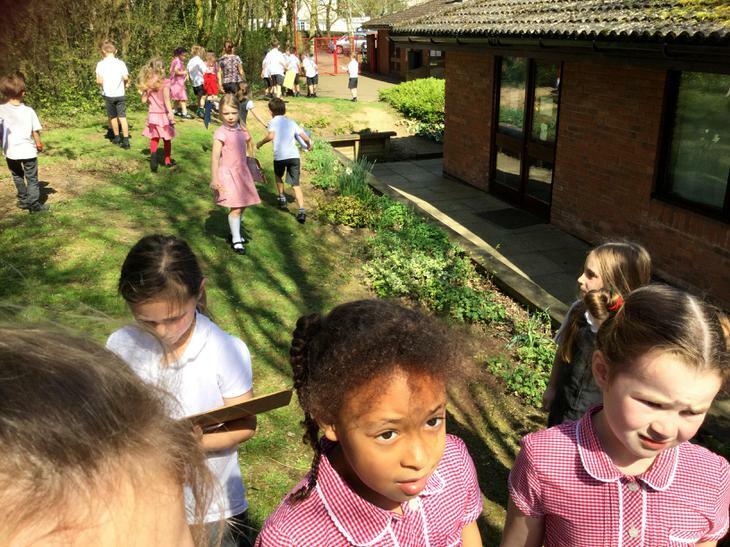 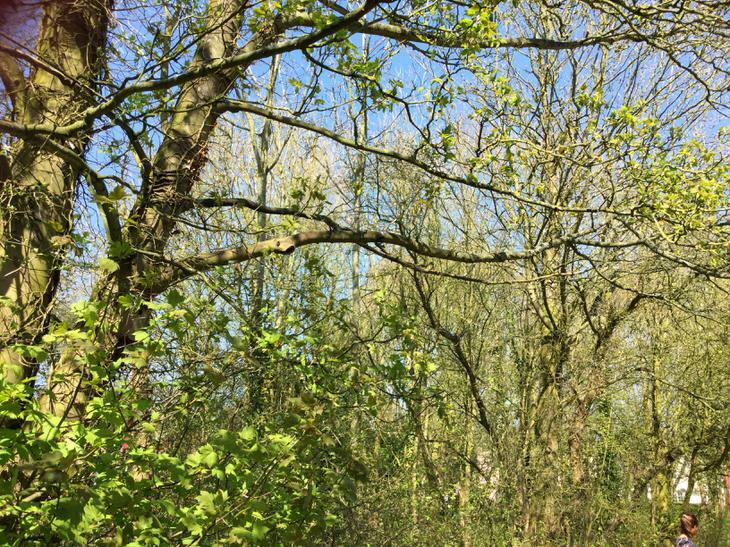 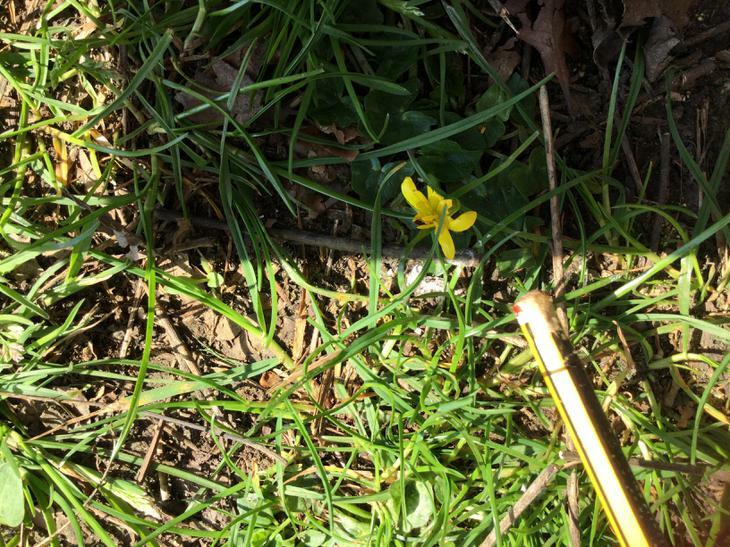 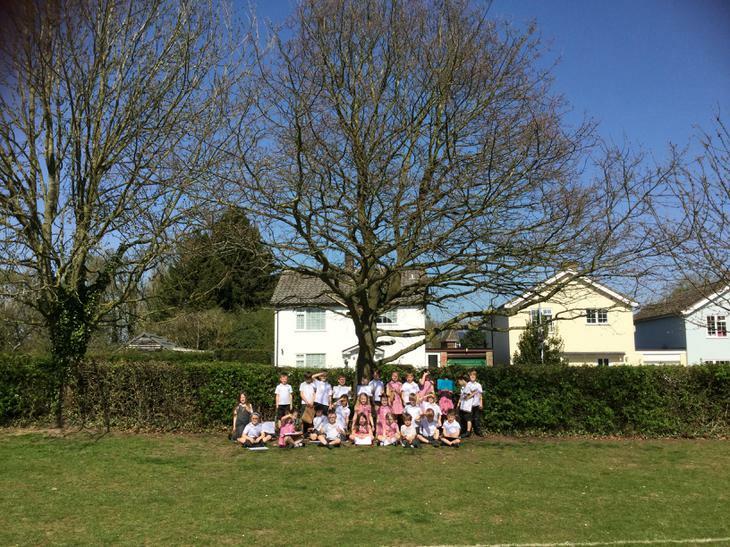 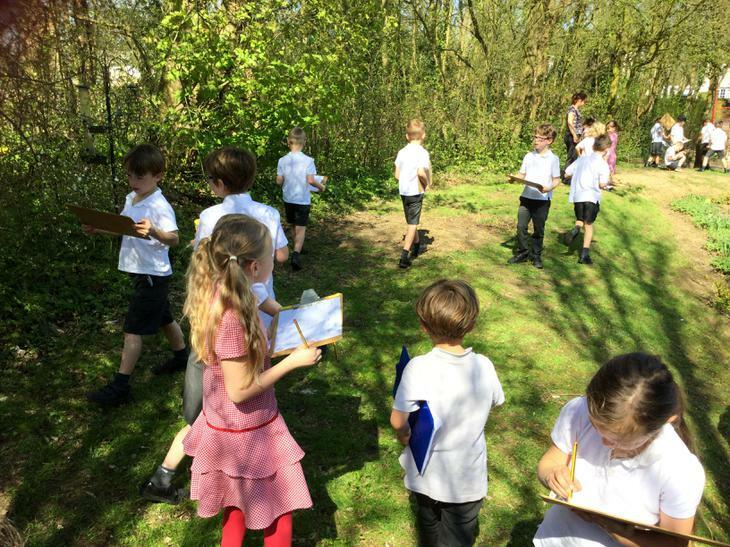 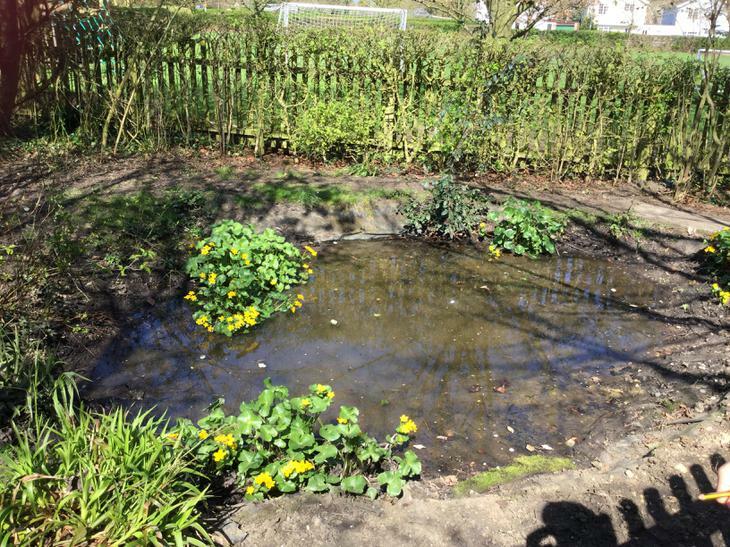 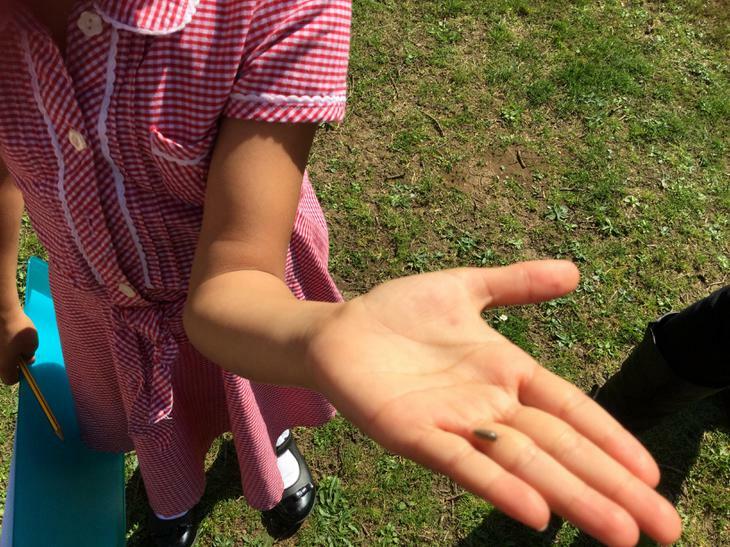 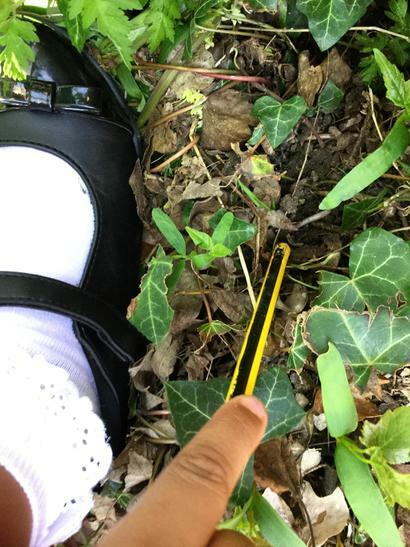 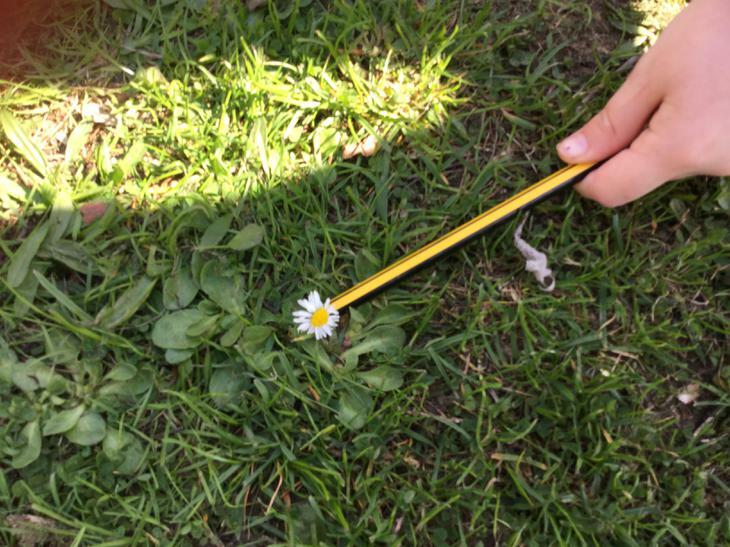 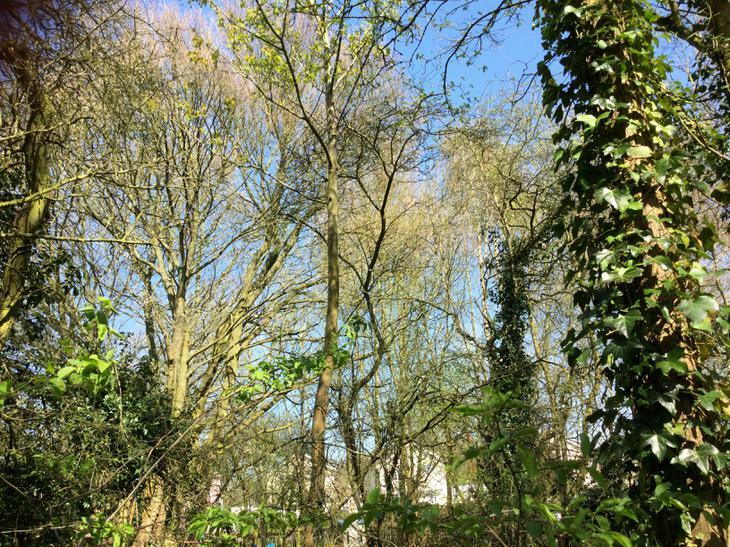 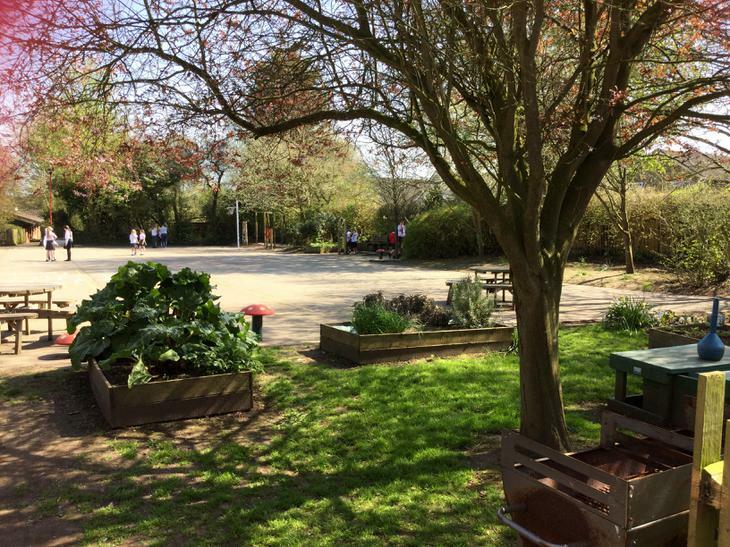 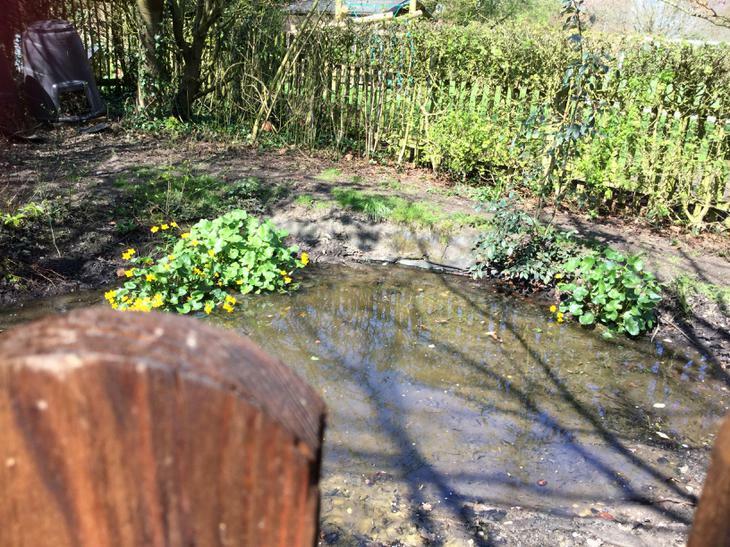 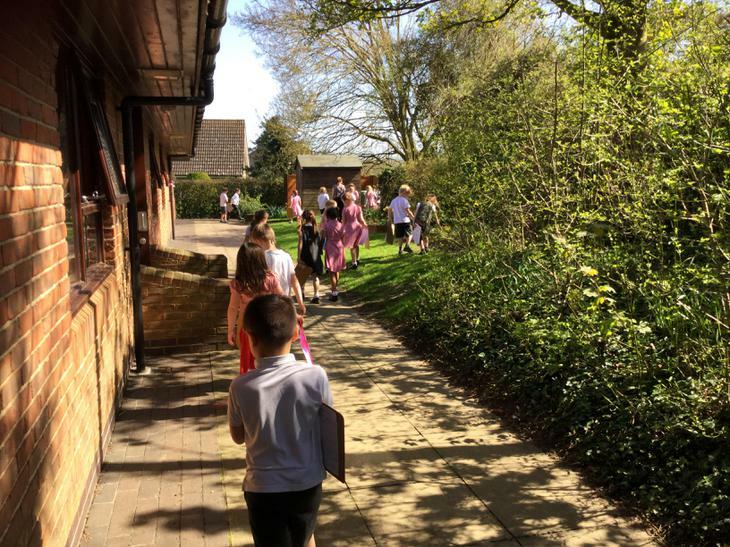 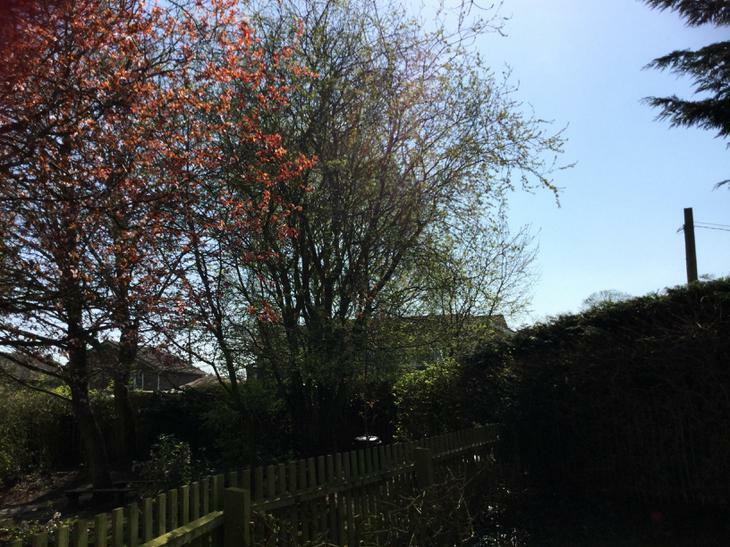 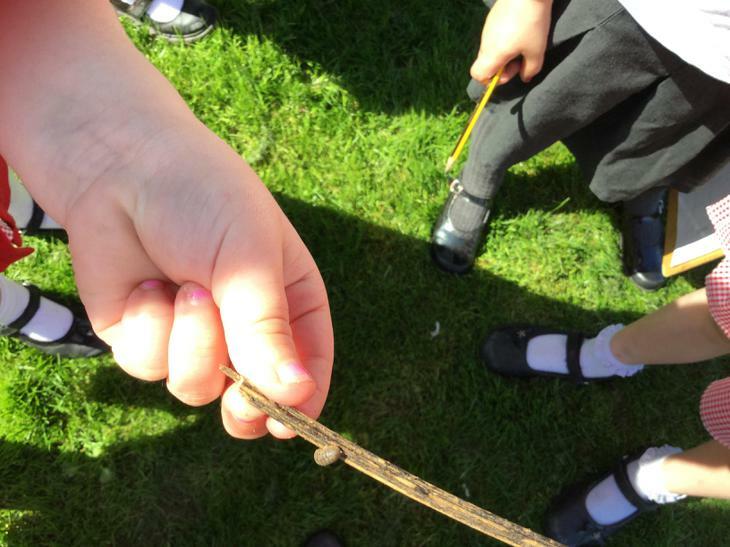 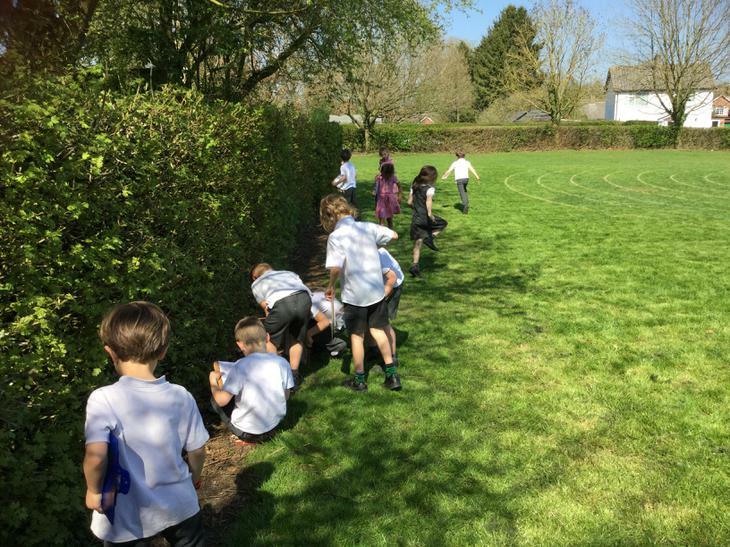 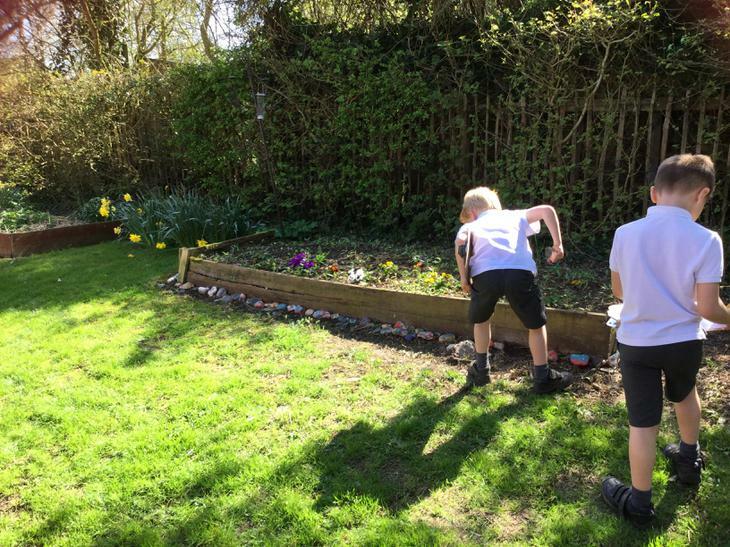 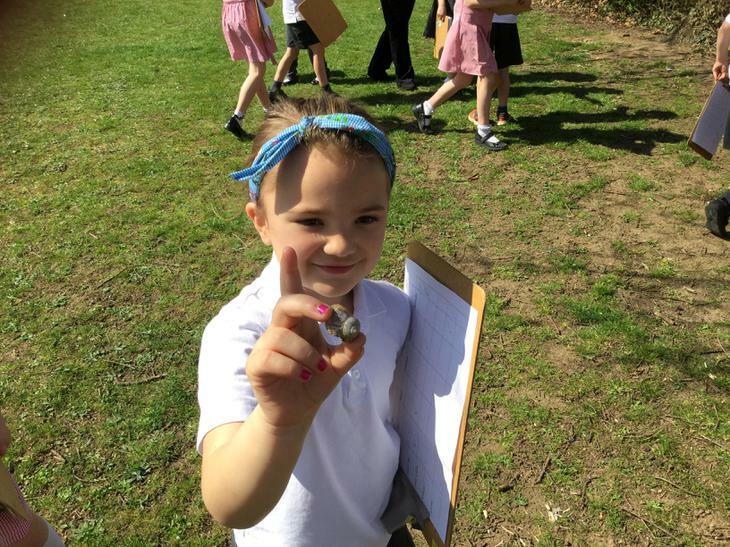 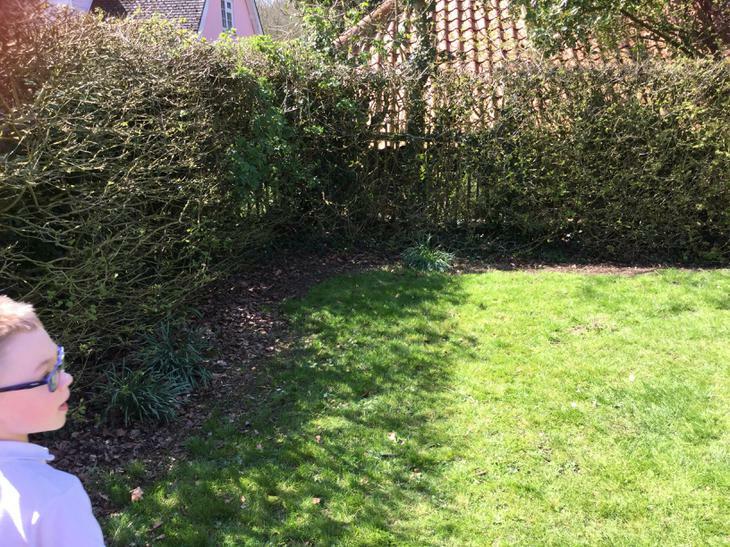 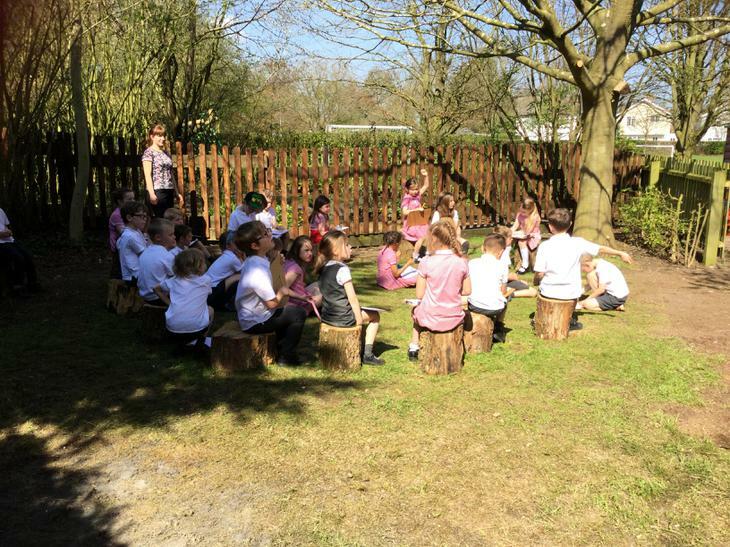 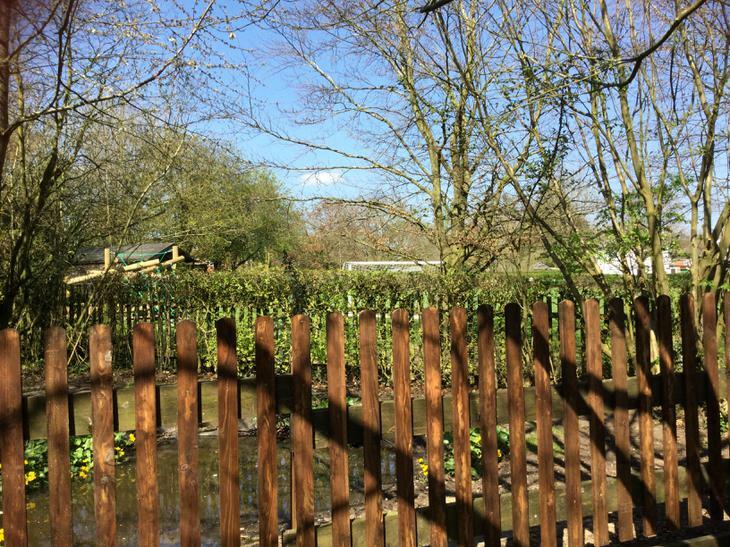 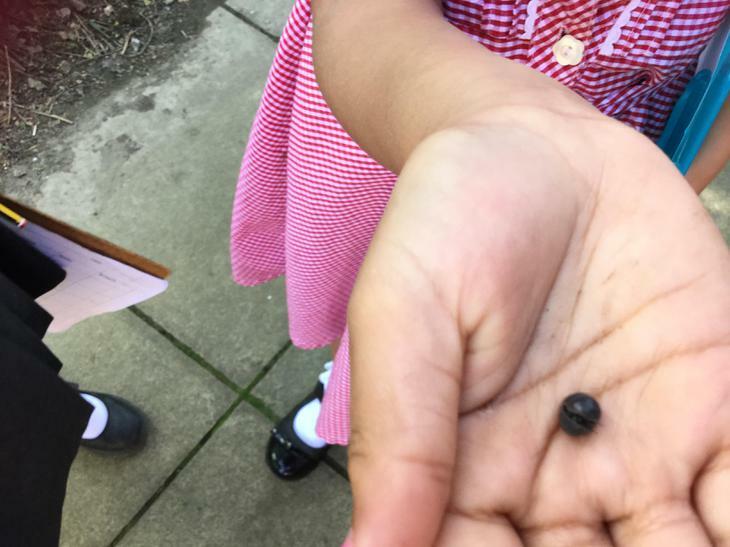 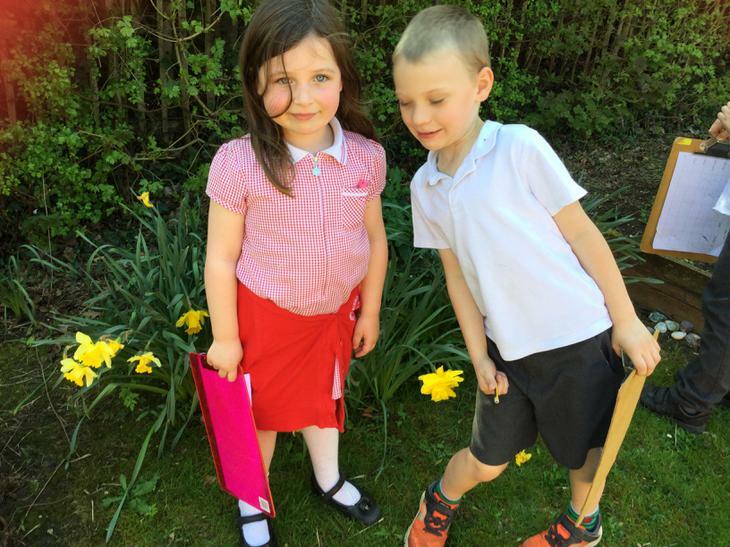 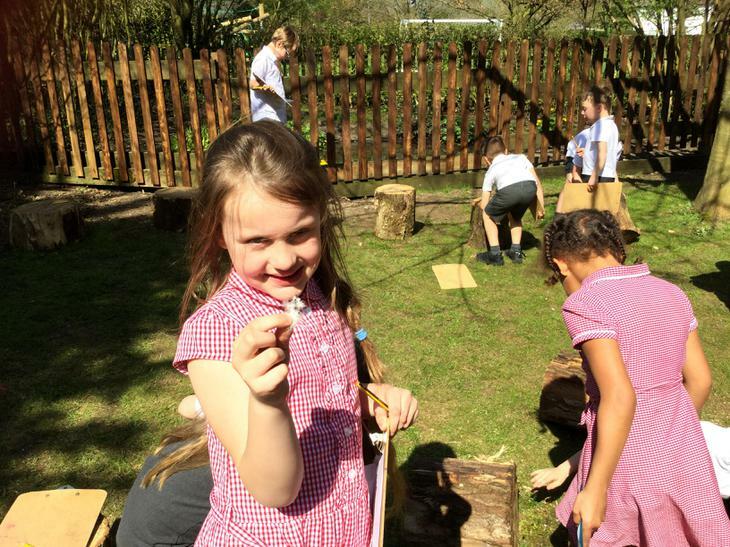 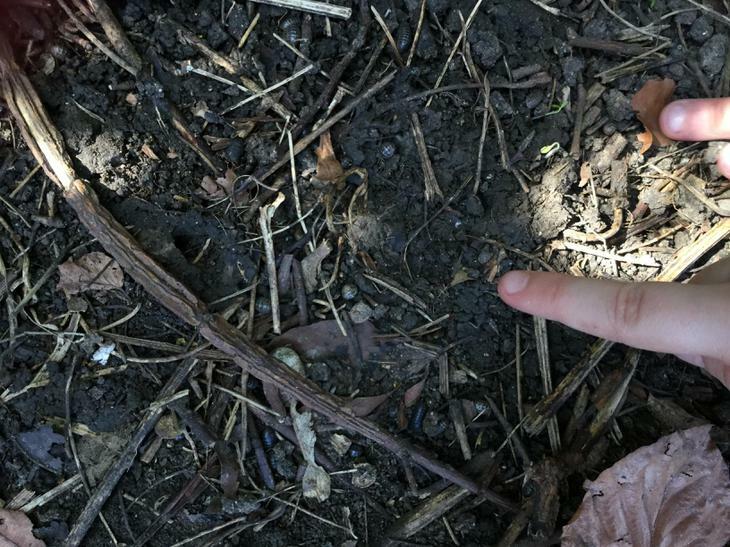 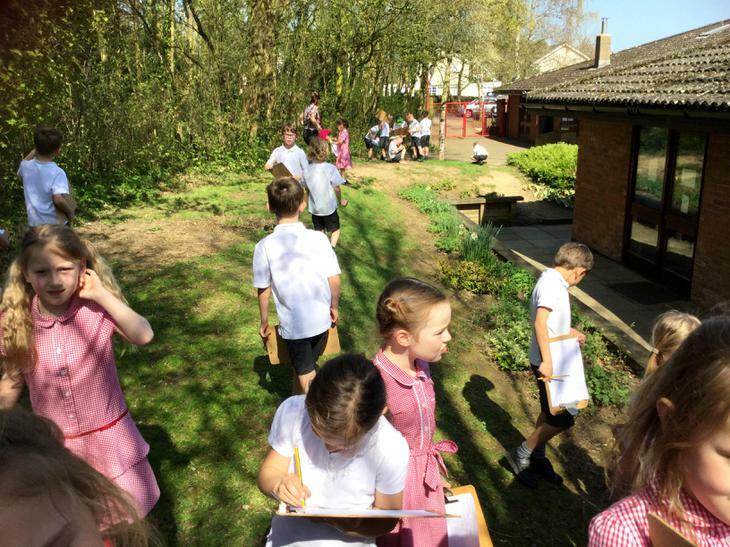 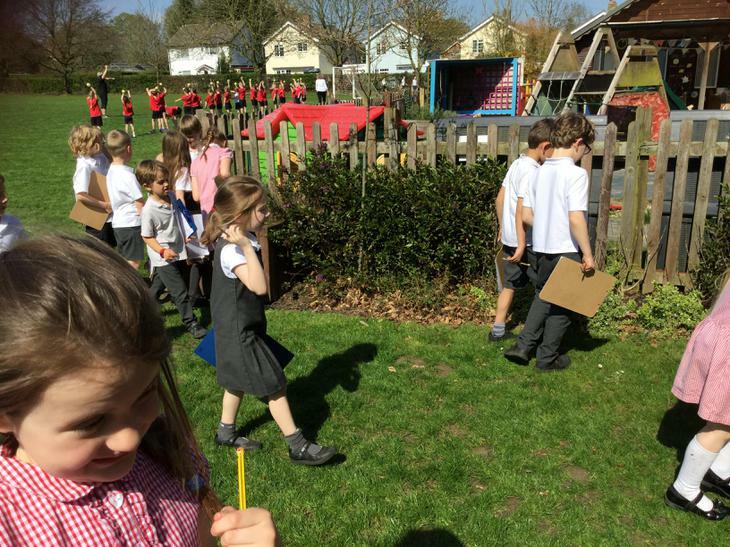 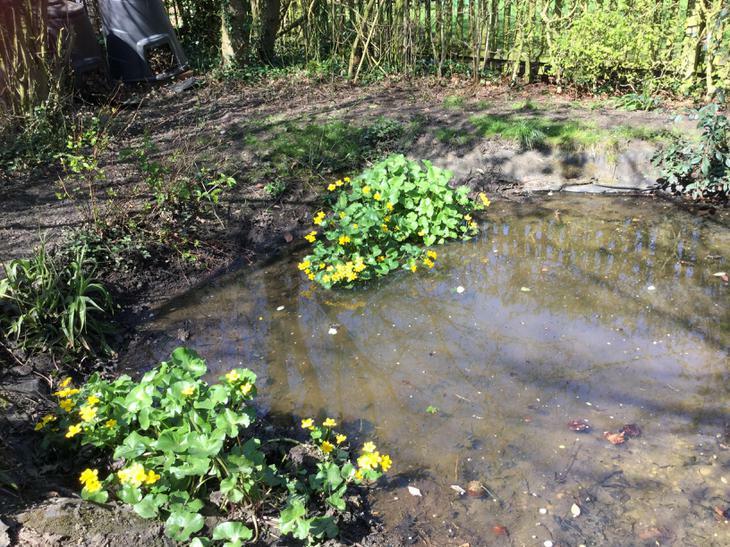 Oak Class went on a very sunny Spring walk and observed many creatures in their habitats. 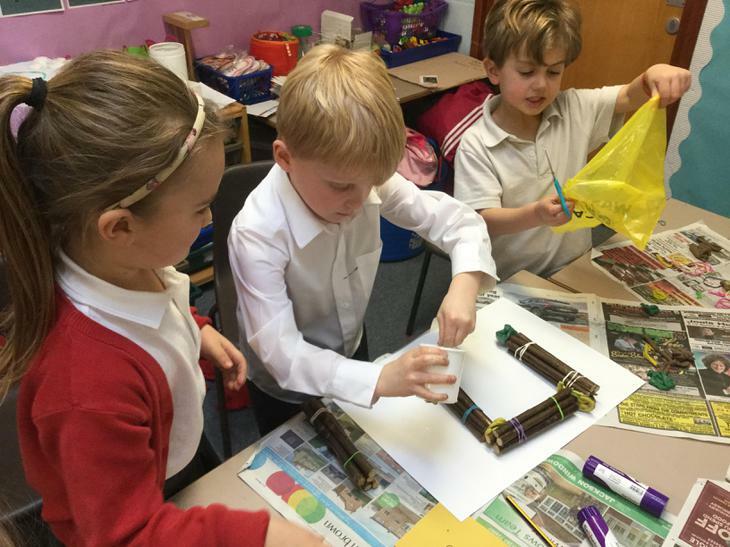 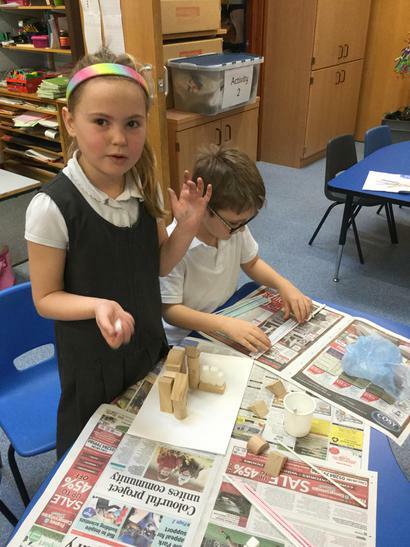 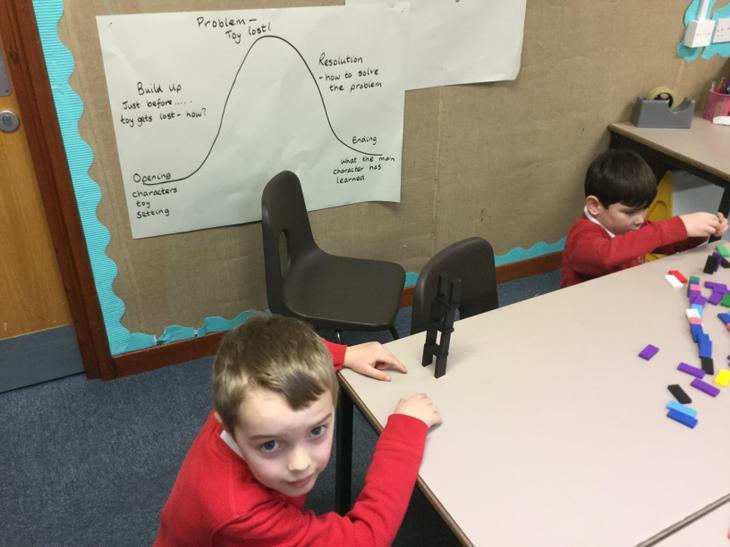 Linked to our topic, we have designed and made Totem Poles. 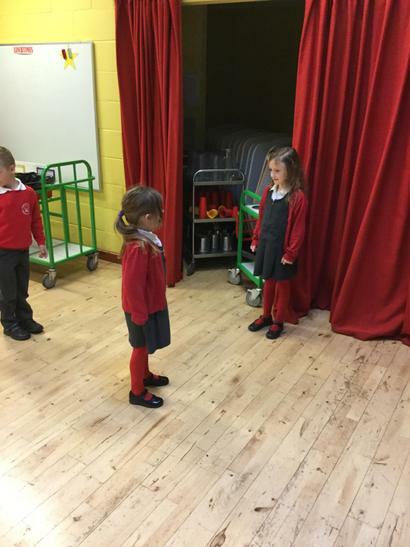 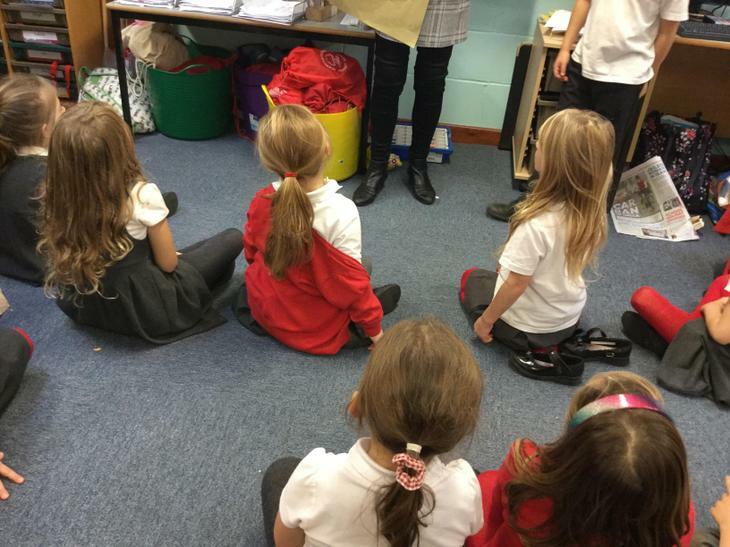 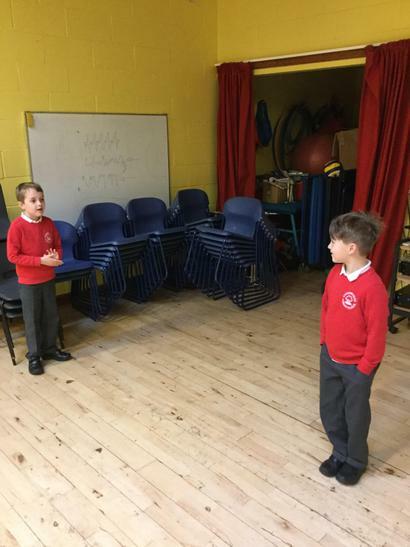 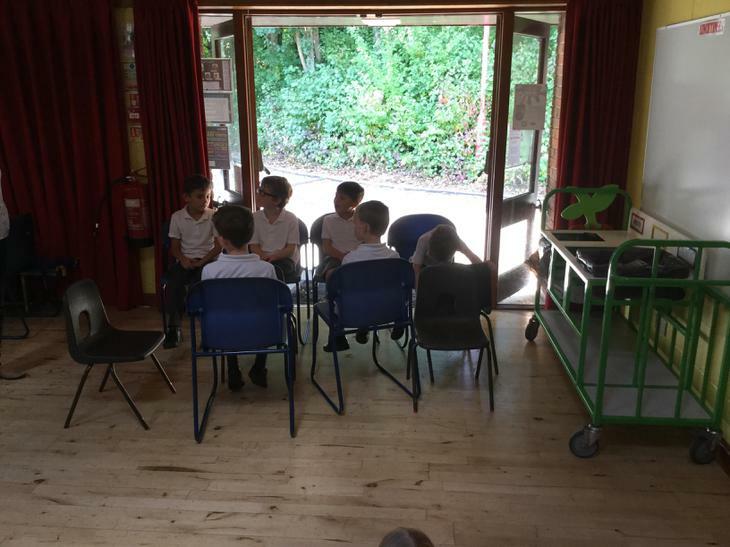 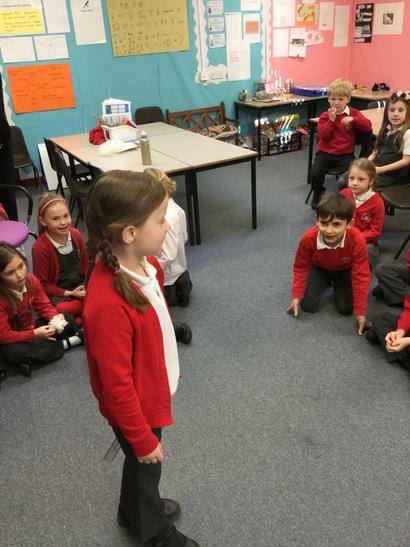 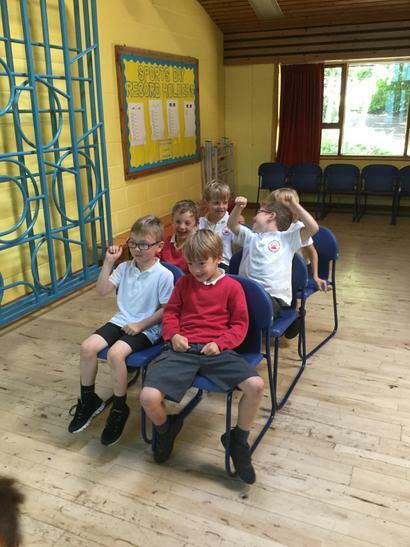 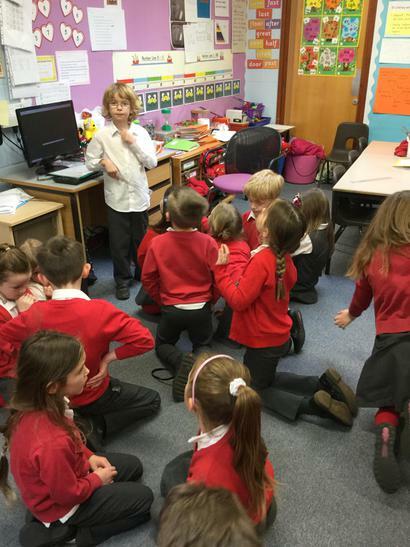 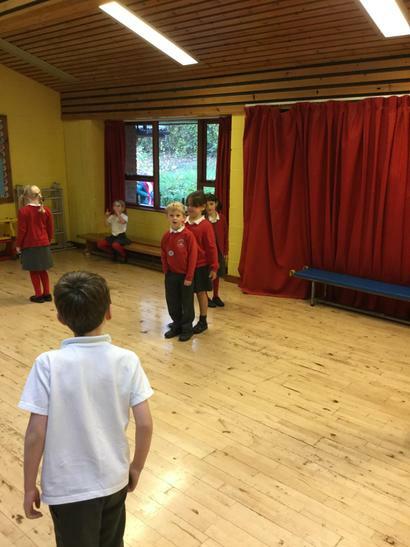 We all enjoyed a drama session which encouraged us to think of ideas for our fantasy story writing. 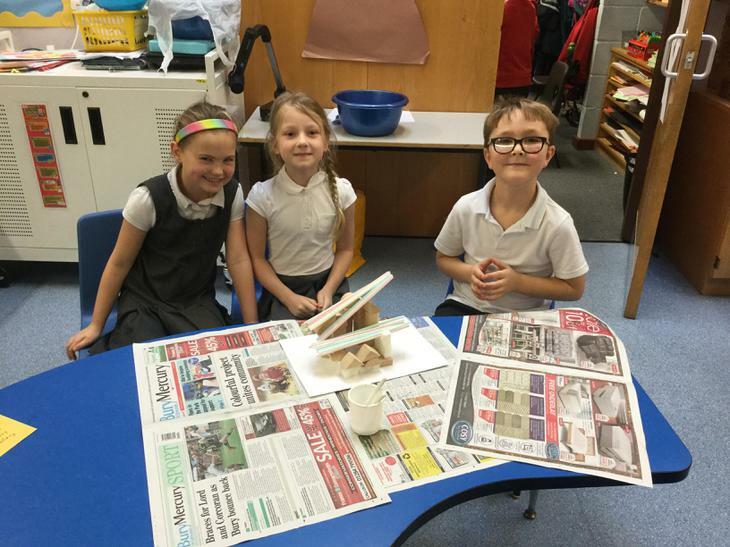 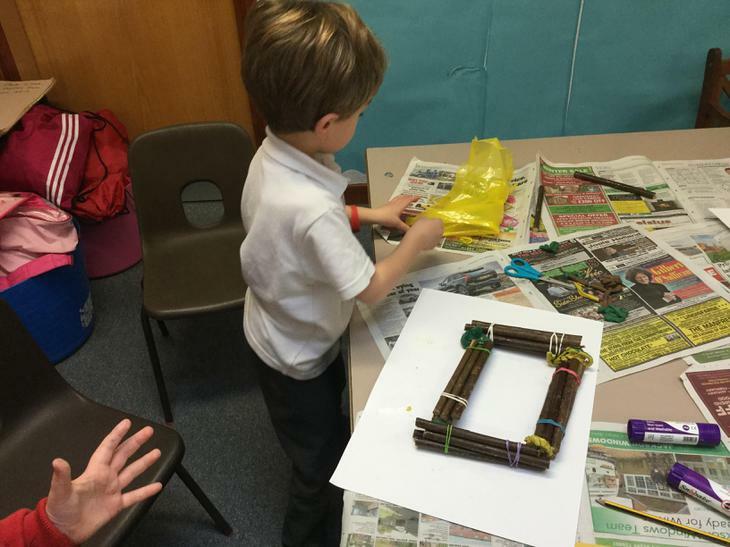 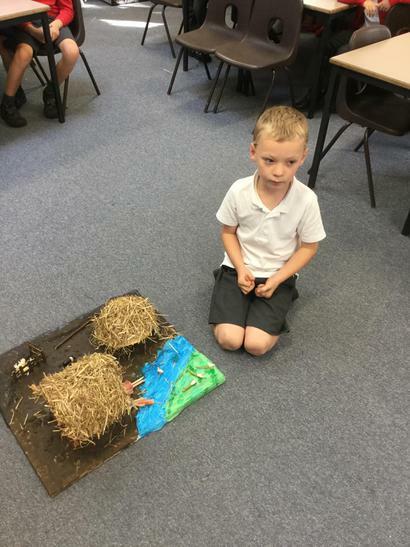 The children have enjoyed carrying out a scientific investigation where they were given specific materials to chose from to produce a house which is water resistant. 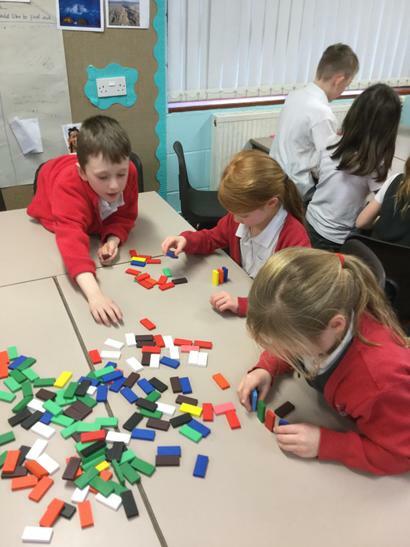 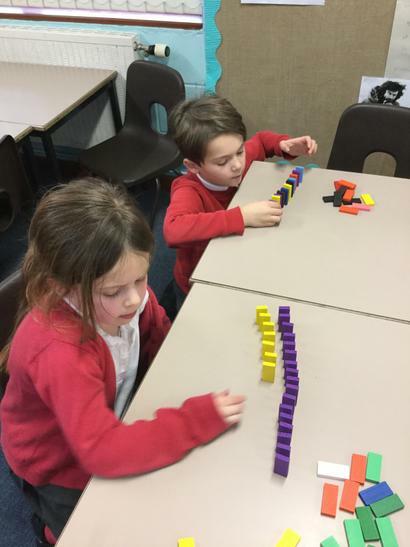 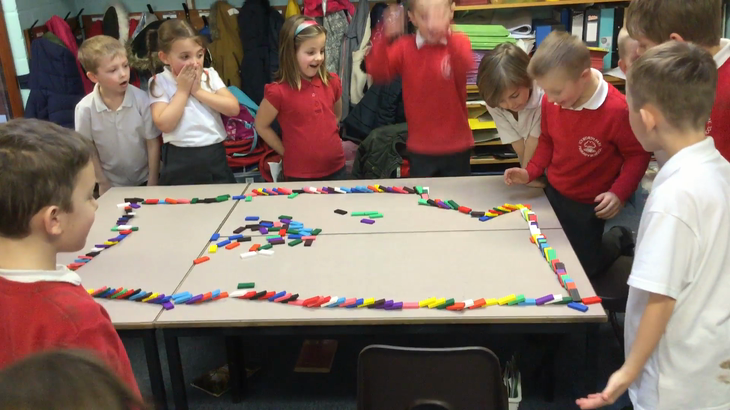 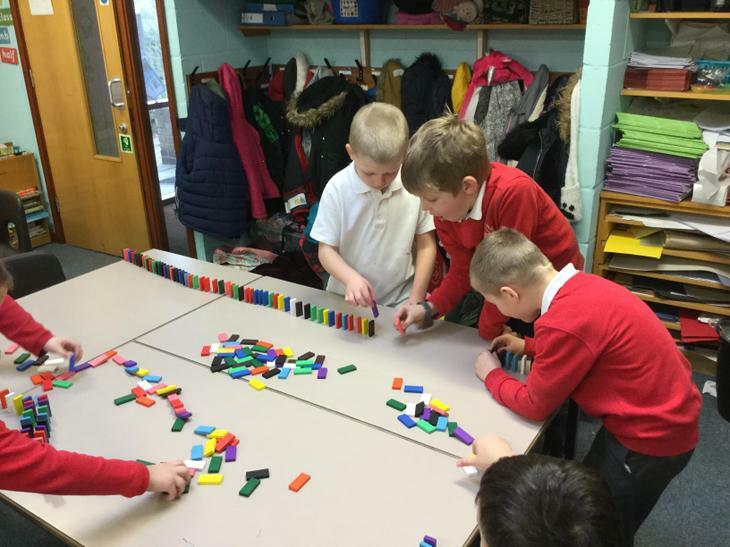 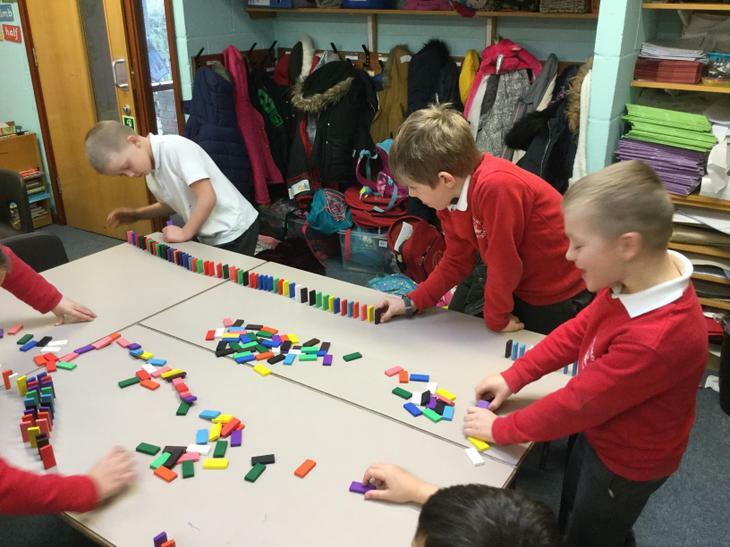 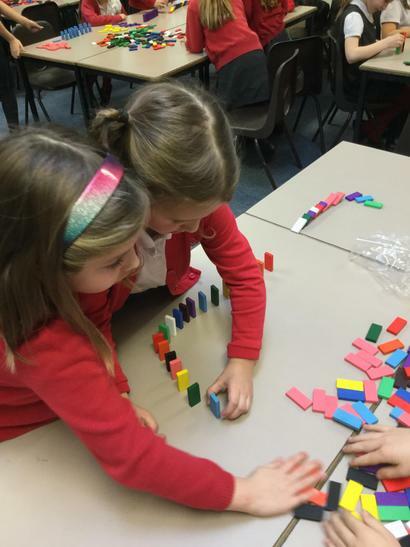 This afternoon they worked together in groups of threes with children who had chosen the same materials. 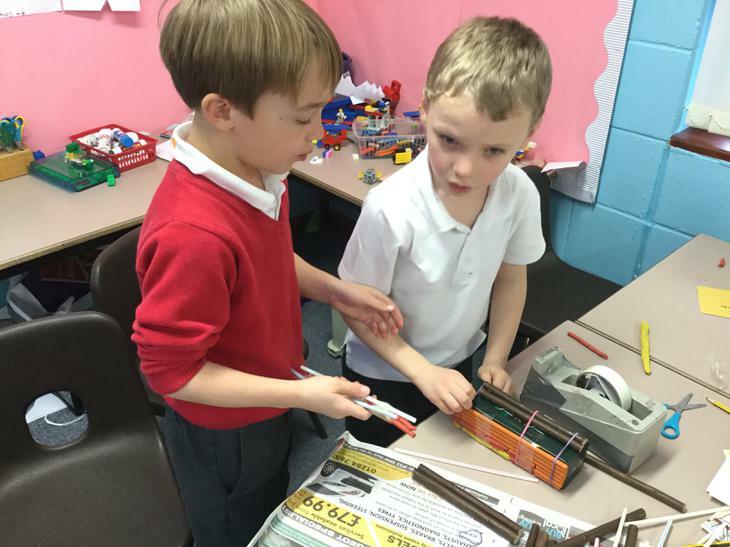 It was great to see the collaboration and problem solving that took place. 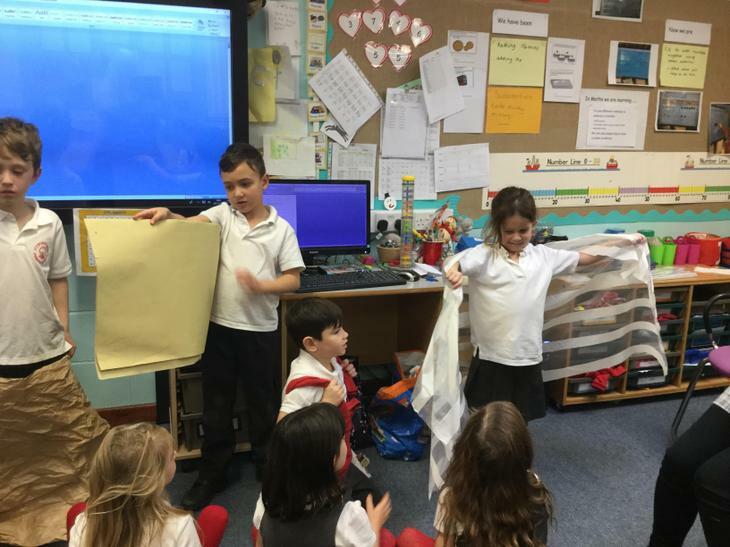 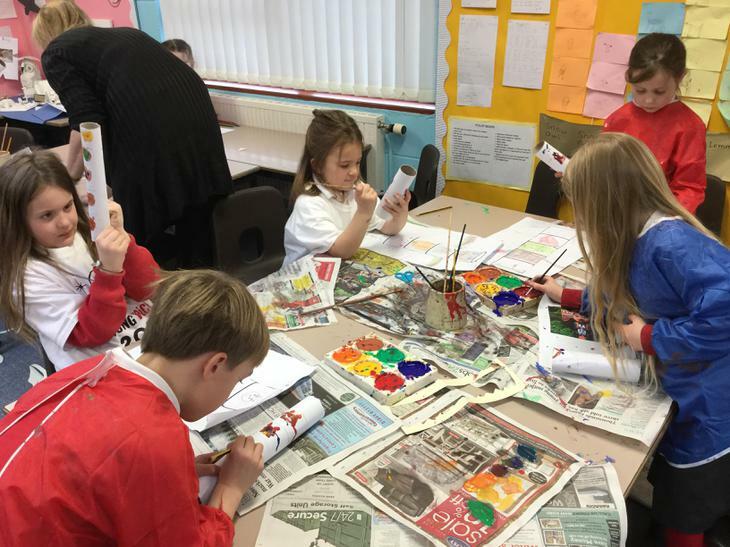 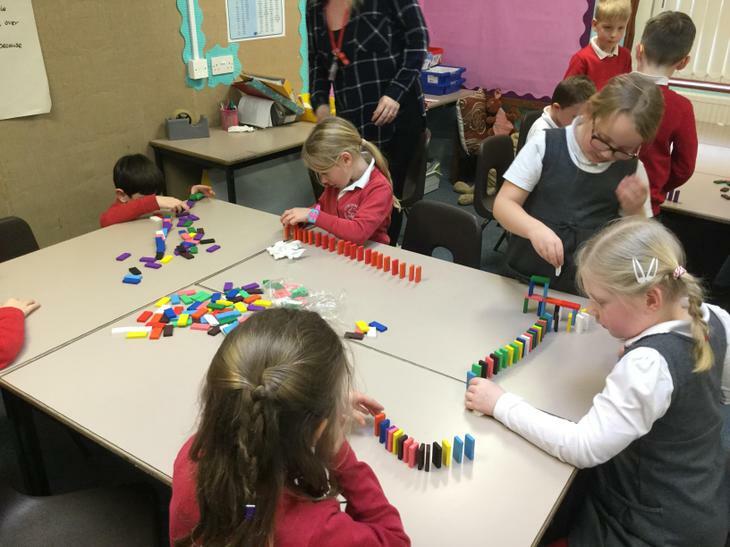 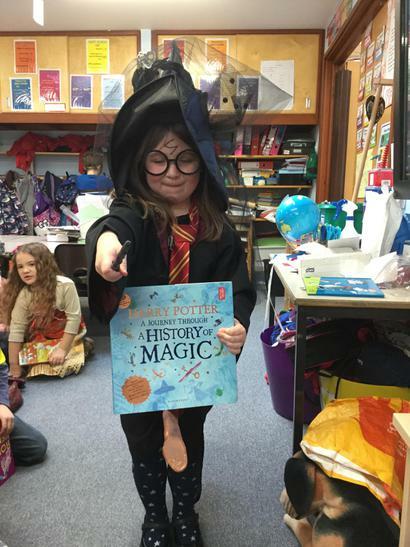 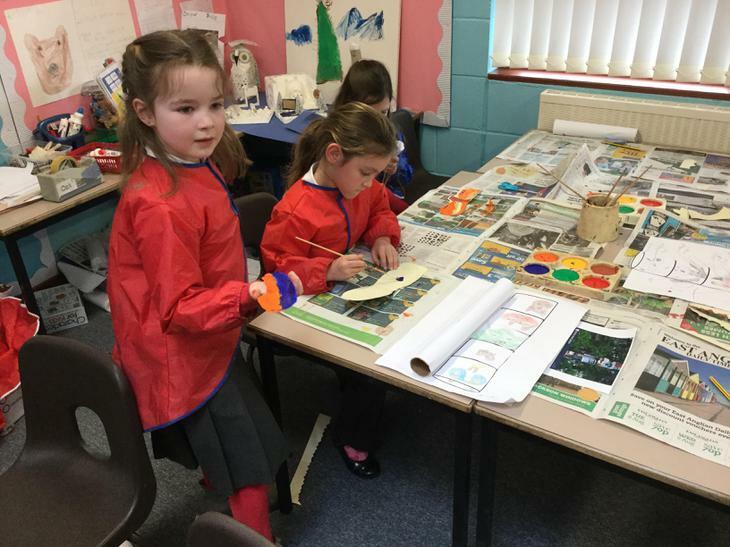 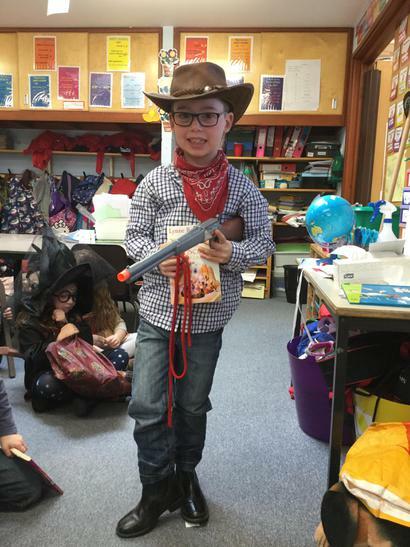 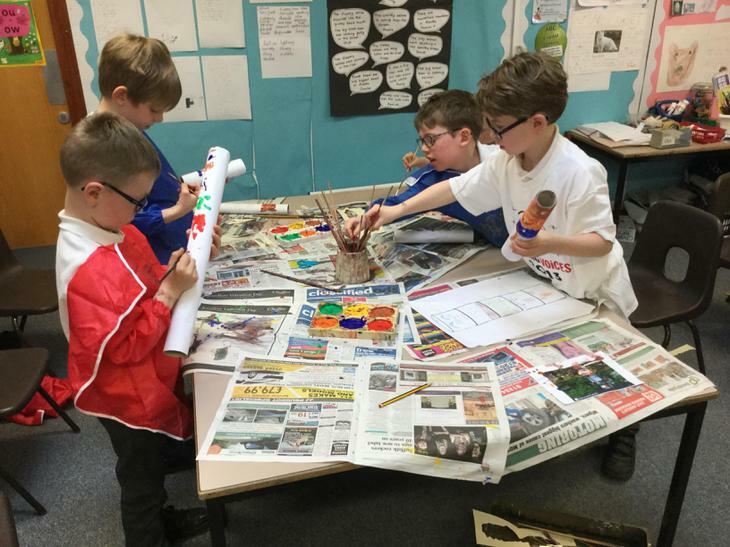 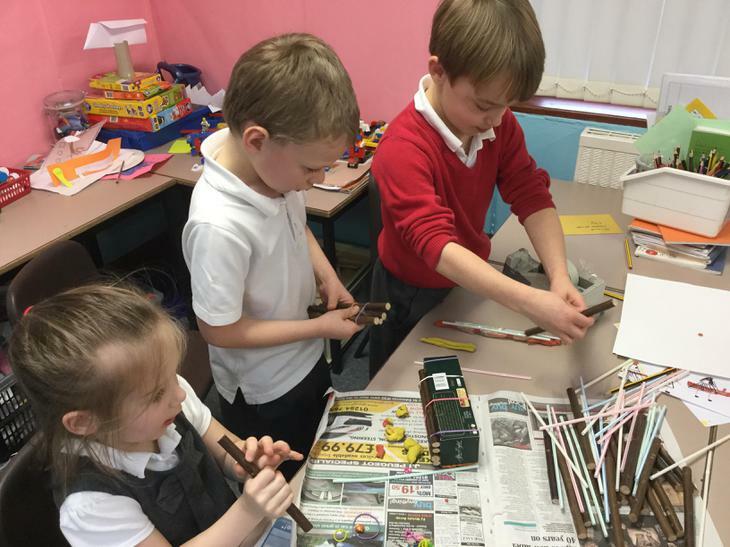 There were many interesting discussions and debates while the children predicted which materials to use and then adapted when necessary, their ideas to achieve their goal. 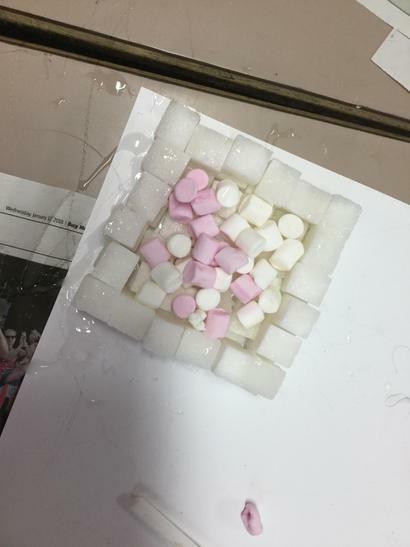 We have yet to test the water resistant properties! 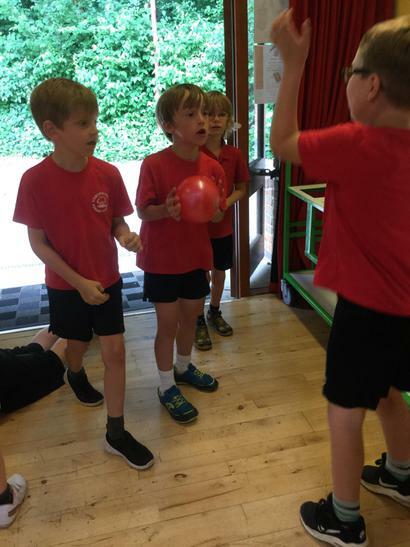 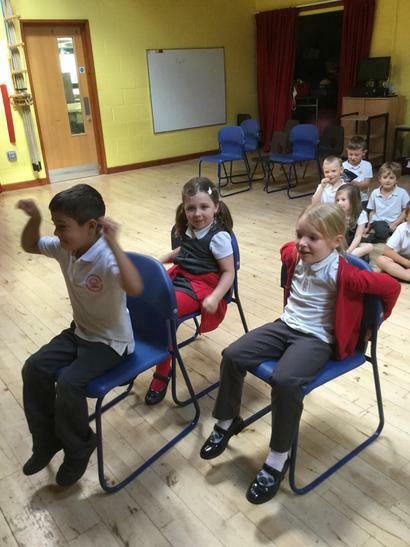 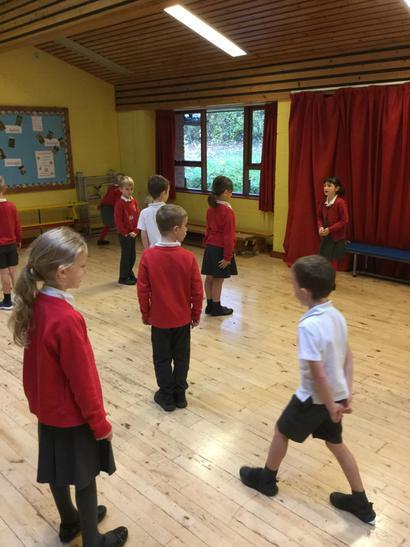 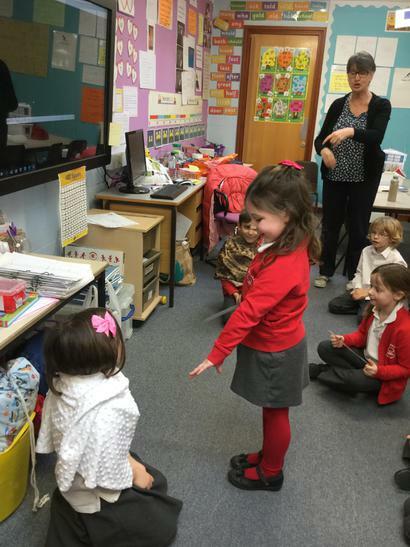 In Oak Class during music we used the song 'In The Groove' to sing, clap and move to whilst finding the pulse. 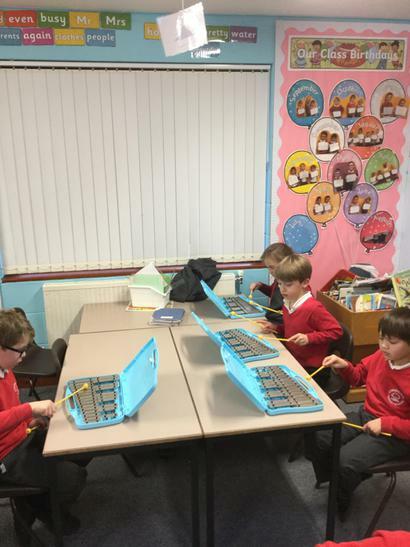 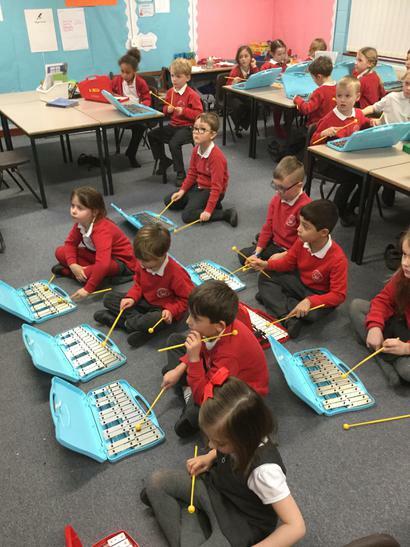 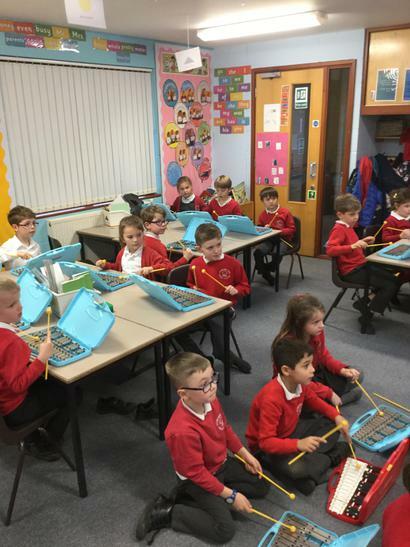 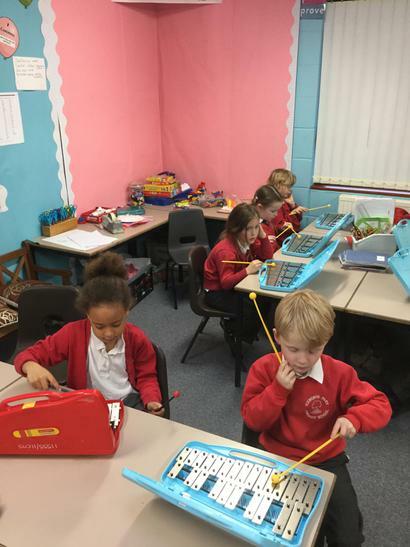 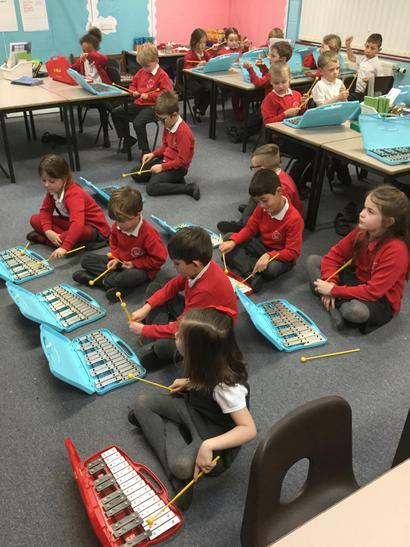 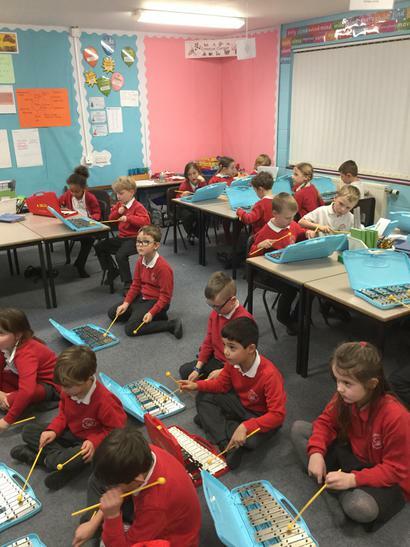 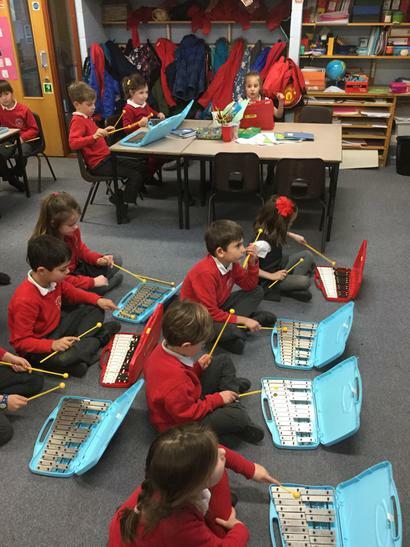 We then used Glockenspiels to accompany the song following simple notes on the interactive whiteboard. 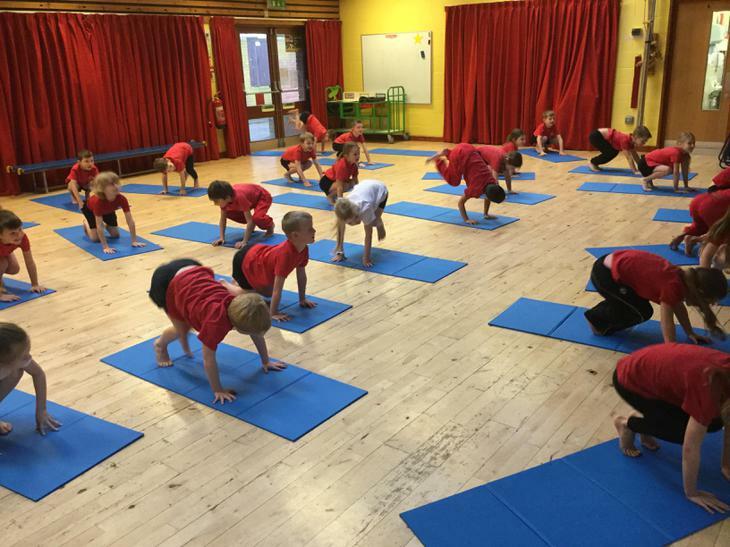 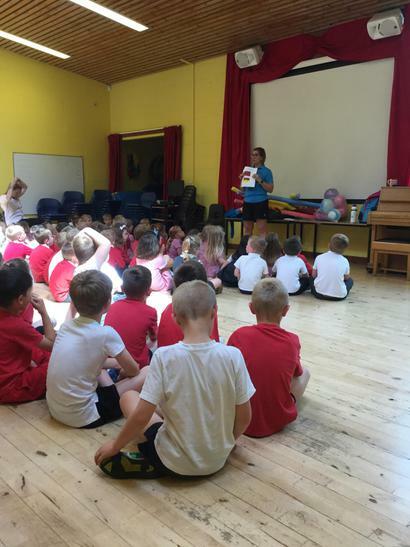 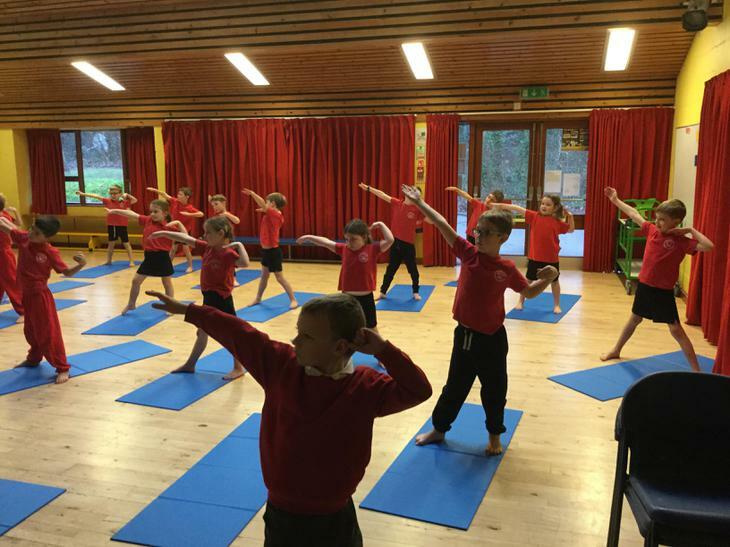 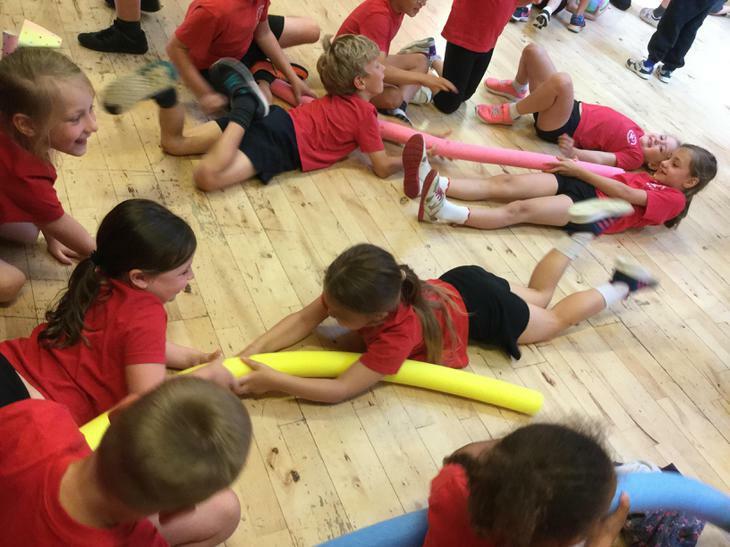 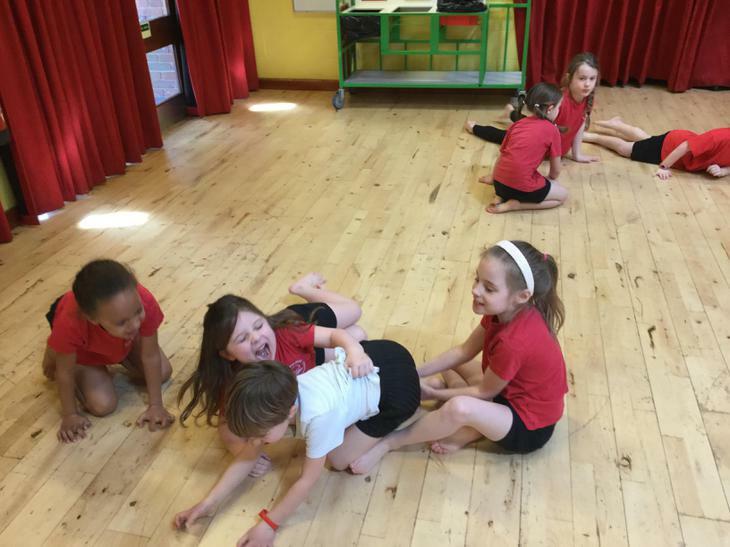 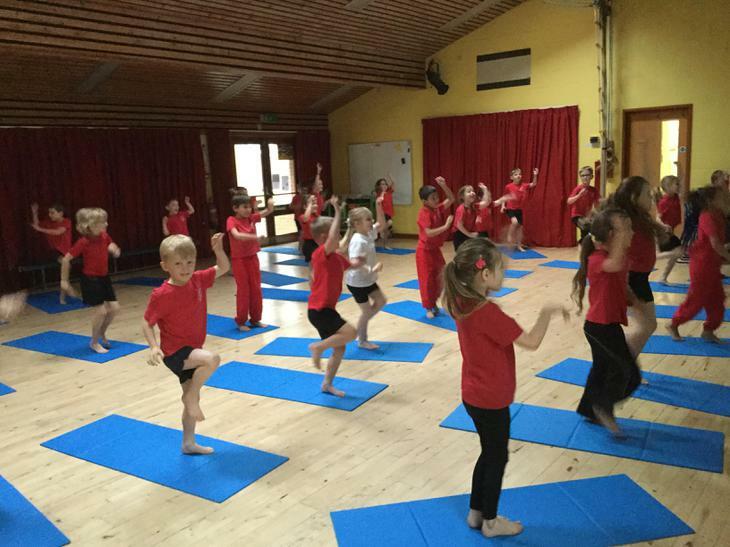 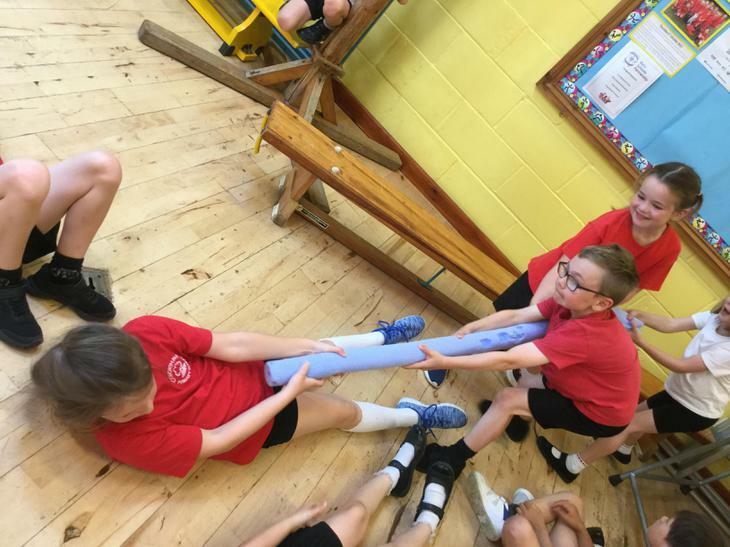 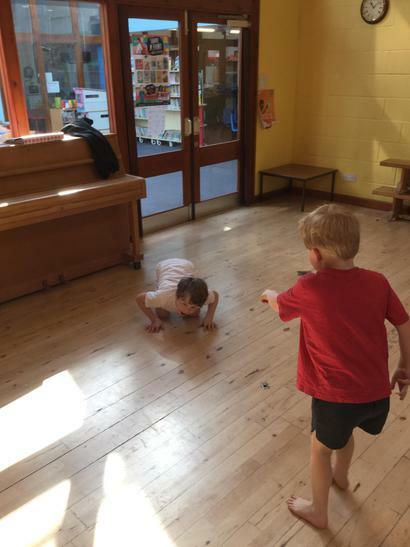 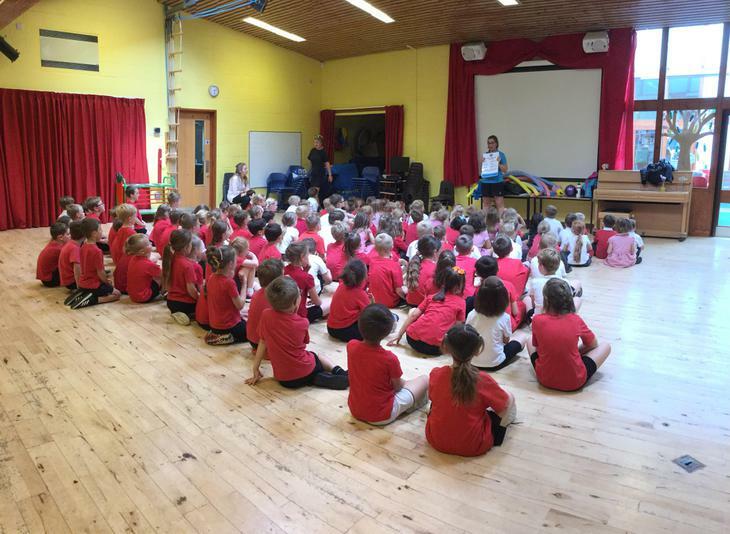 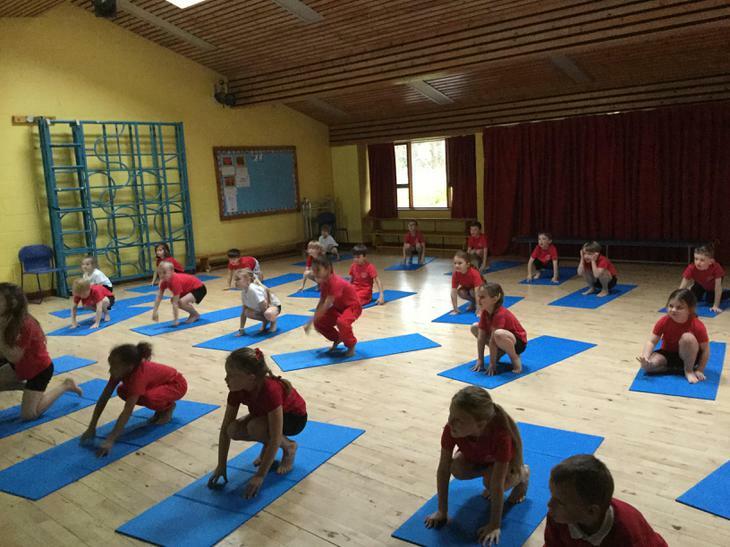 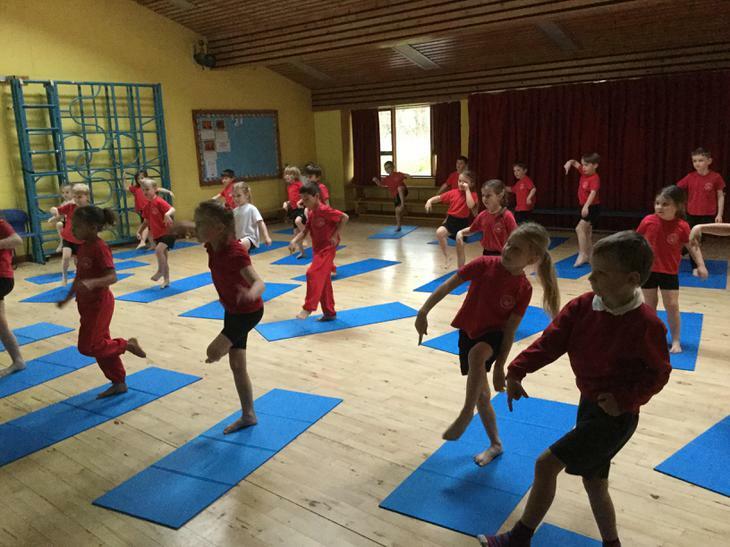 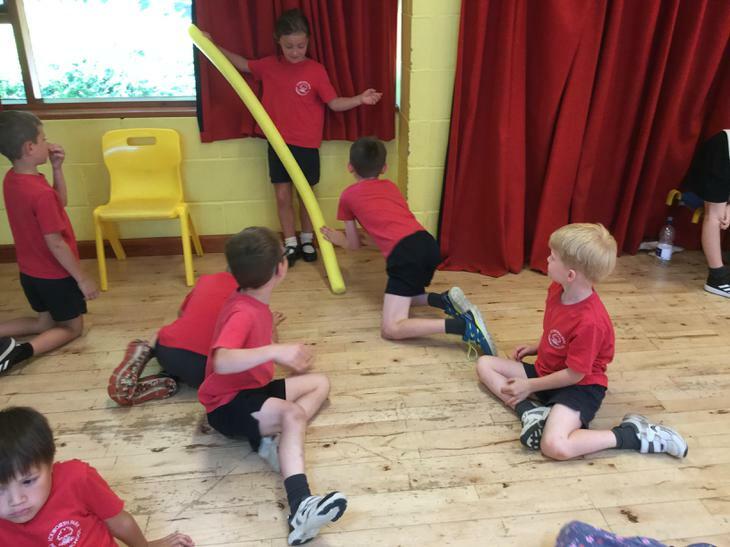 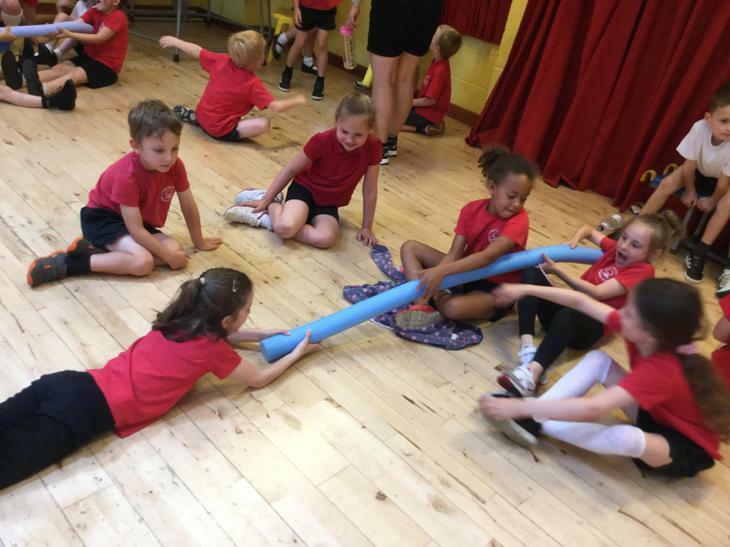 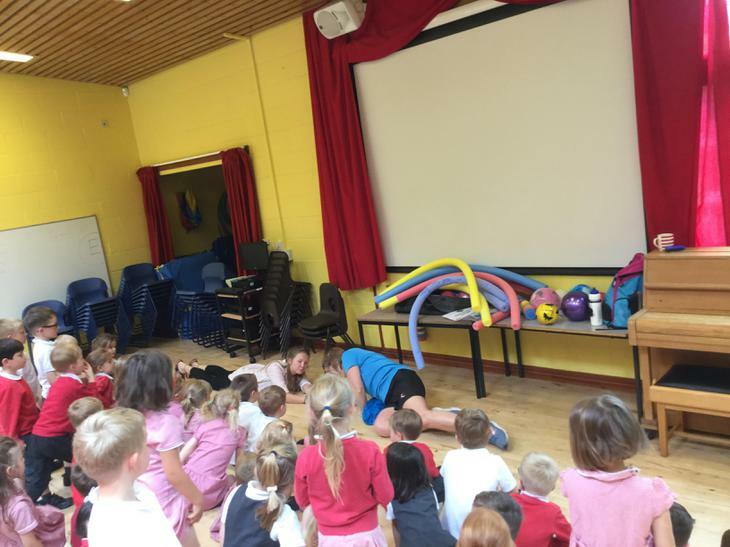 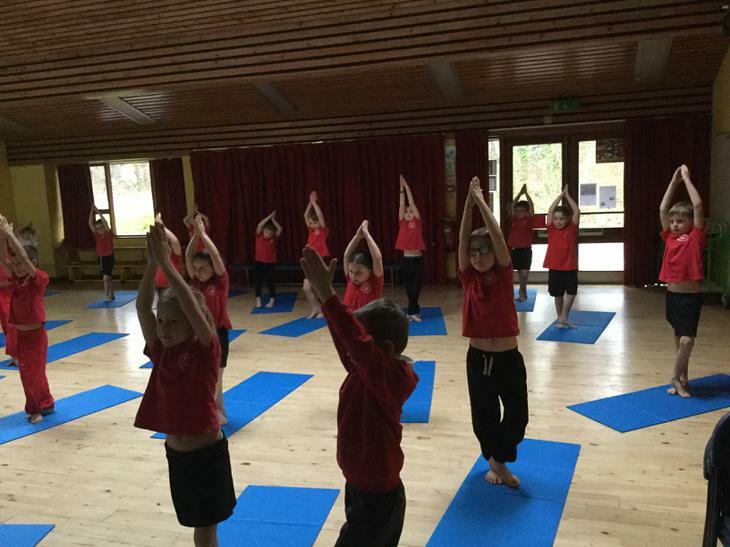 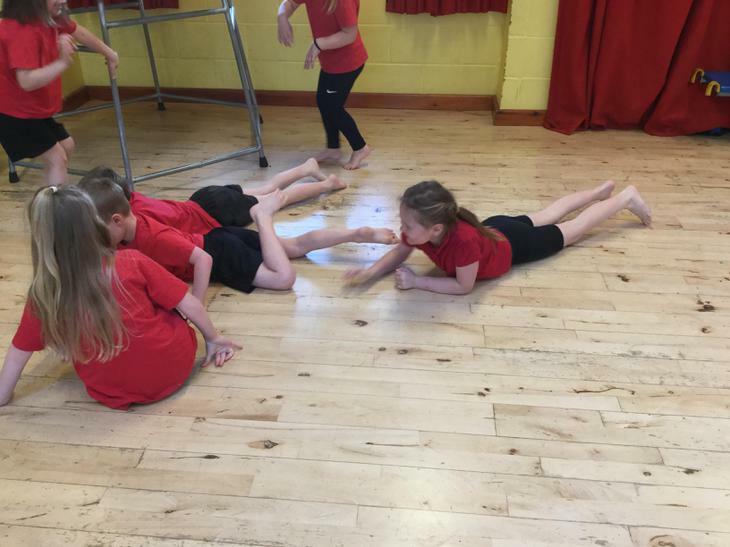 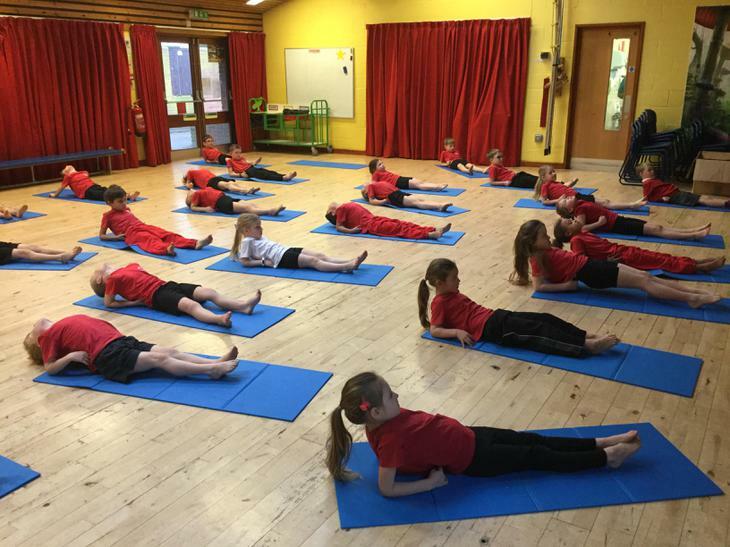 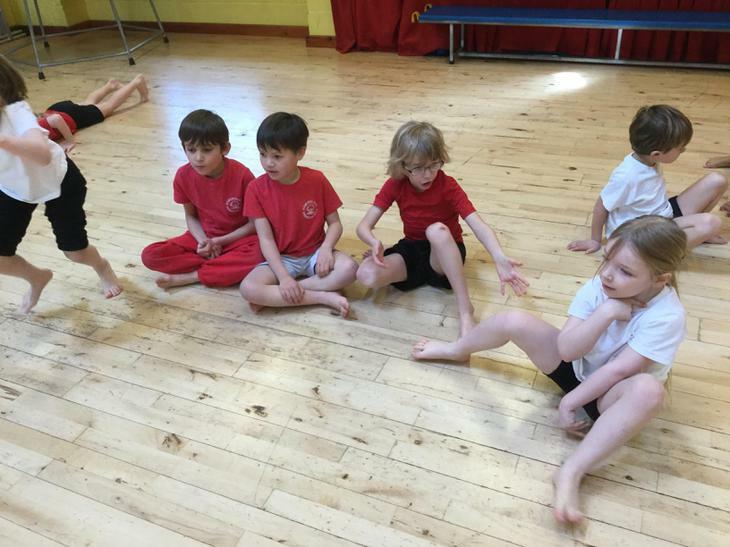 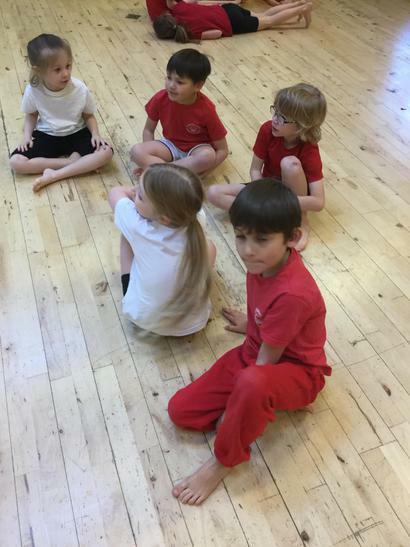 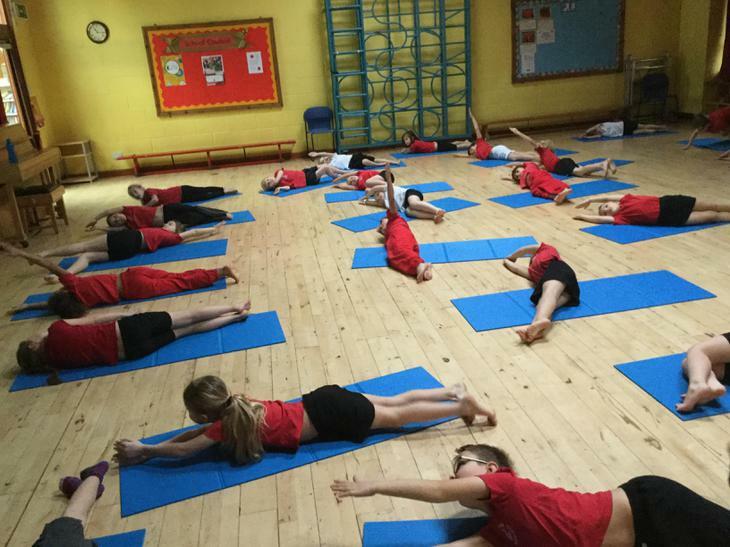 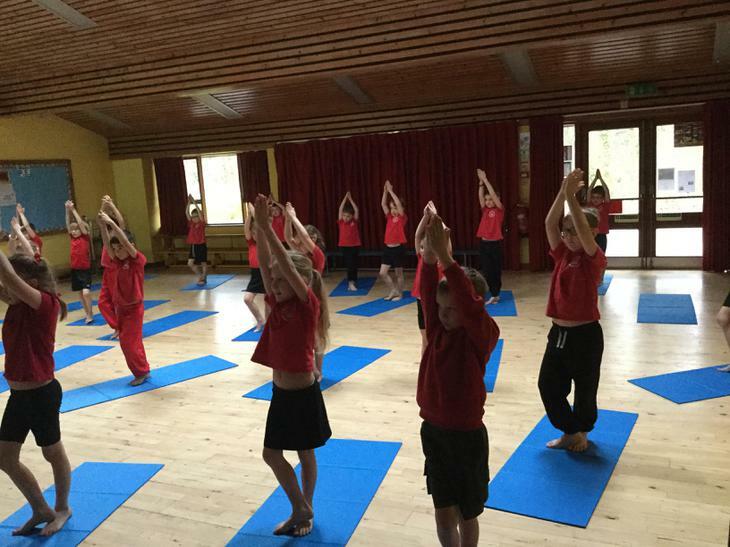 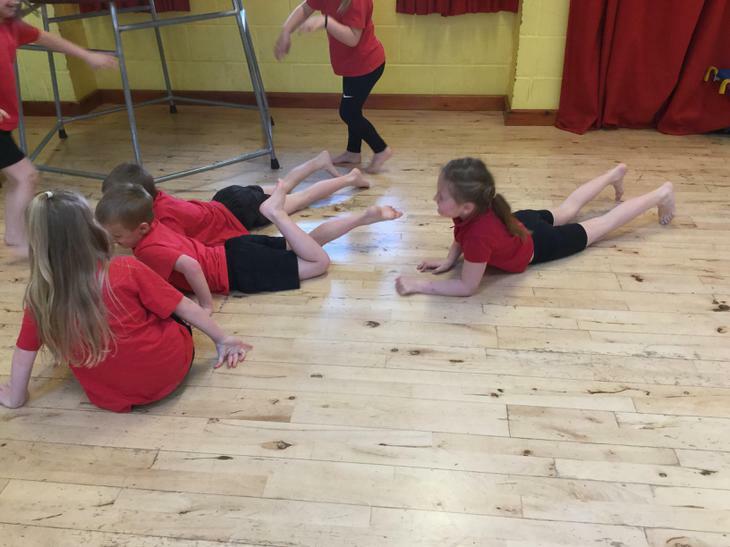 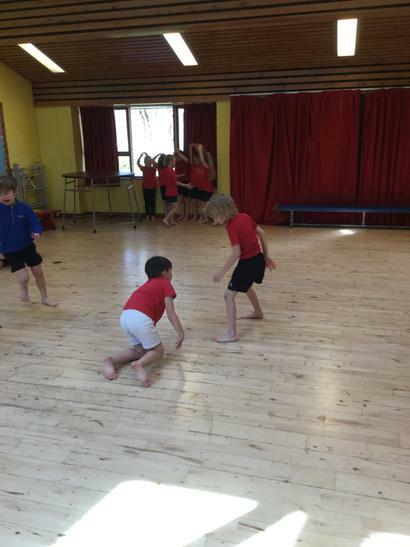 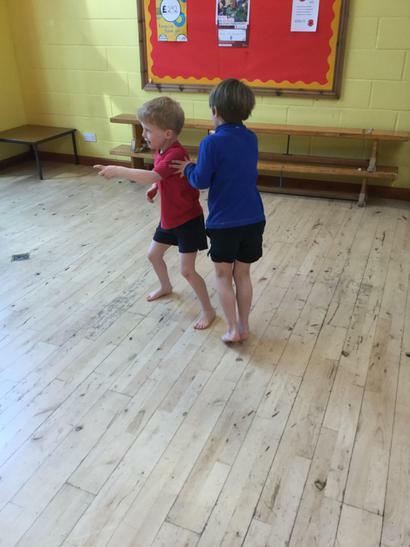 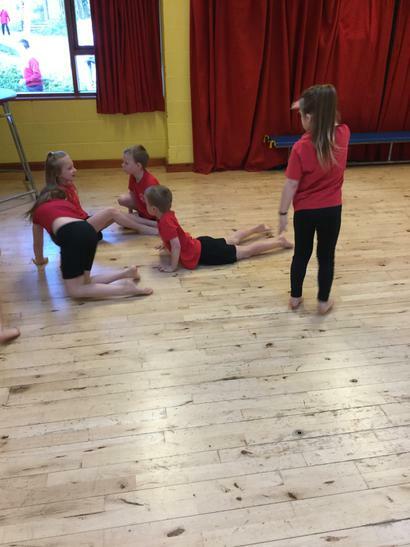 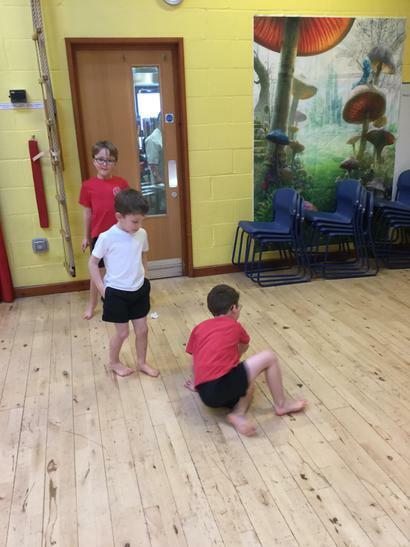 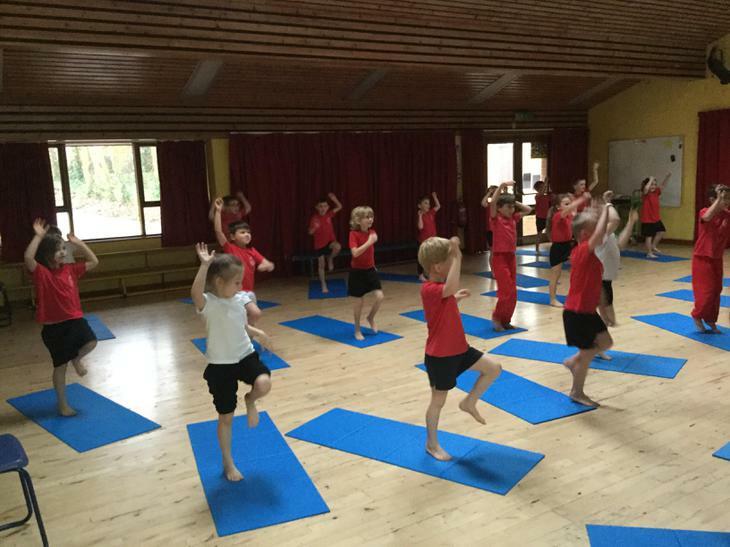 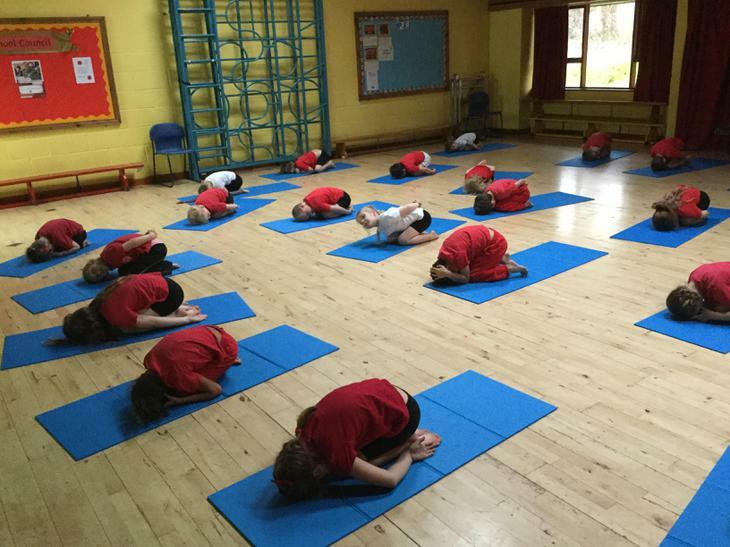 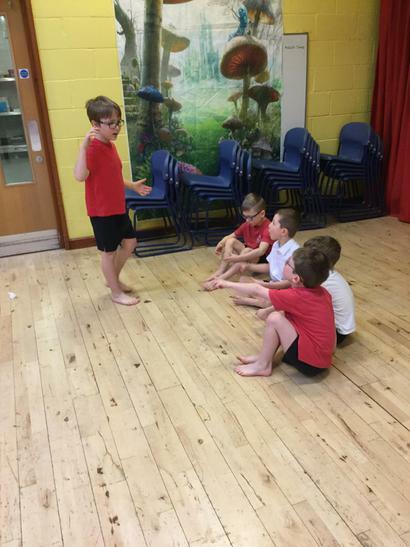 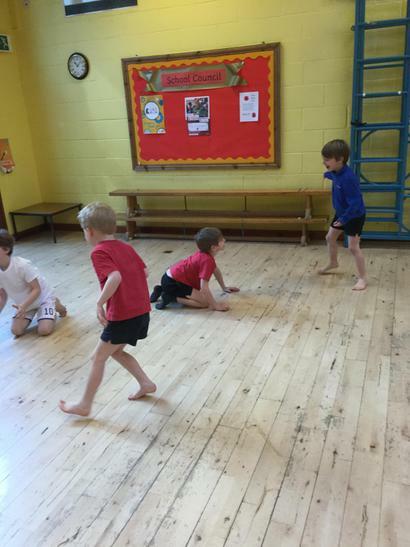 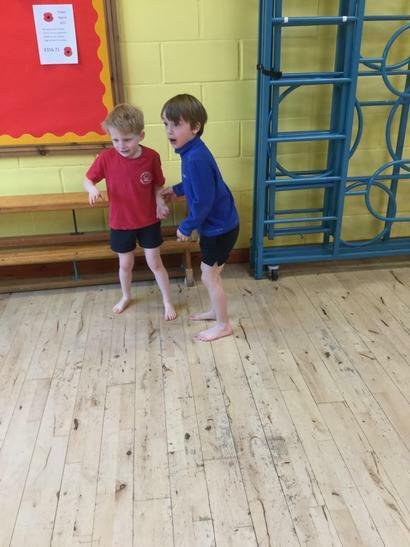 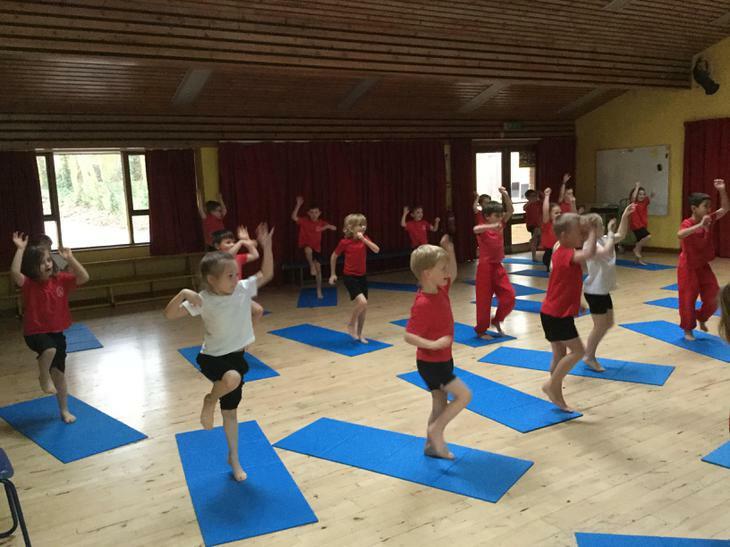 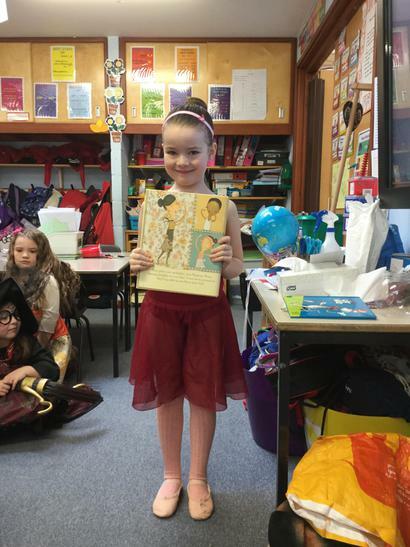 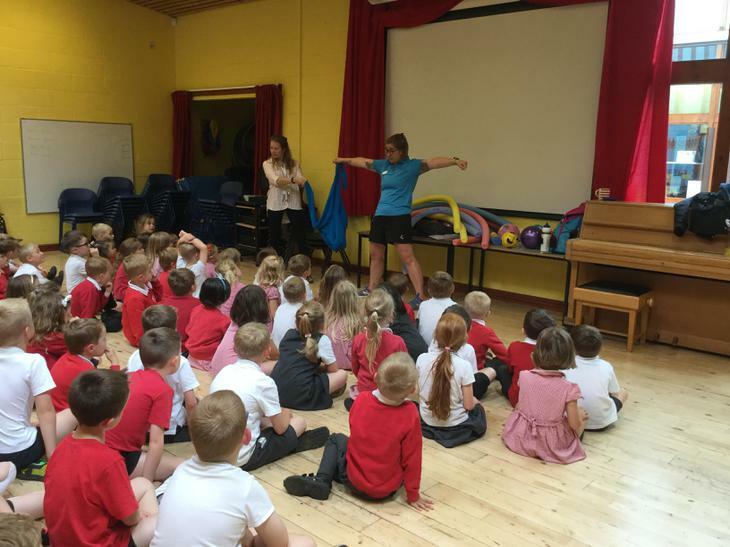 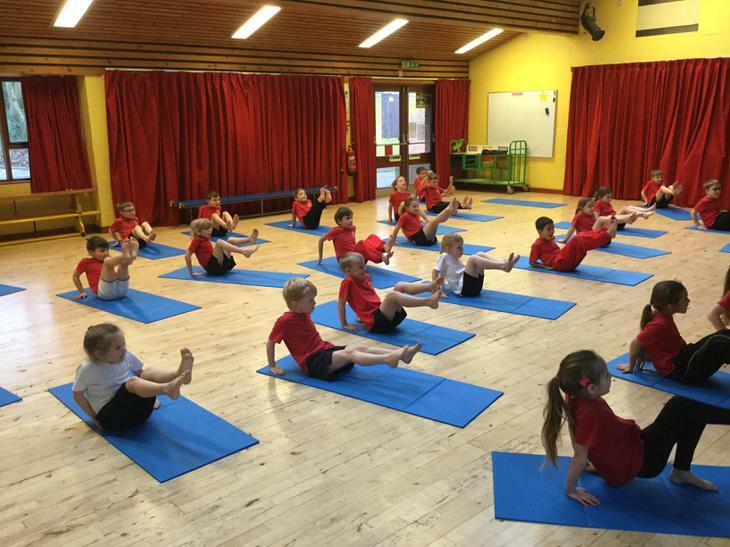 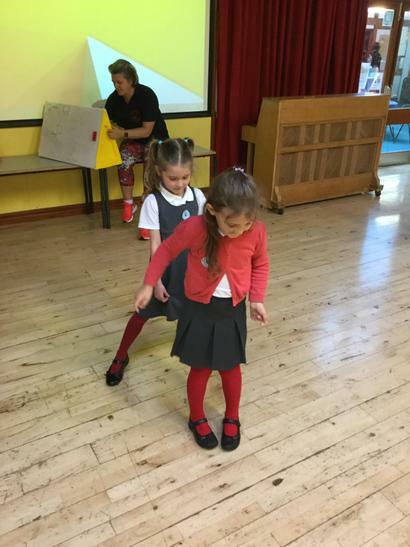 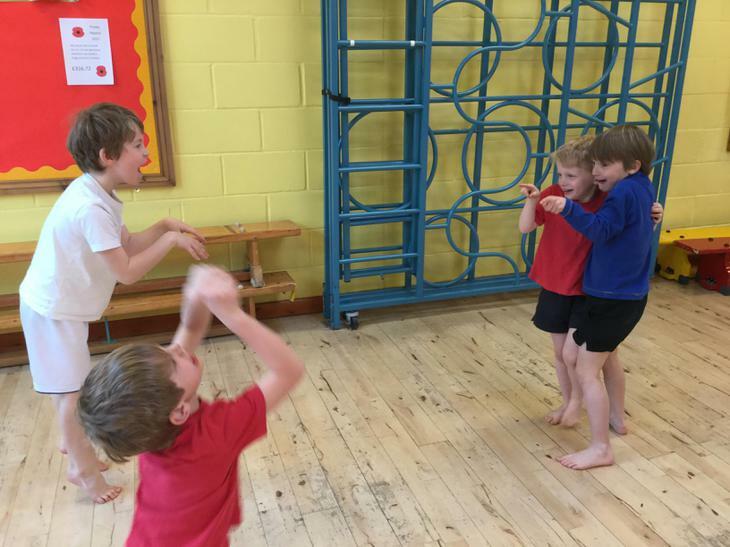 The children are enjoying yoga in their PE lessons where a story is used to encourage a wide variety of movements. 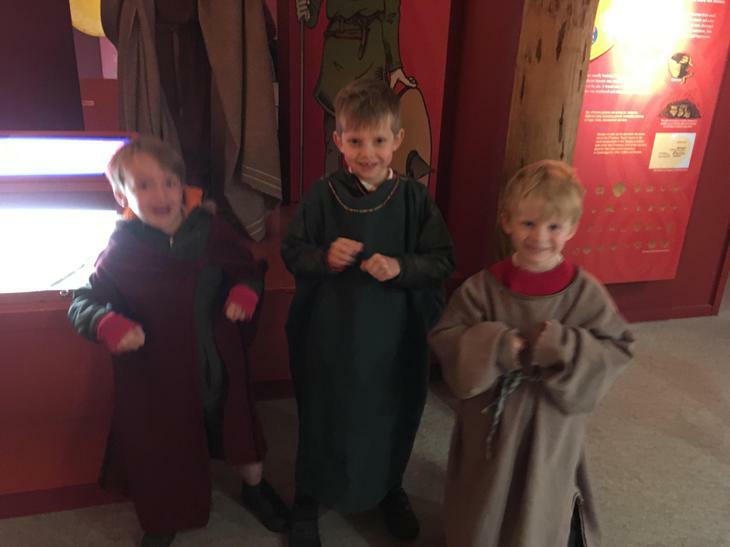 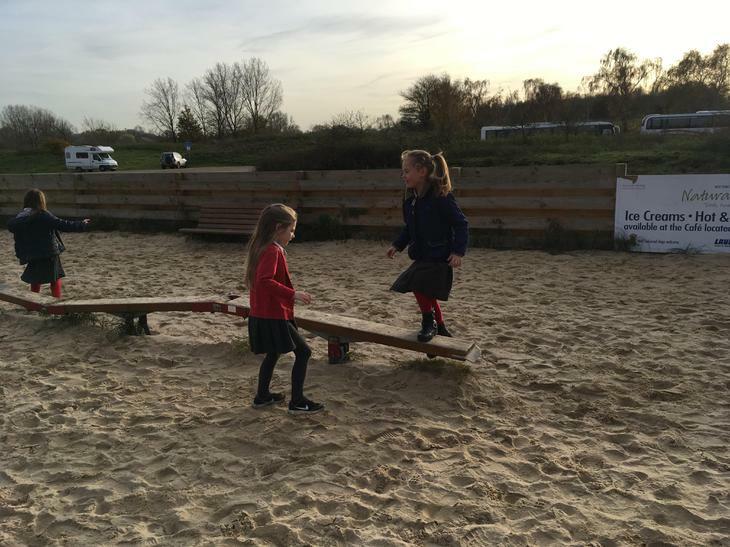 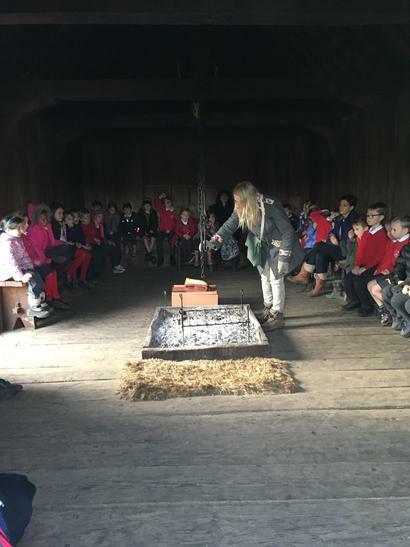 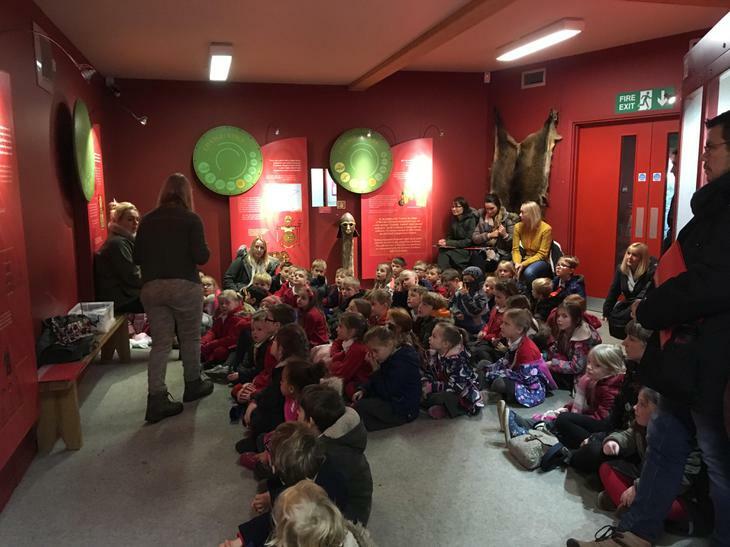 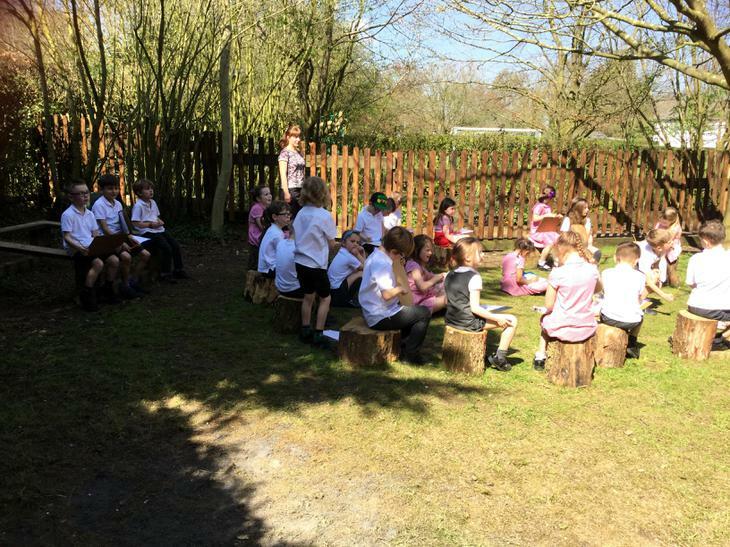 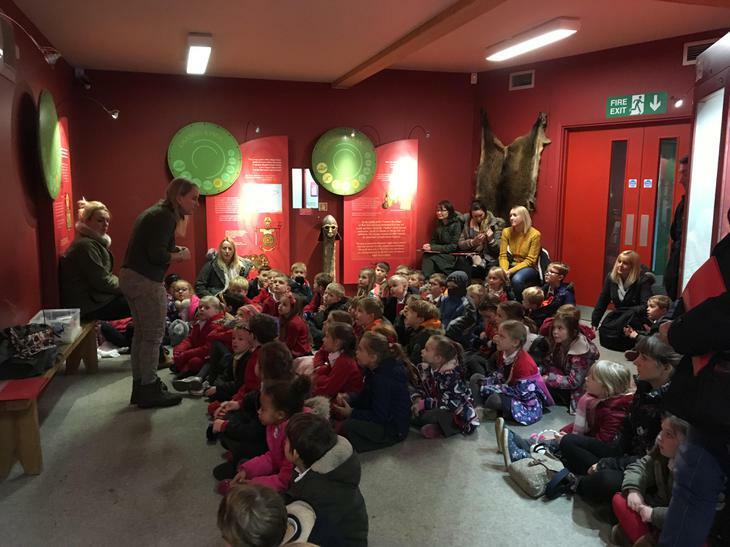 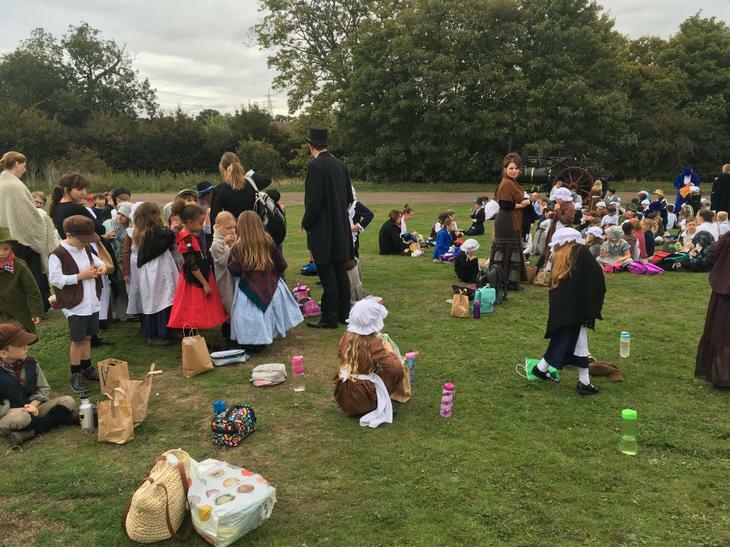 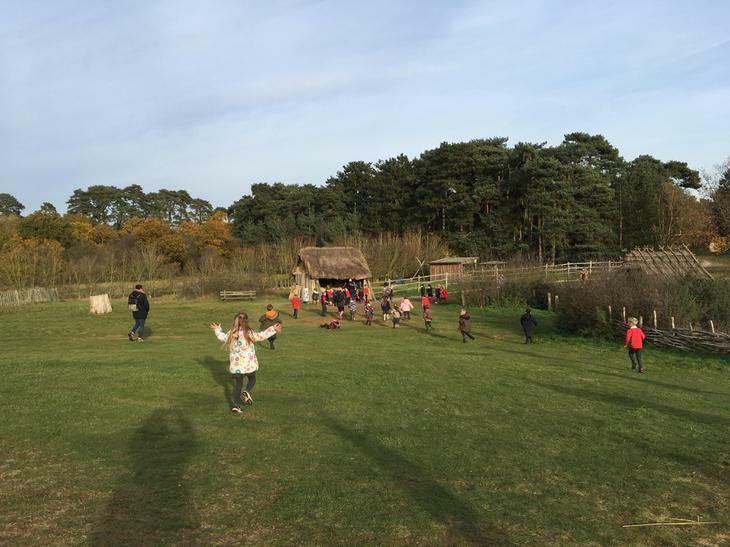 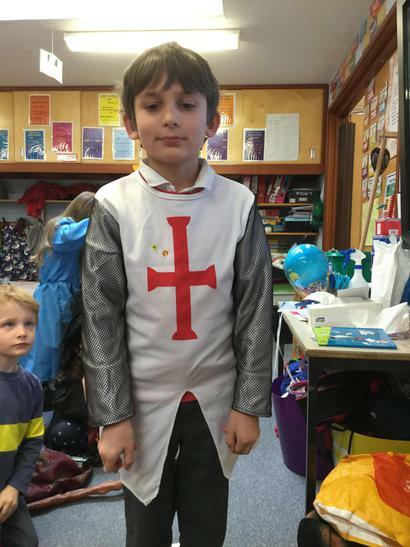 The children really enjoyed visiting West Stowe where we went to the museum and the Anglo Saxon village and learnt more about life as an Anglo Saxon. 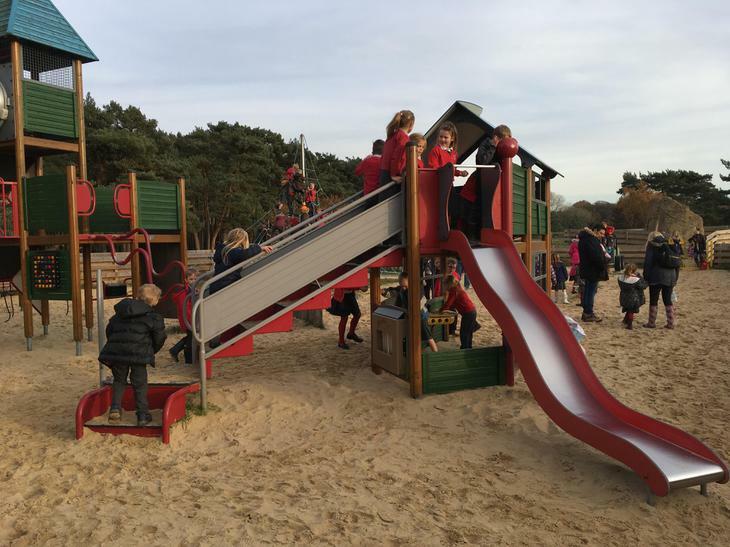 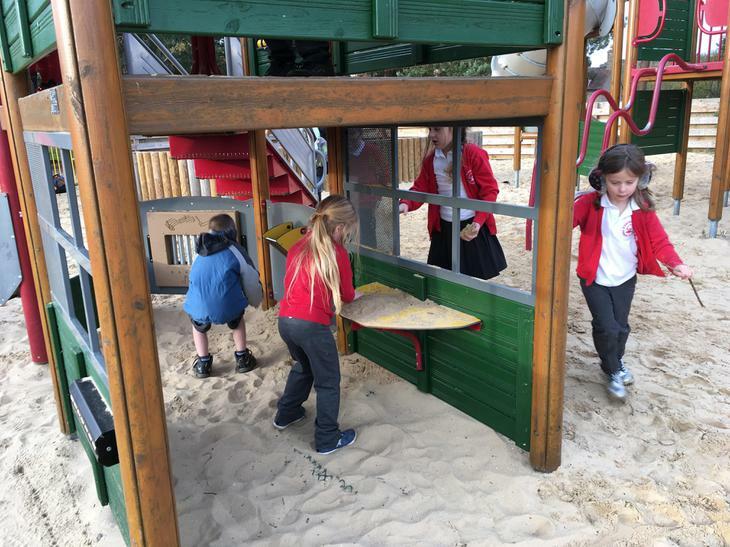 We also managed time to play in the playground. 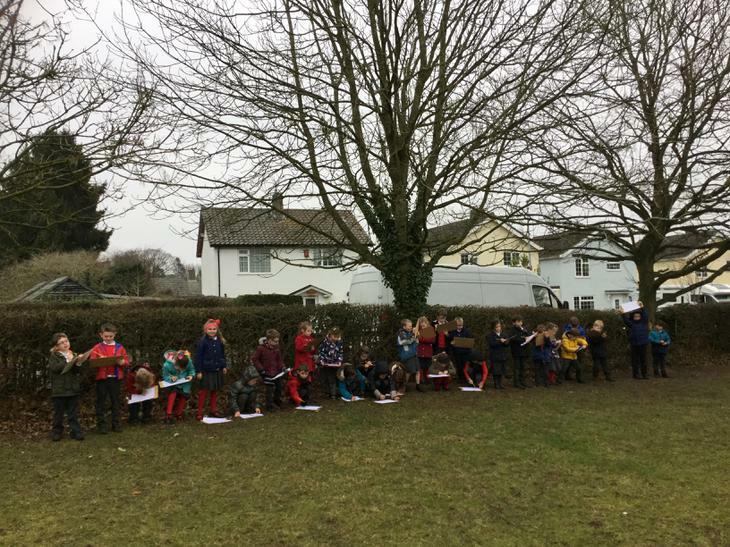 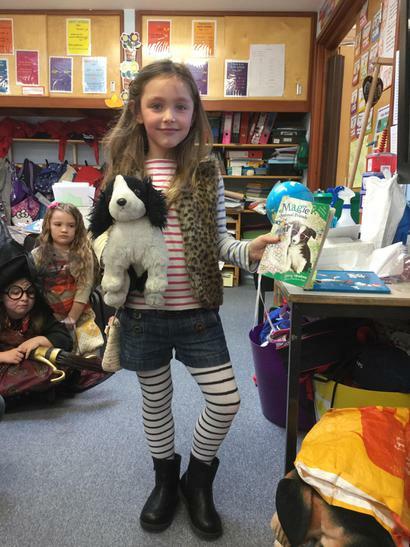 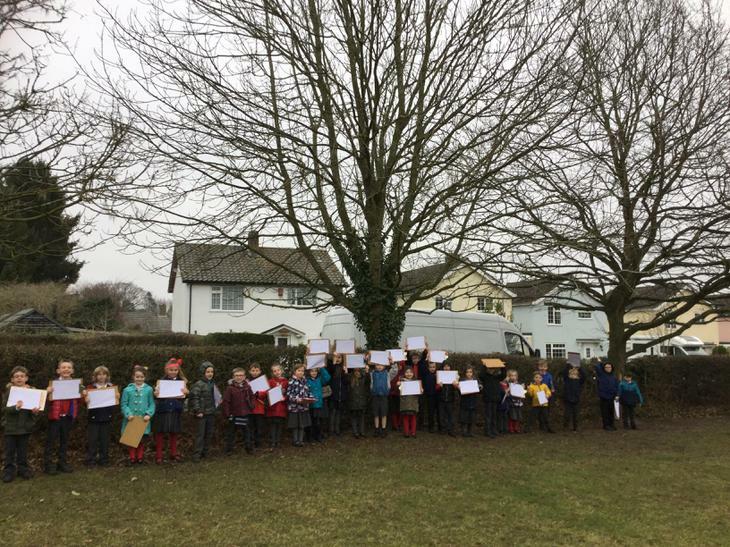 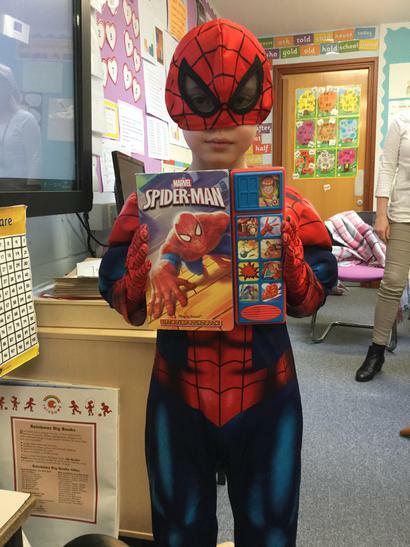 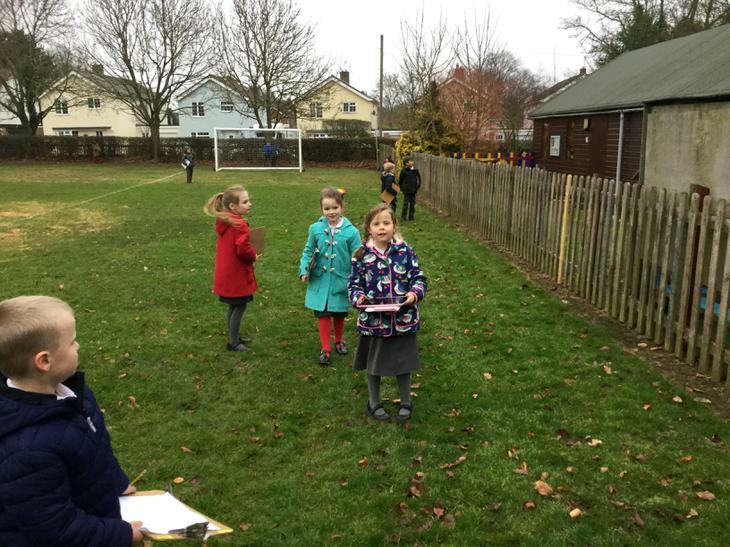 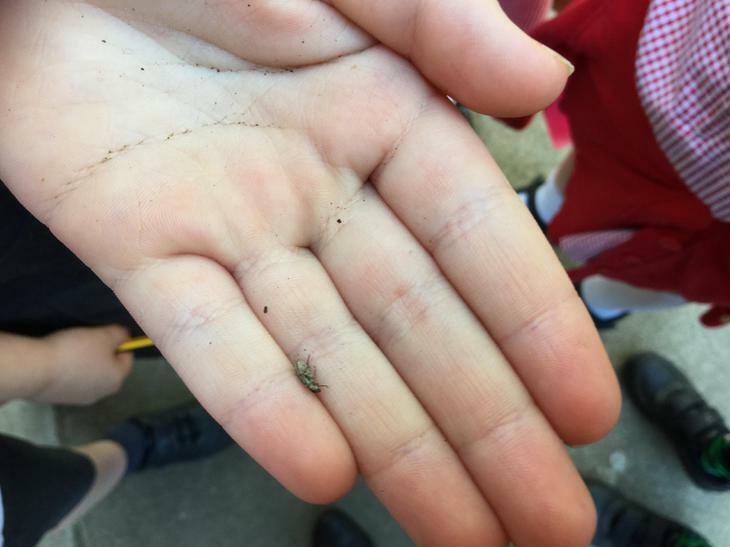 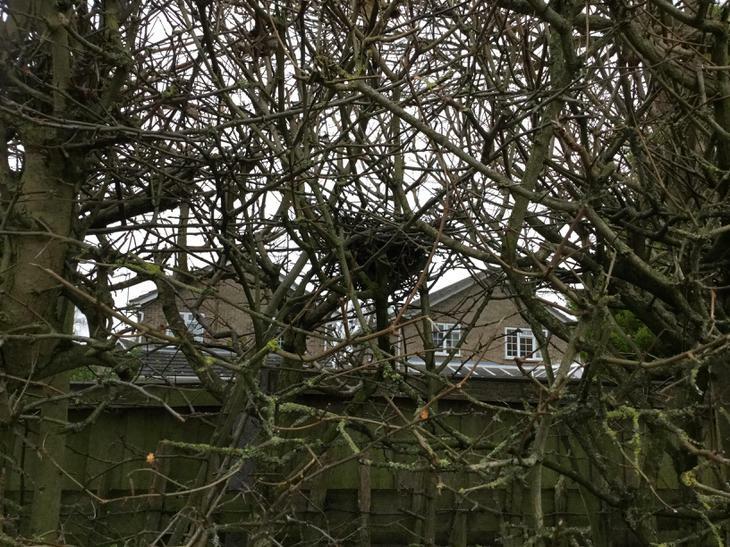 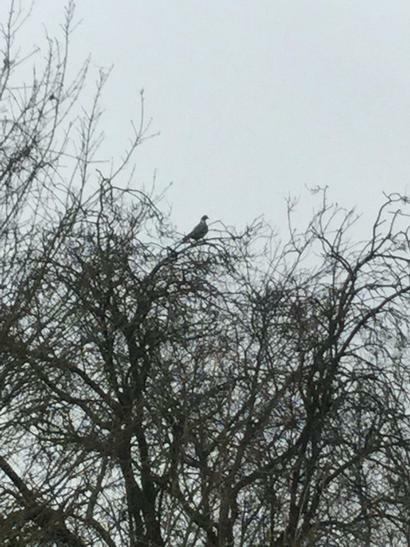 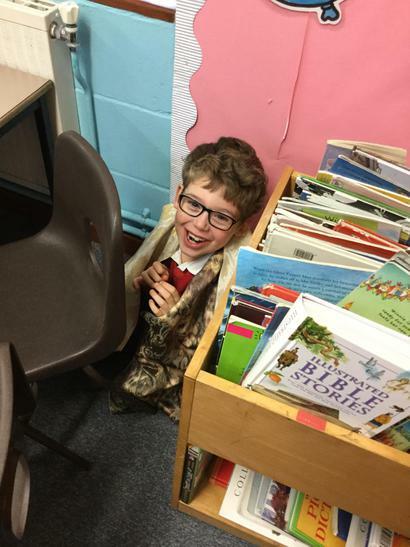 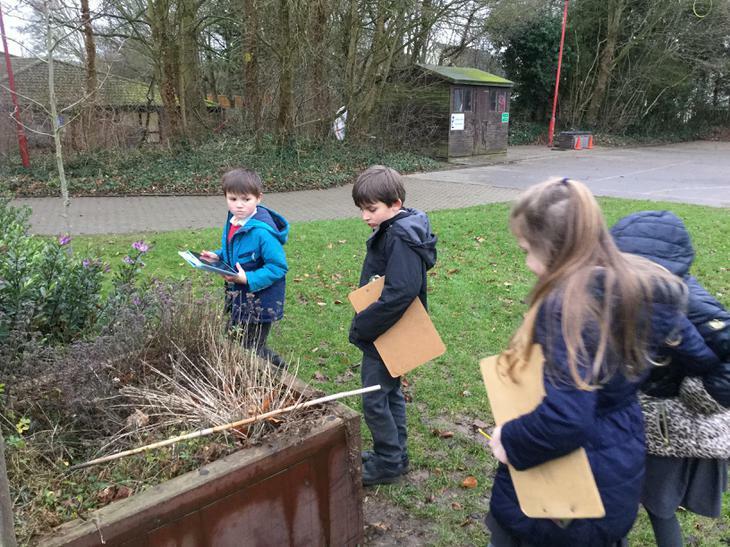 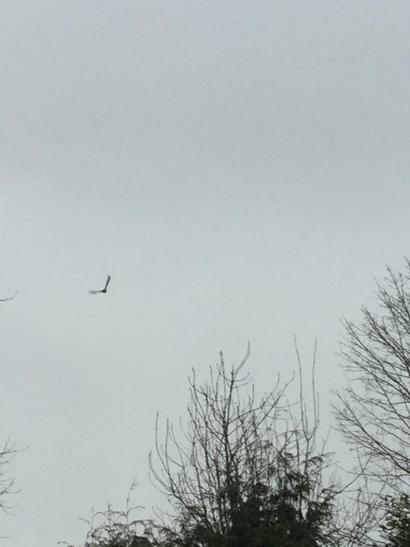 ON OUR RETURN TO SCHOOL AFTER CHRISTMAS, THE CHILDREN ENJOYED GOING ON A HABITAT HUNT AROUND THE SCHOOL GROUNDS. 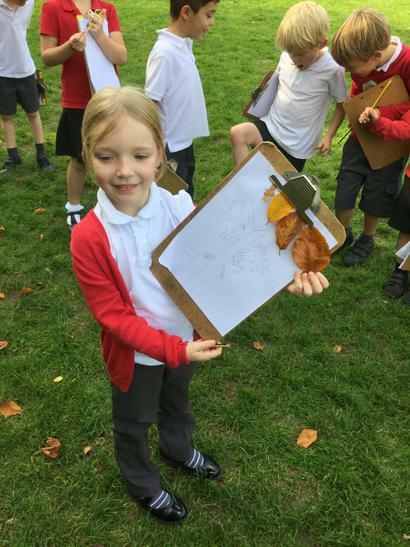 THEY RECORDED THEIR OBSERVATIONS NOTING HOW FEW CREATURES THEY COULD SEE AND HOW COLD IT WAS IN CONTRAST TO OUR AUTUMN HUNT. 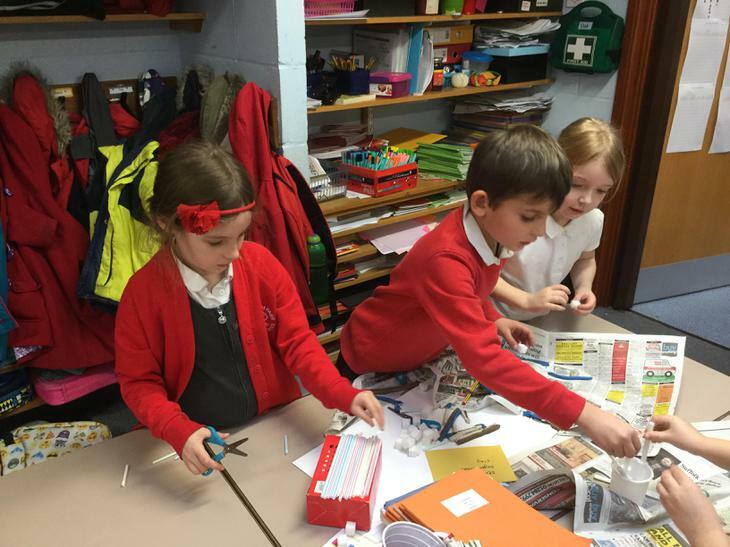 We have been thinking about ways of belonging to different groups, including families, schools, clubs and religions. 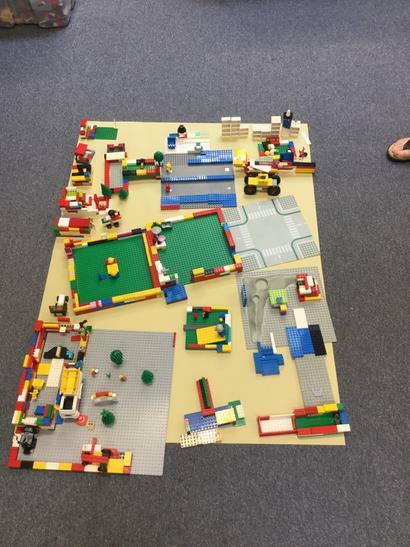 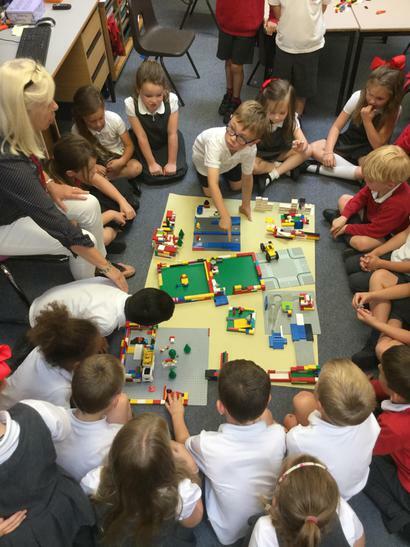 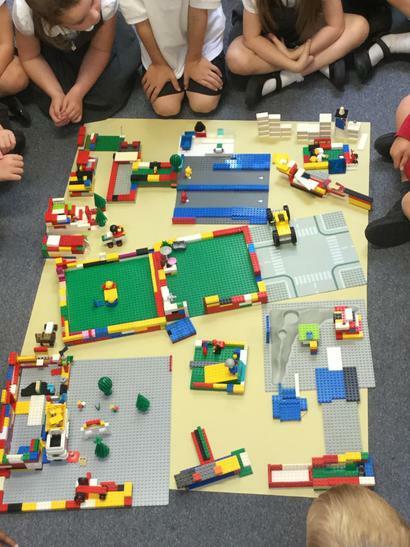 We decided to make our Oak village using lego working together to provide a school, playground, swimming pool, food and clothing shops, houses, cinema and camping area! 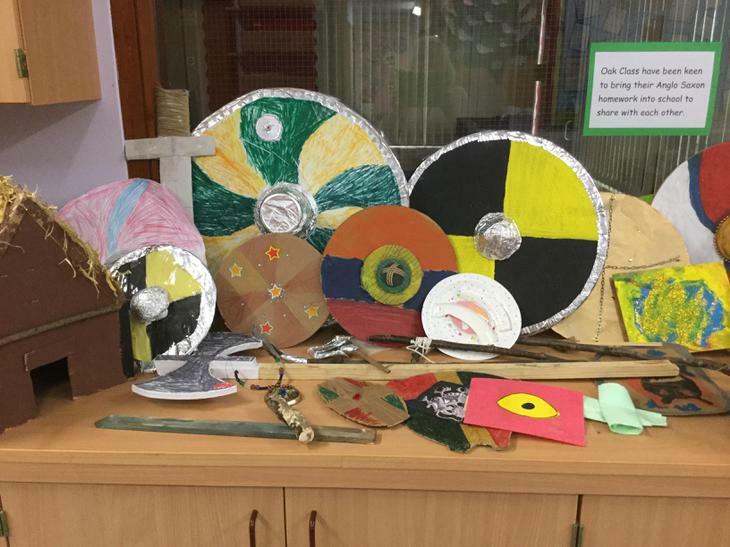 This term we have been finding out about the Anglo Saxons using the internet and information books. 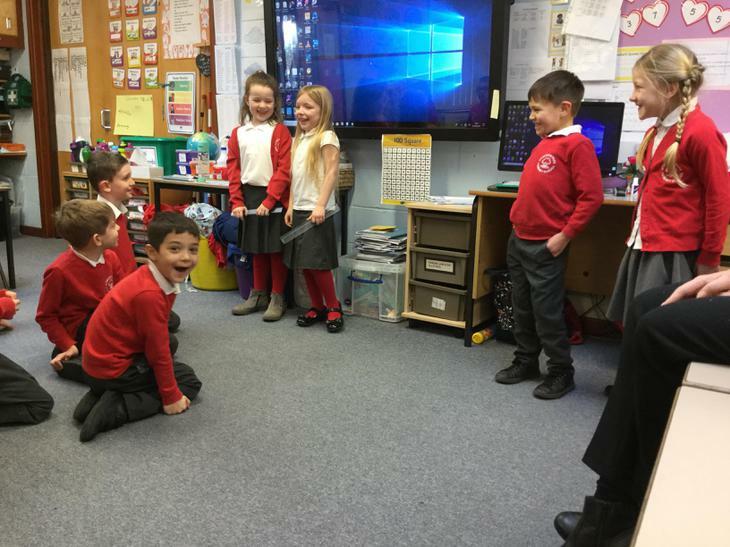 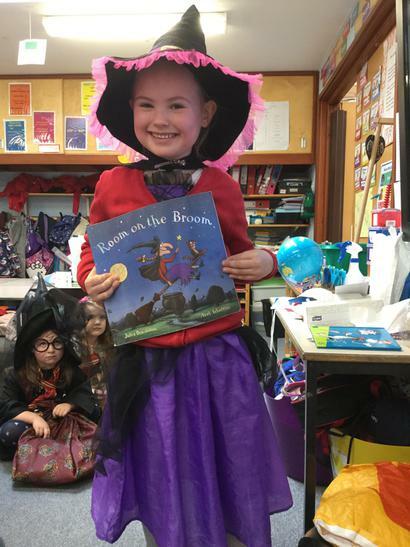 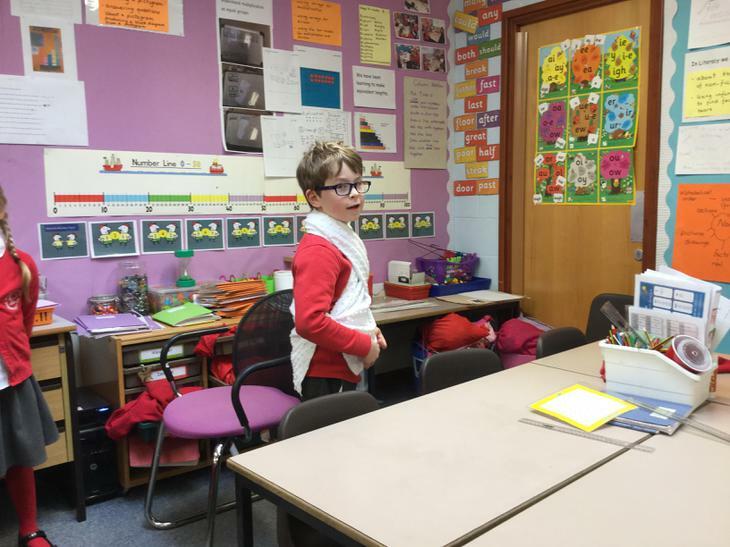 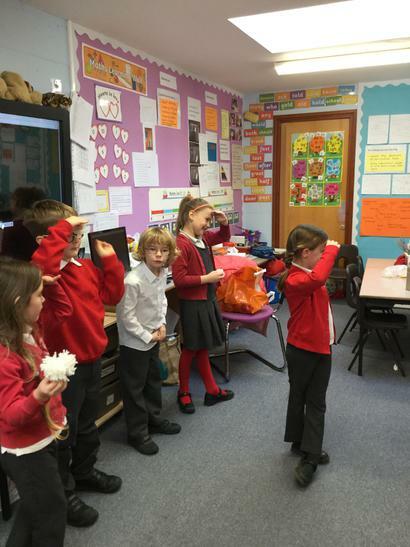 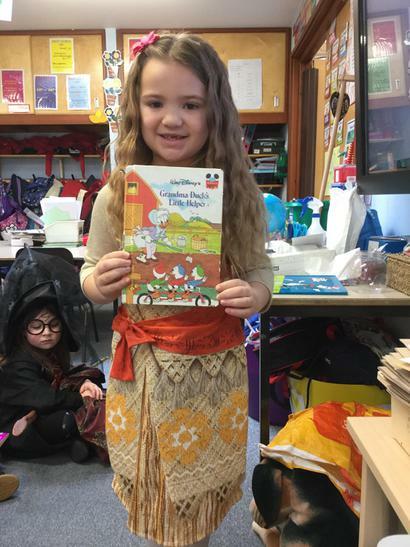 One day we enjoyed role playing the journey across the sea to Britain! 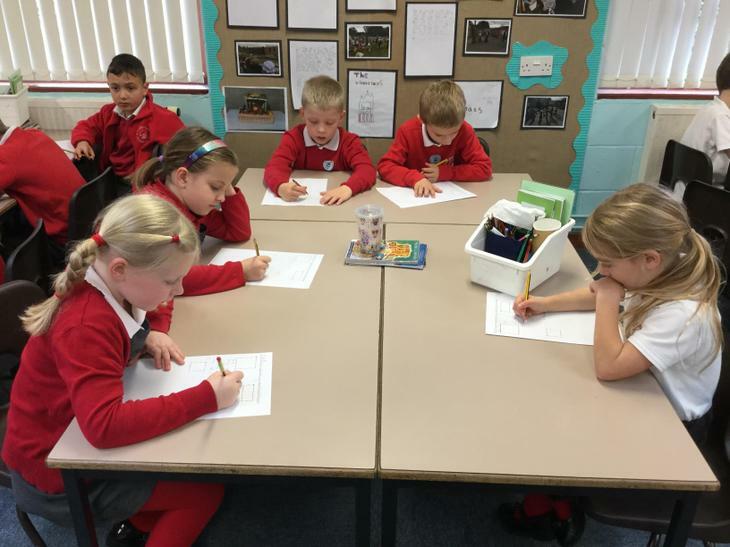 We then wrote our own diary entry describing our voyage. 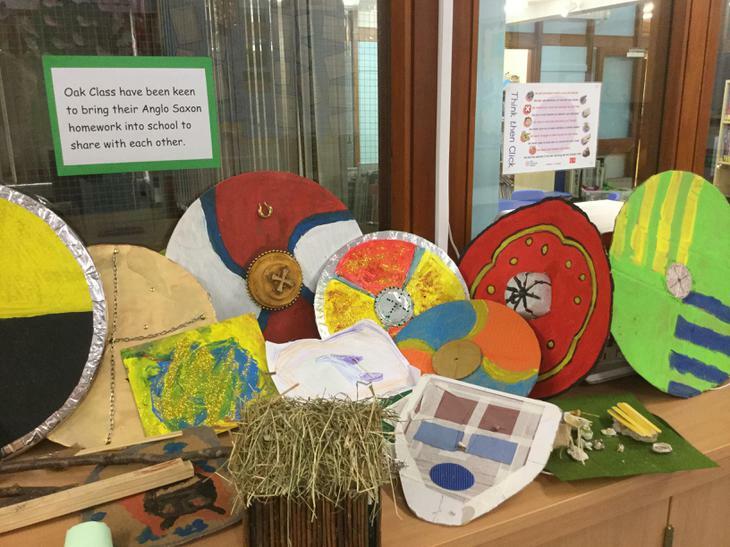 We have been making Anglo Saxon villages and jewellery as well as shields! 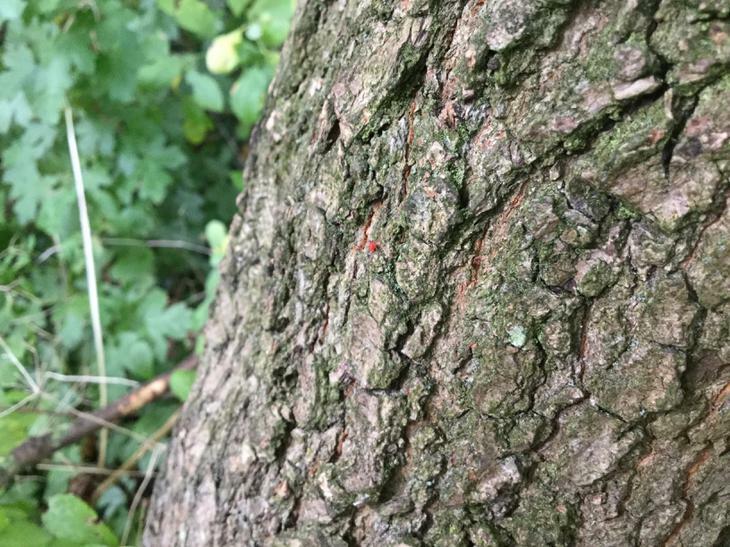 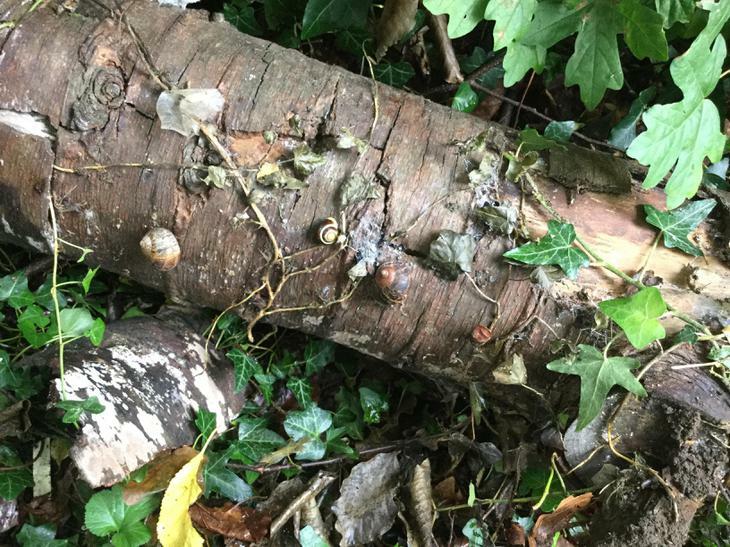 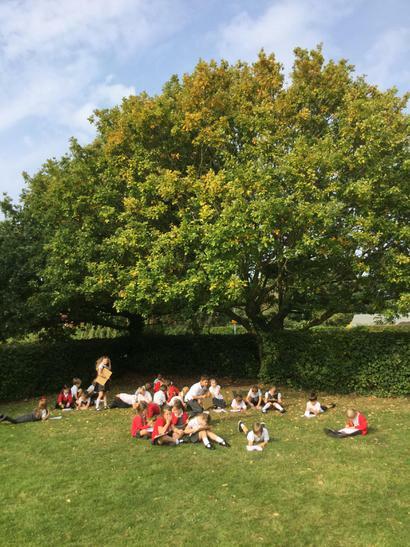 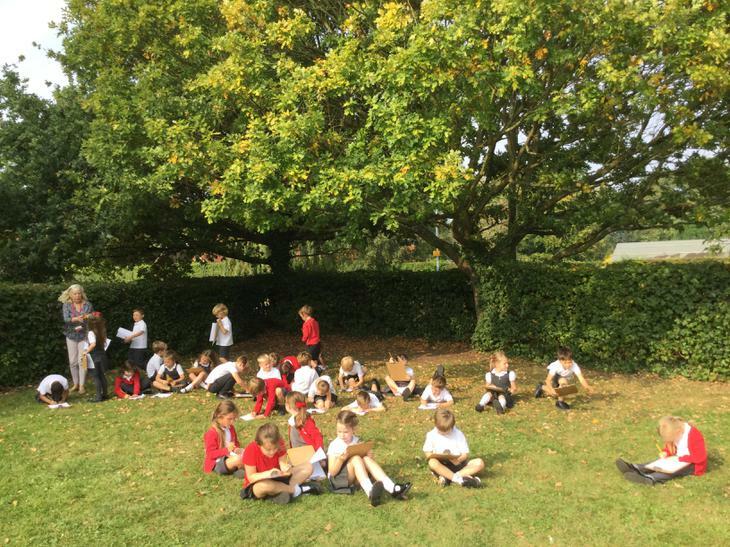 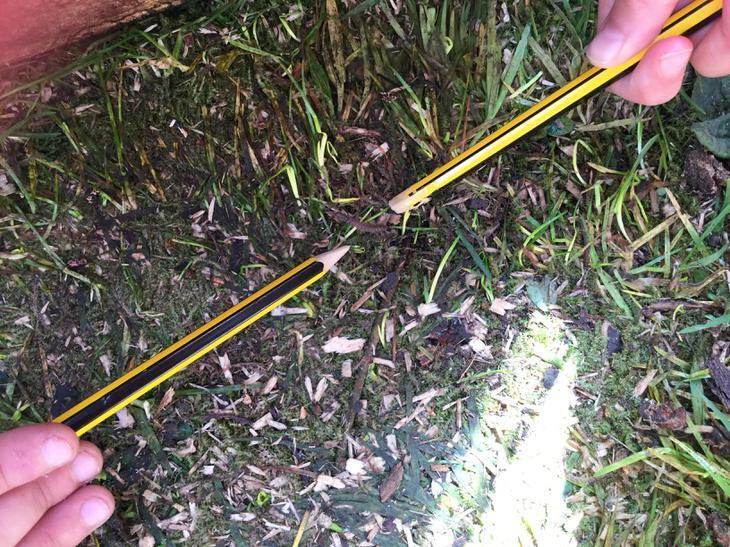 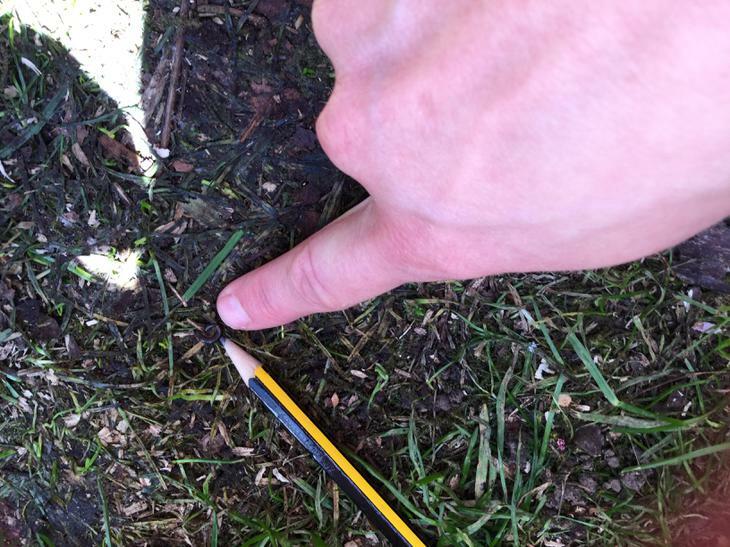 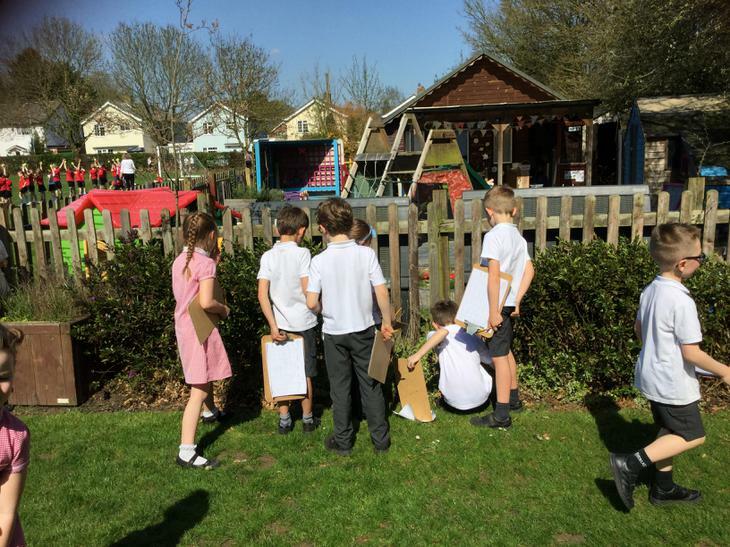 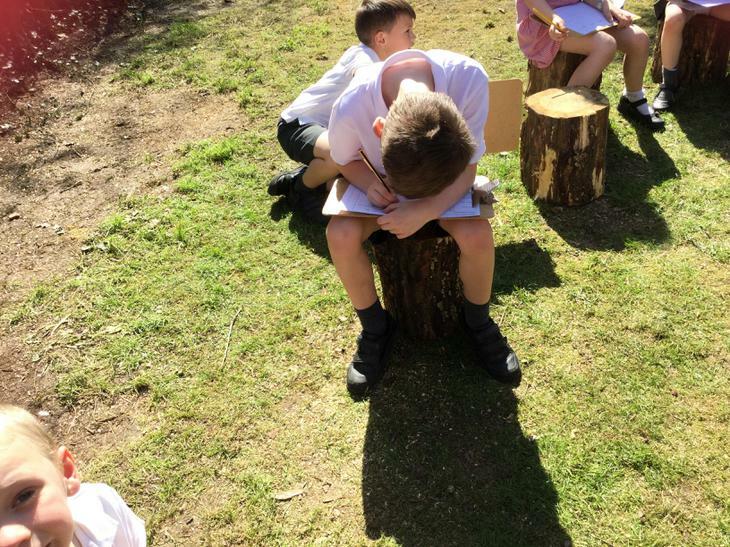 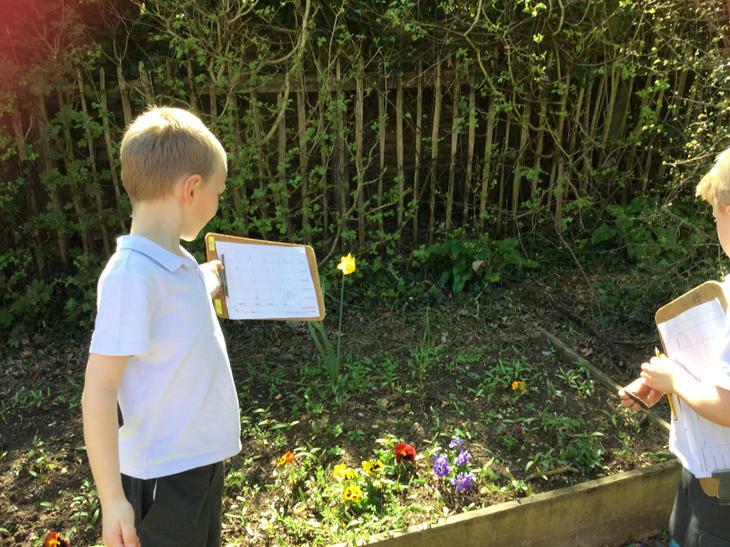 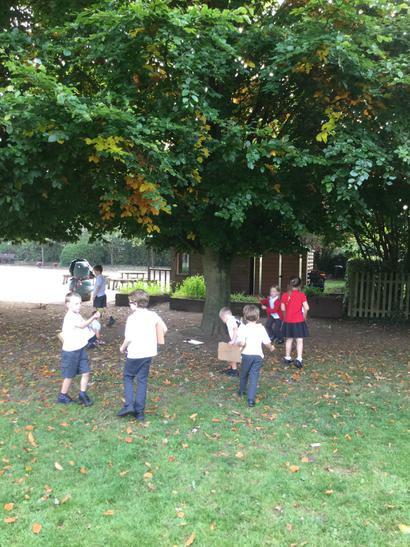 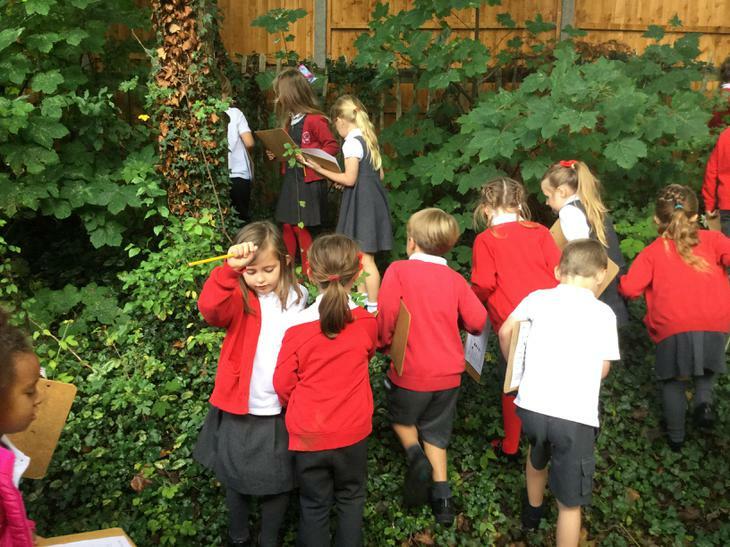 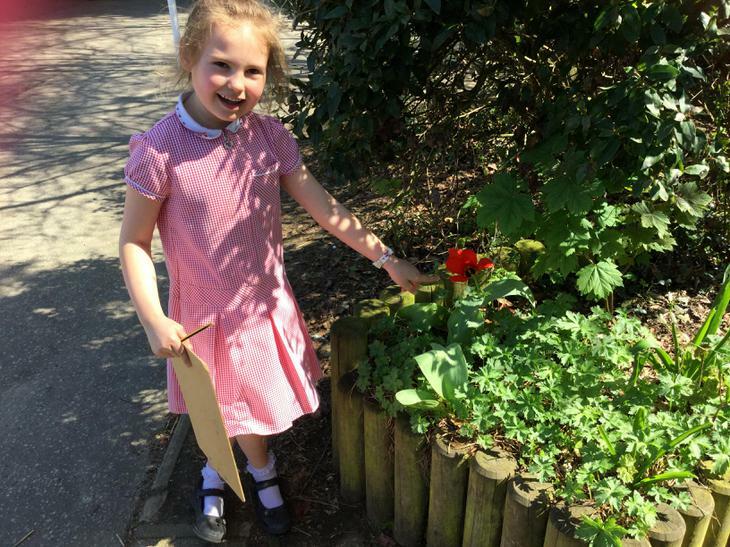 In Science we have been looking at the changes in season around the school environment and recording our observations.